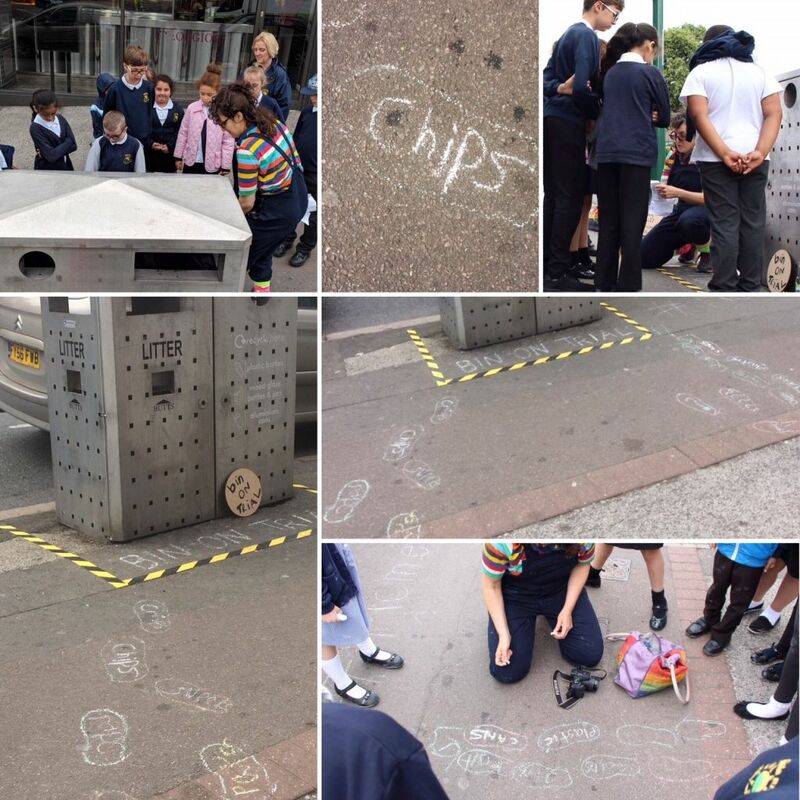 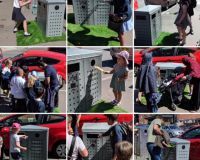 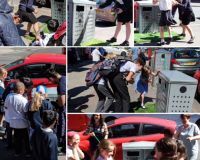 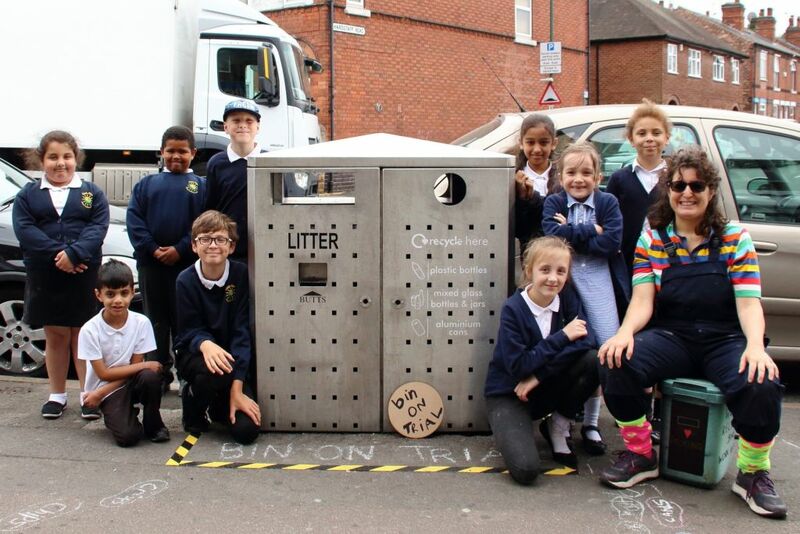 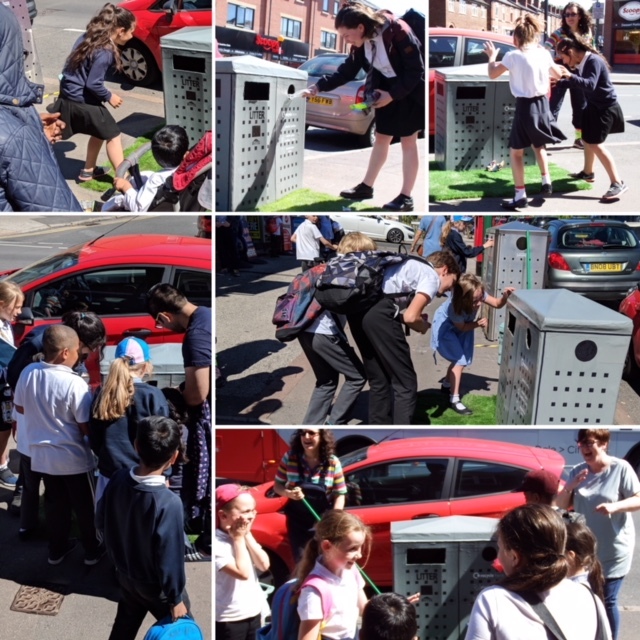 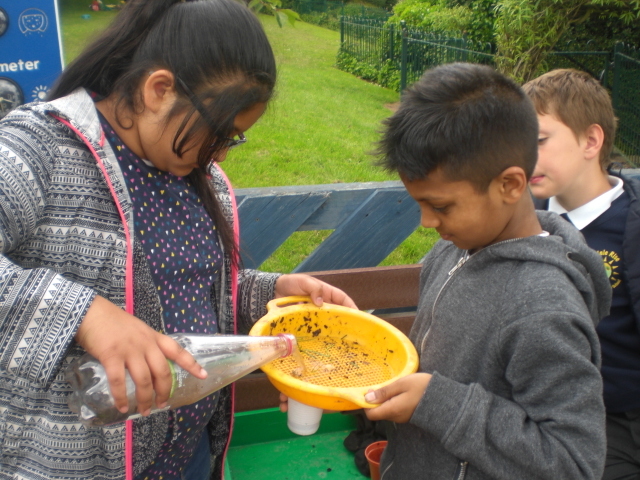 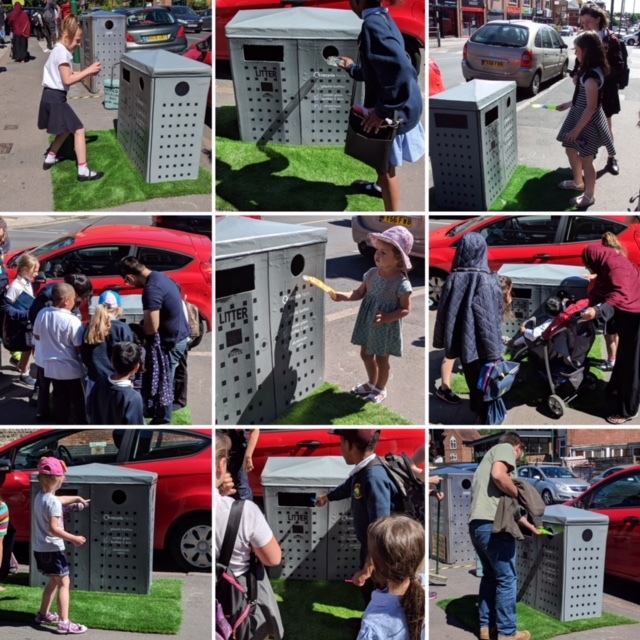 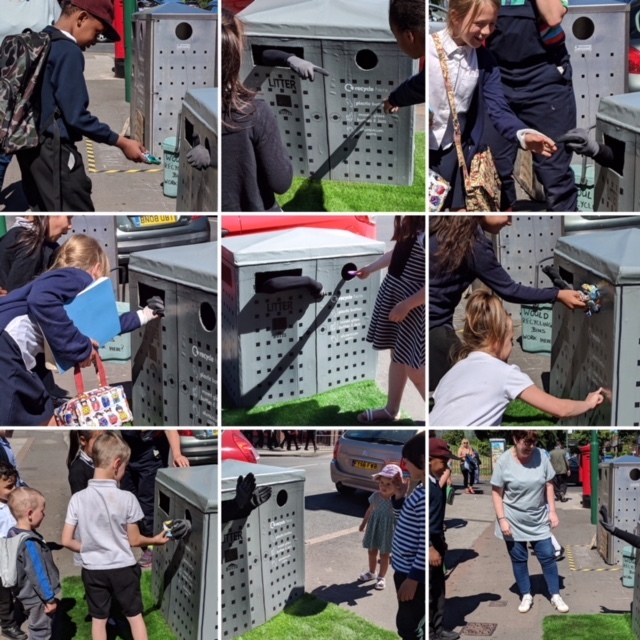 Our children have been working with local residents to ensure our recycling bin is used correctly. 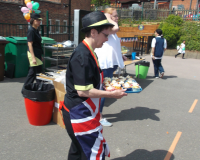 Thank you to Penny for her tireless work. 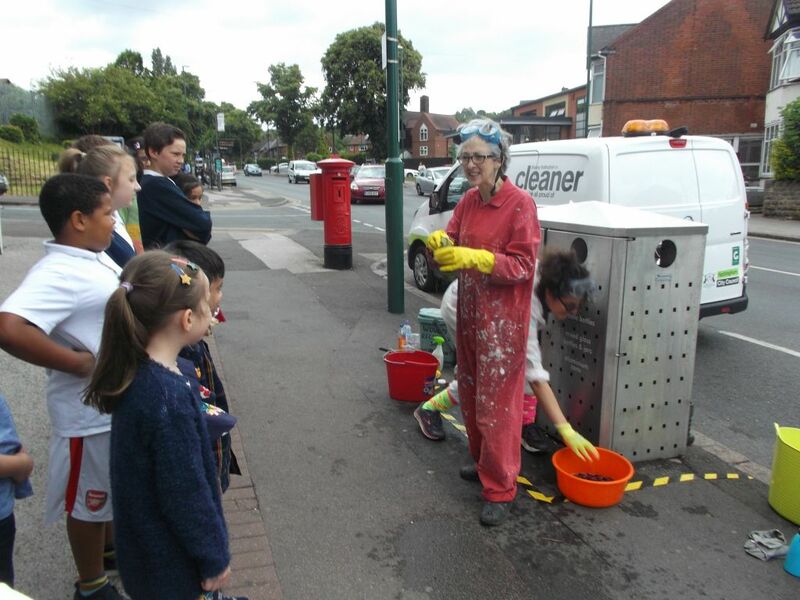 Thank you to children and parents of Sneinton who have used the bin. 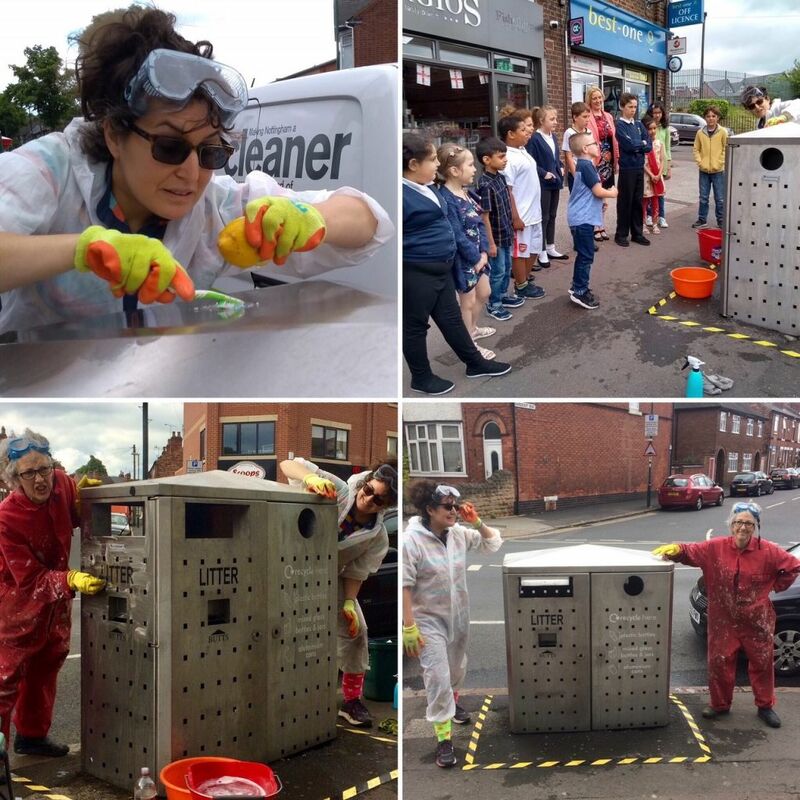 There are now to be two further bins in the Sneinton area! 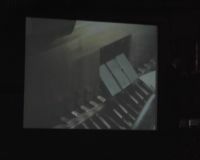 Click here to see the montage! 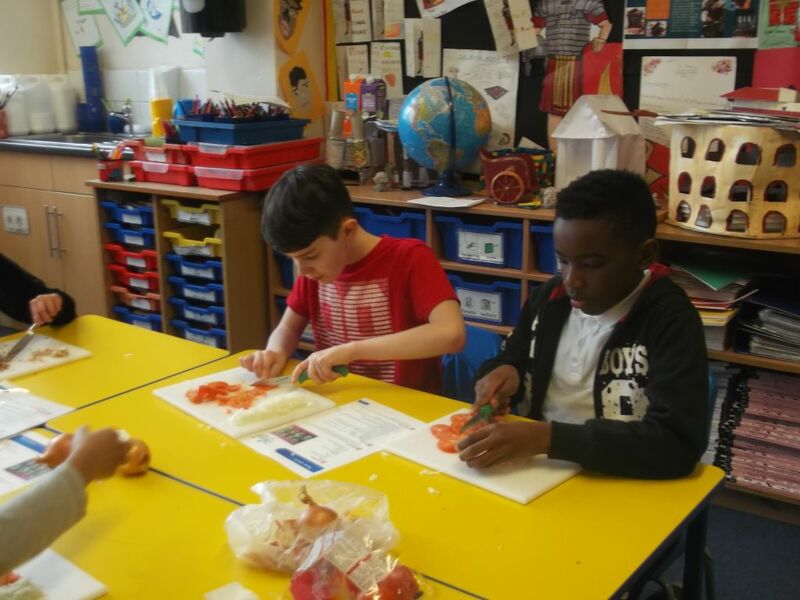 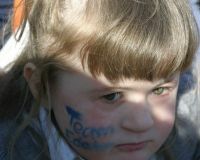 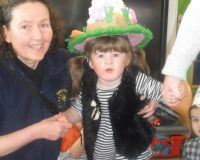 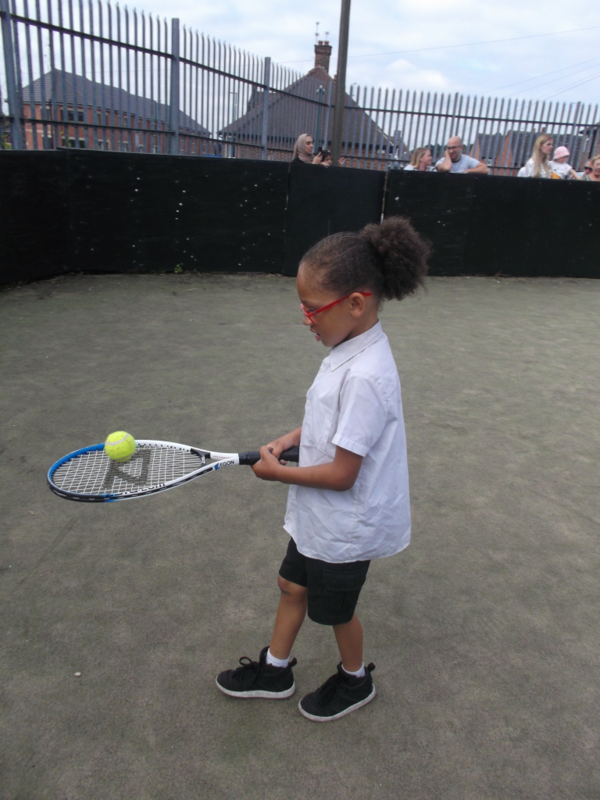 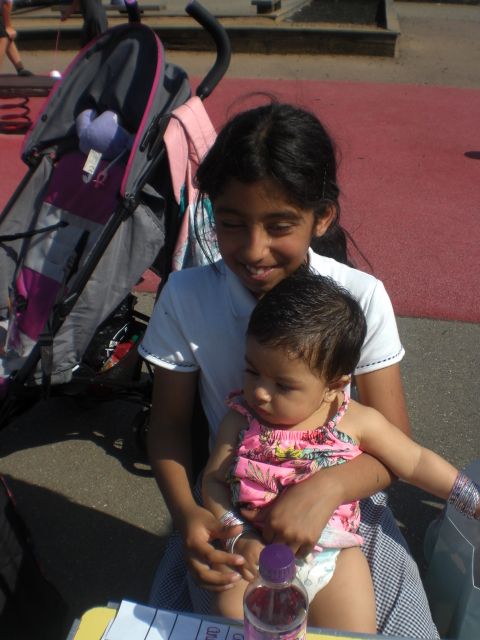 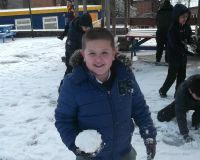 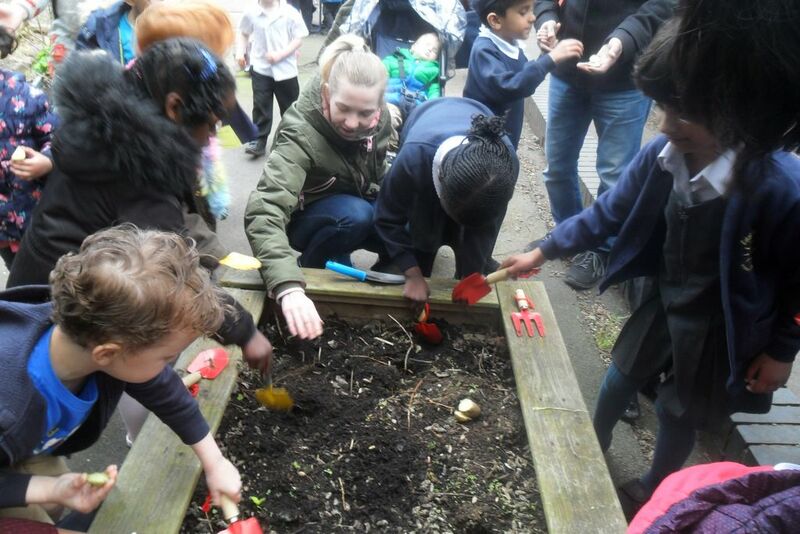 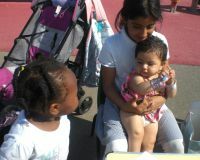 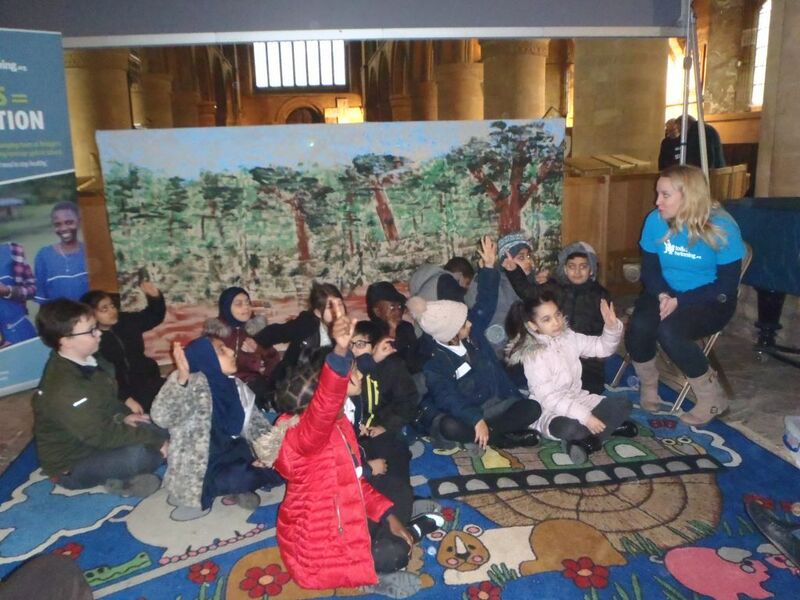 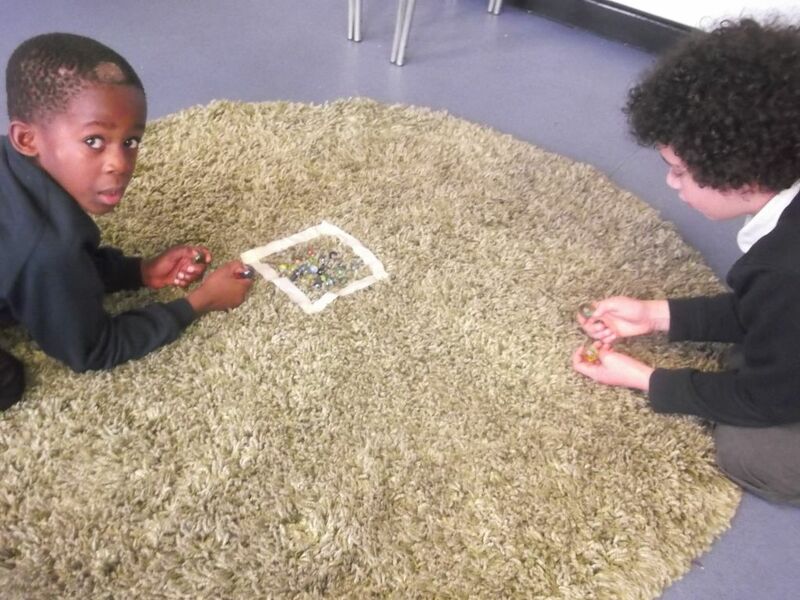 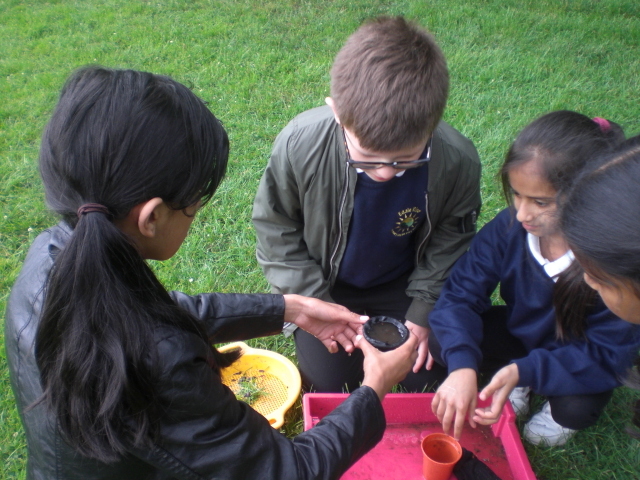 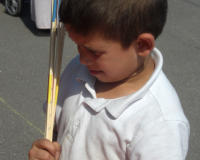 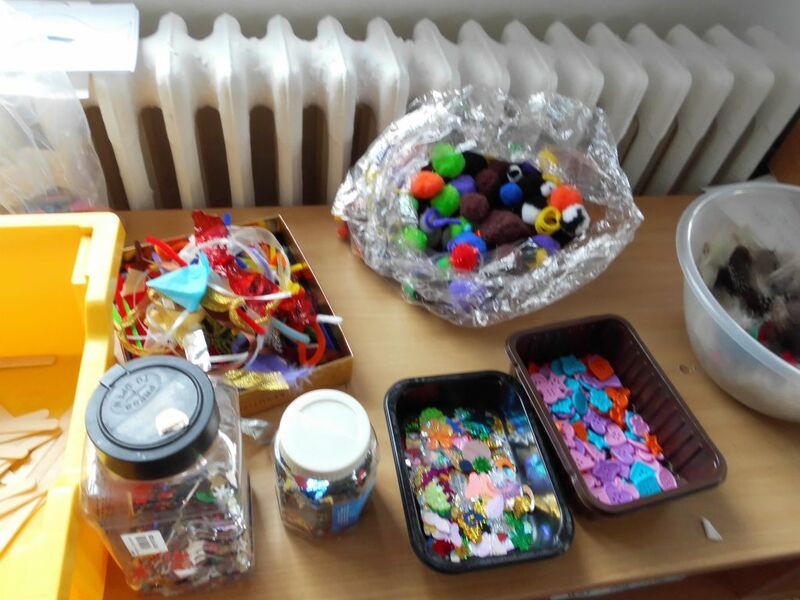 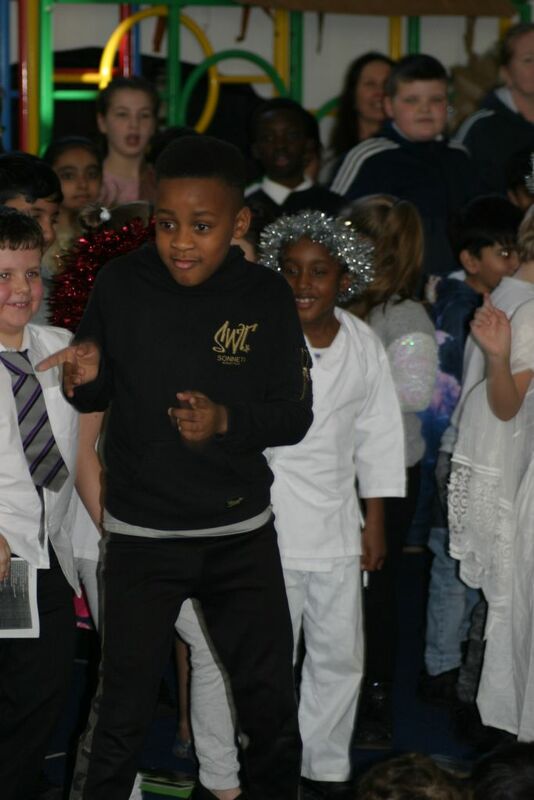 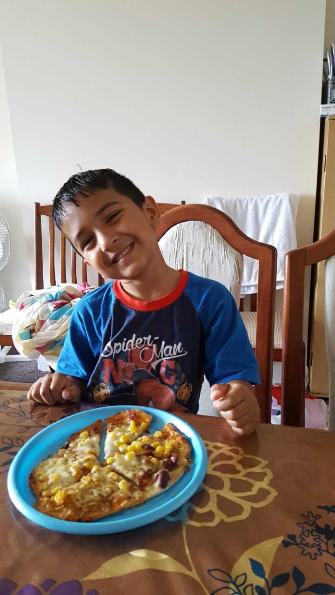 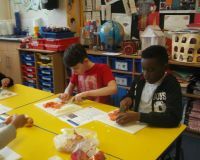 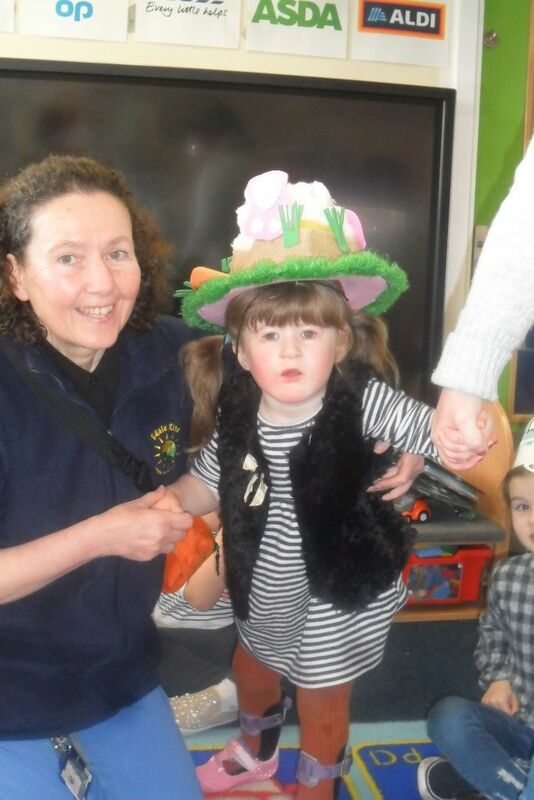 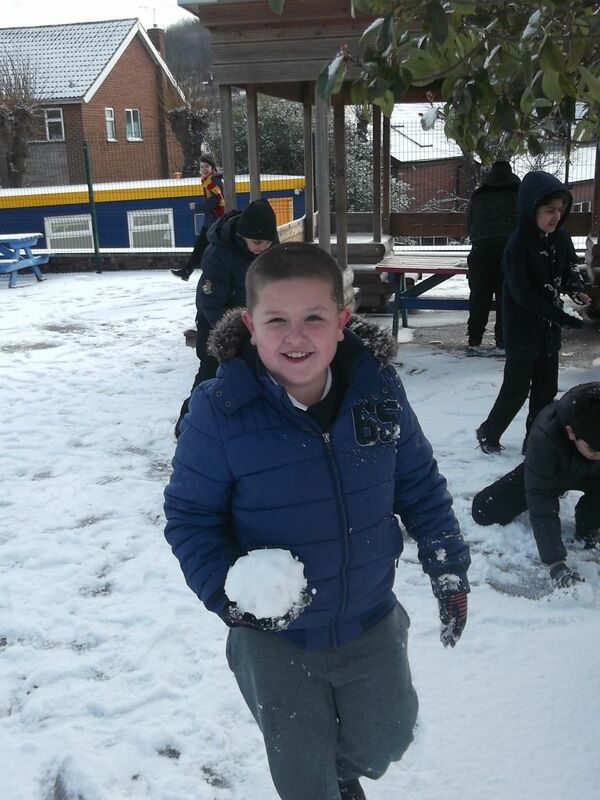 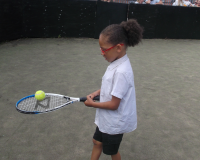 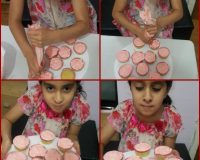 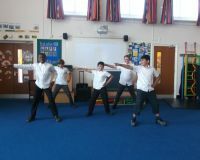 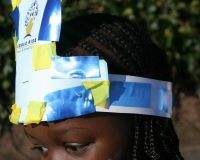 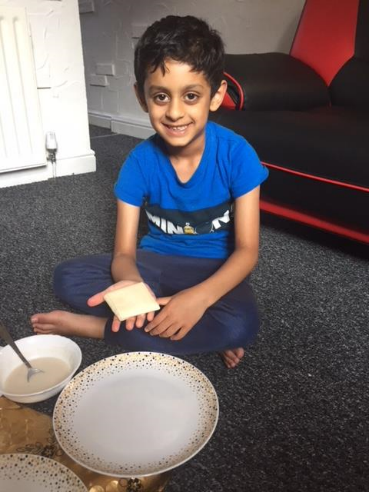 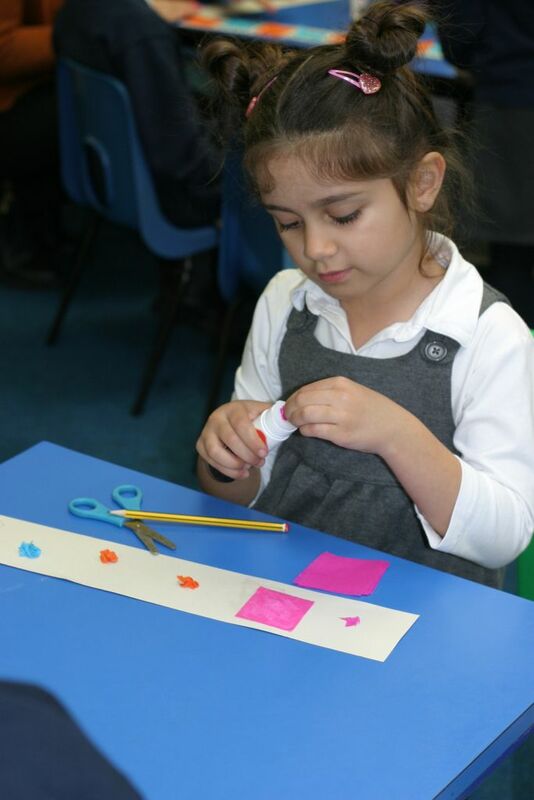 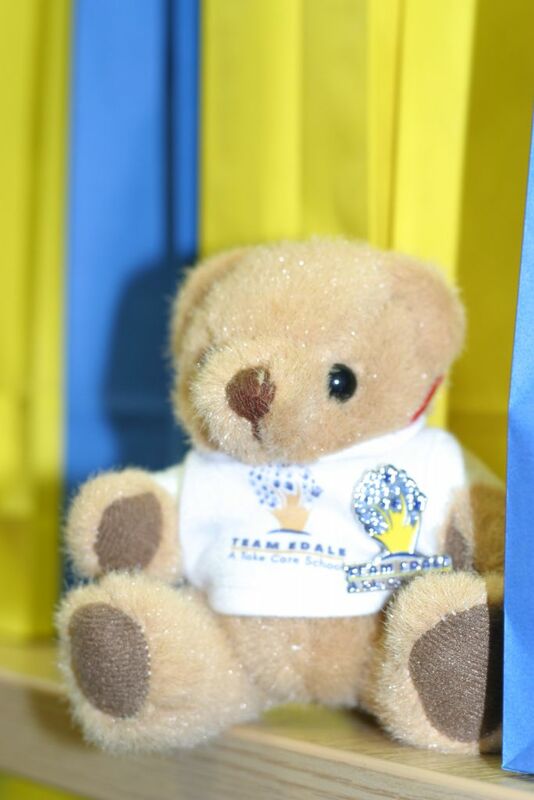 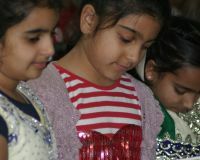 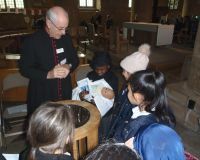 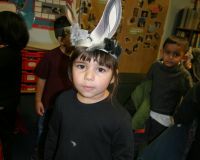 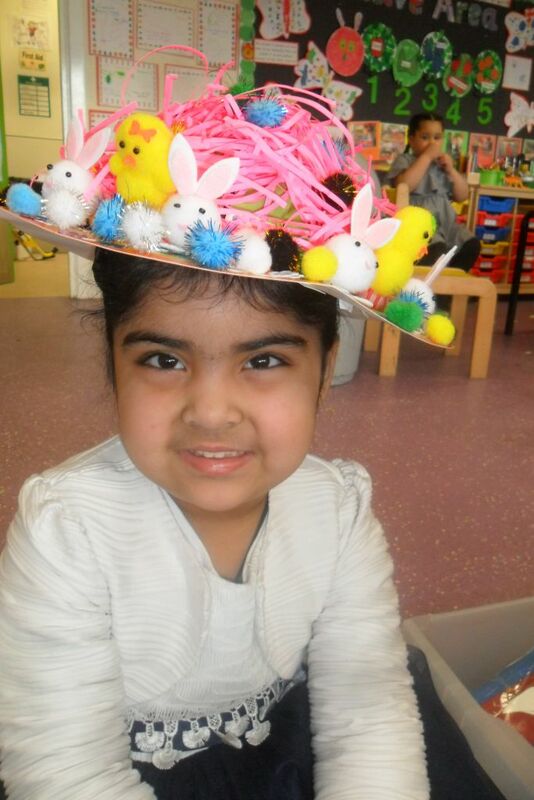 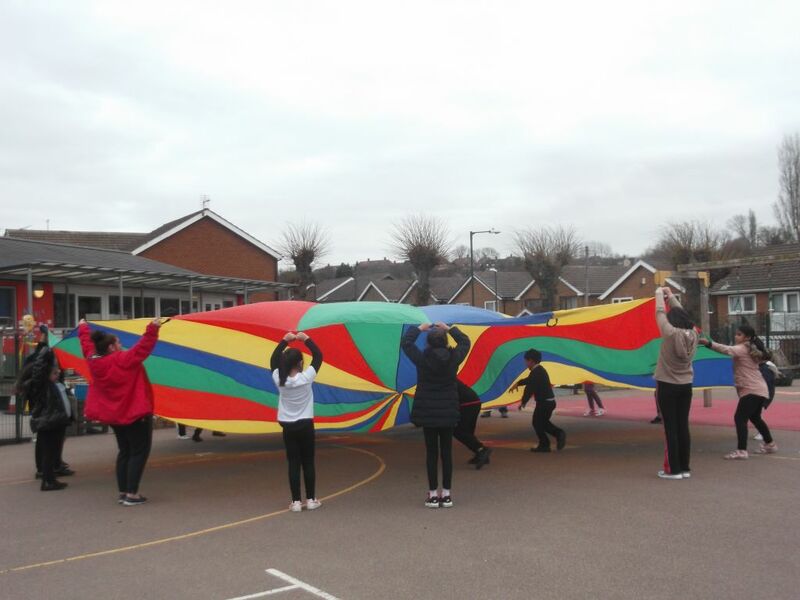 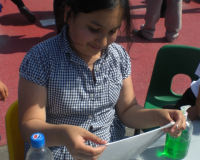 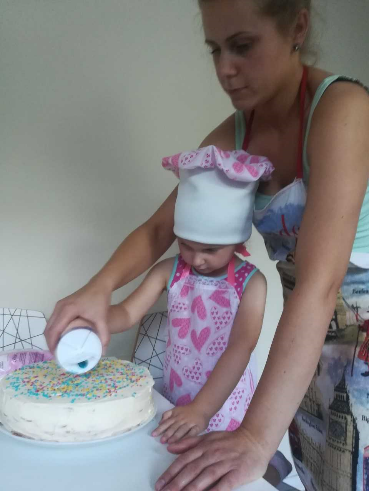 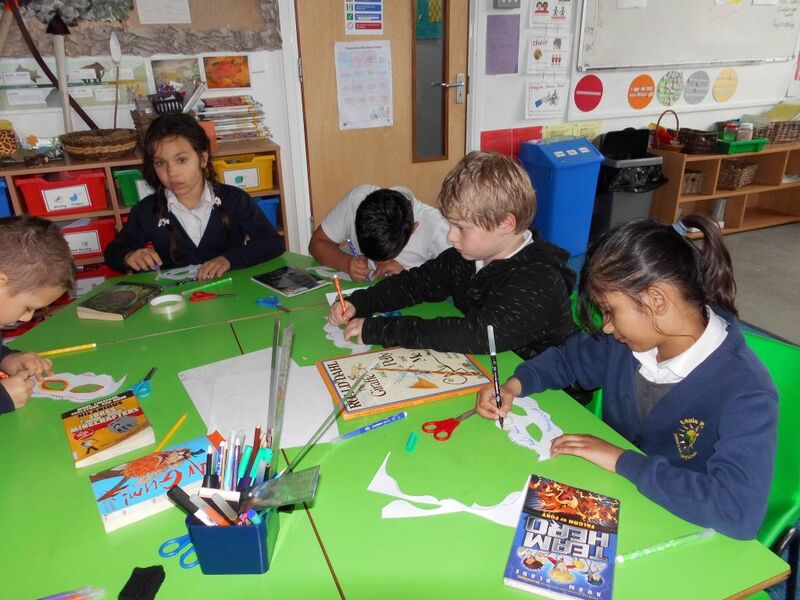 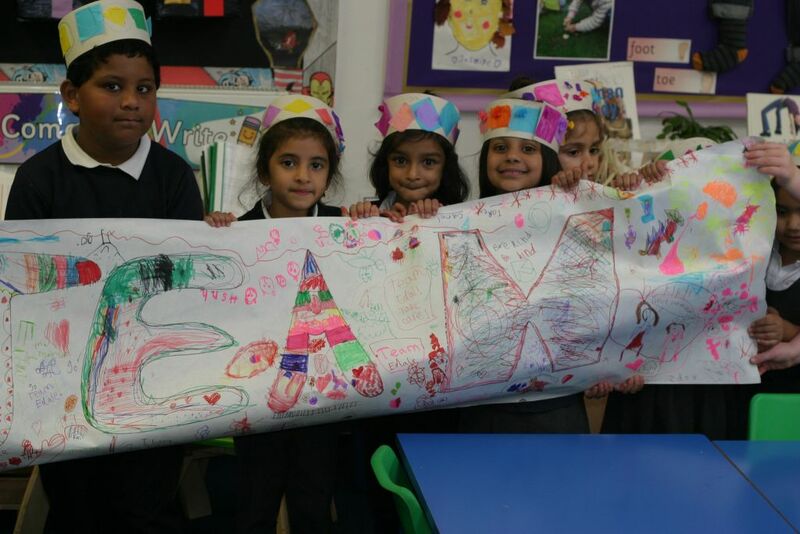 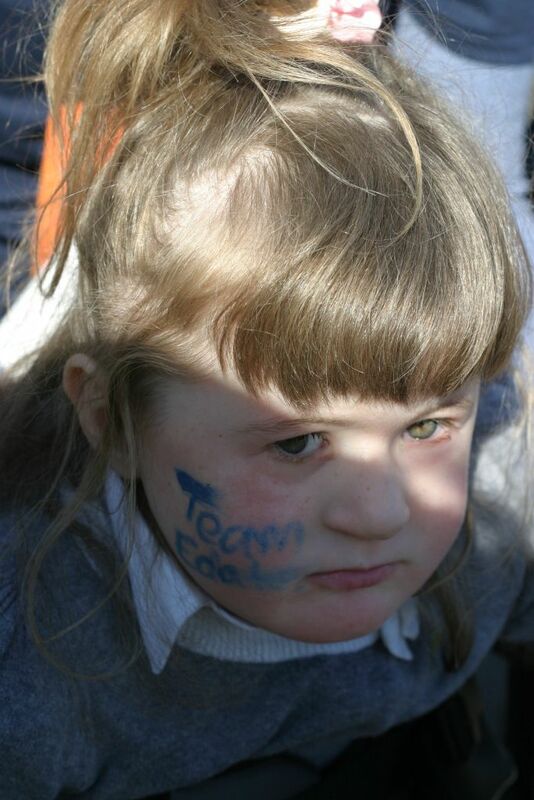 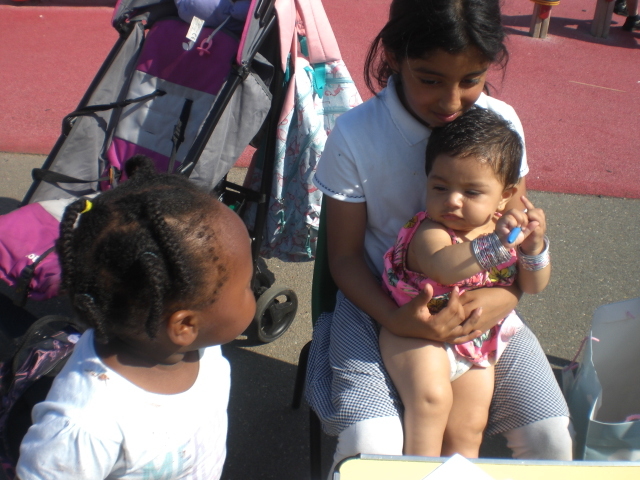 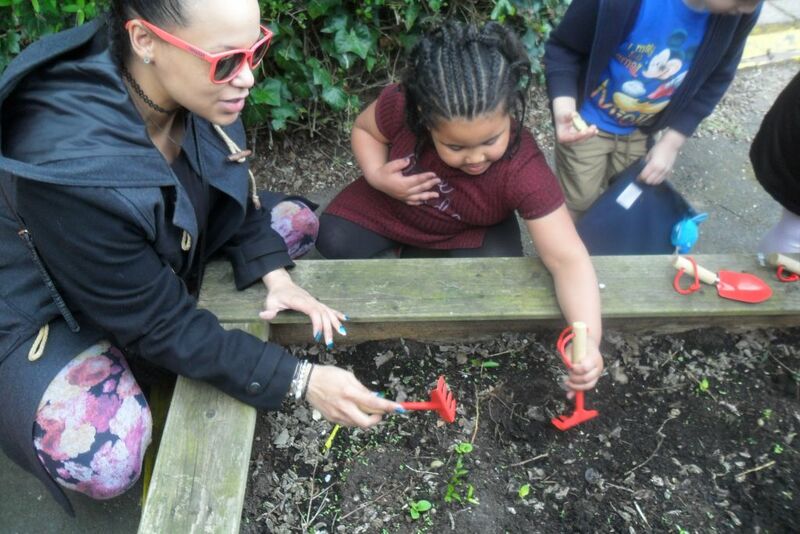 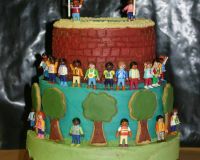 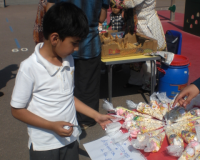 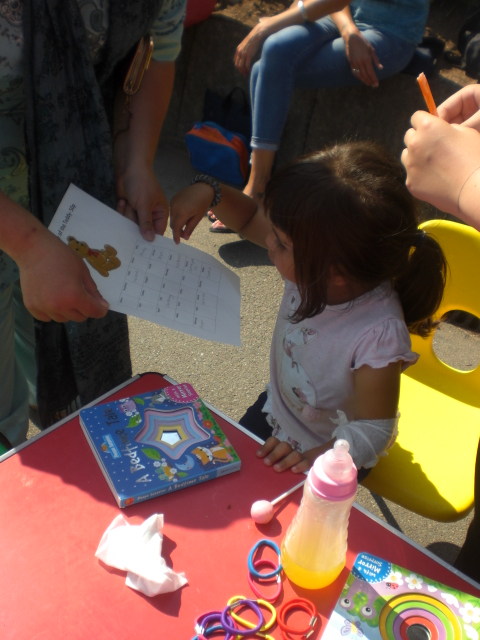 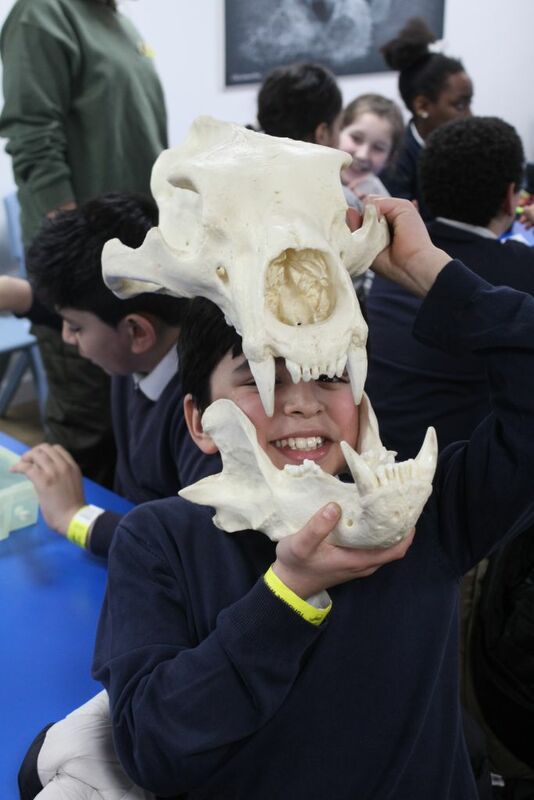 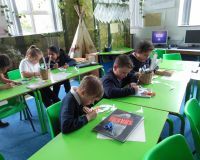 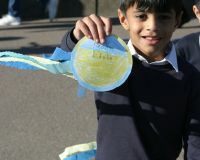 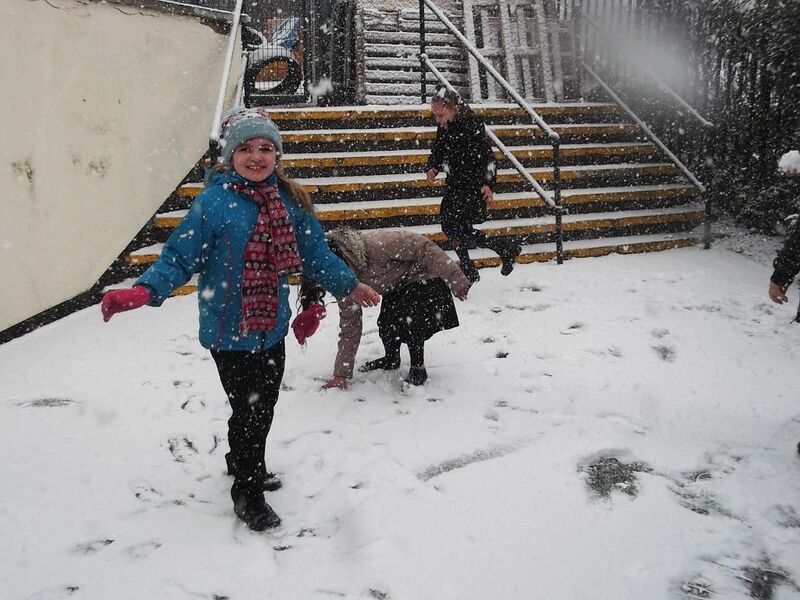 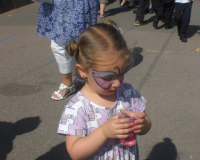 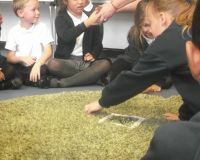 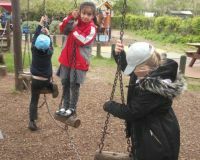 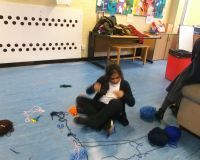 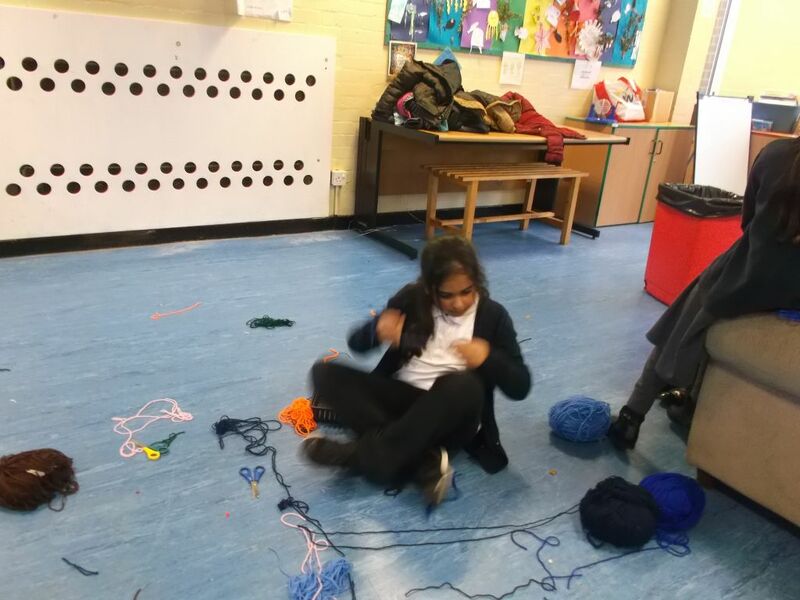 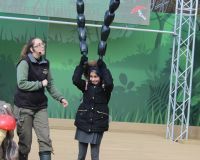 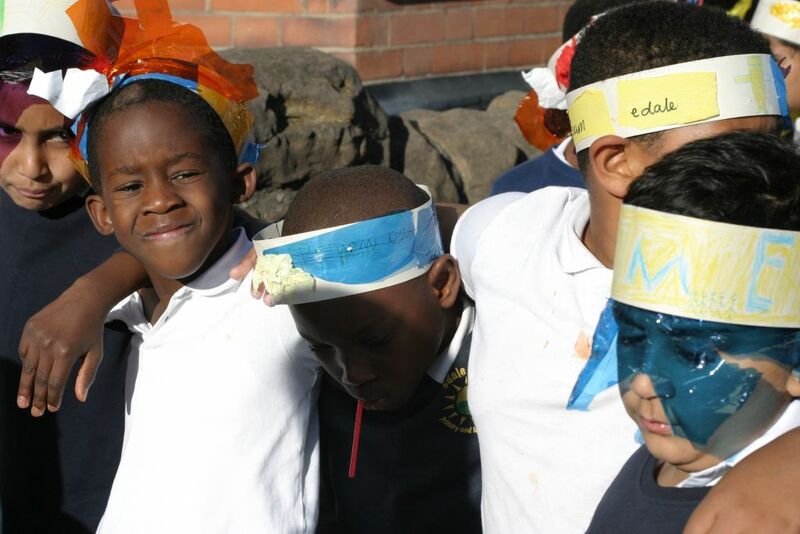 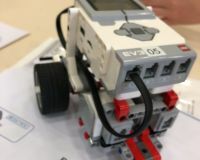 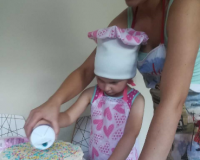 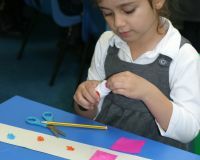 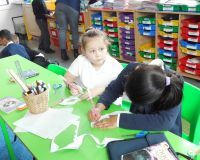 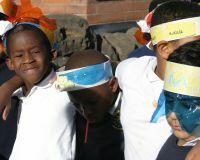 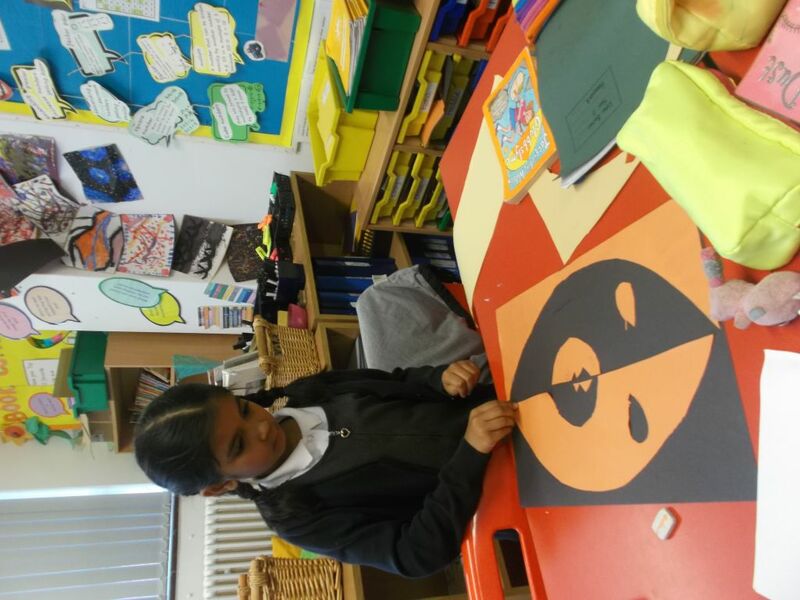 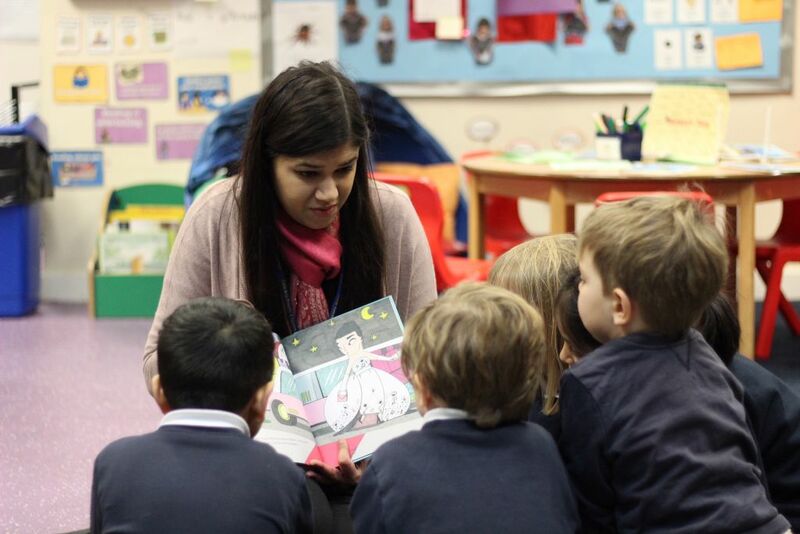 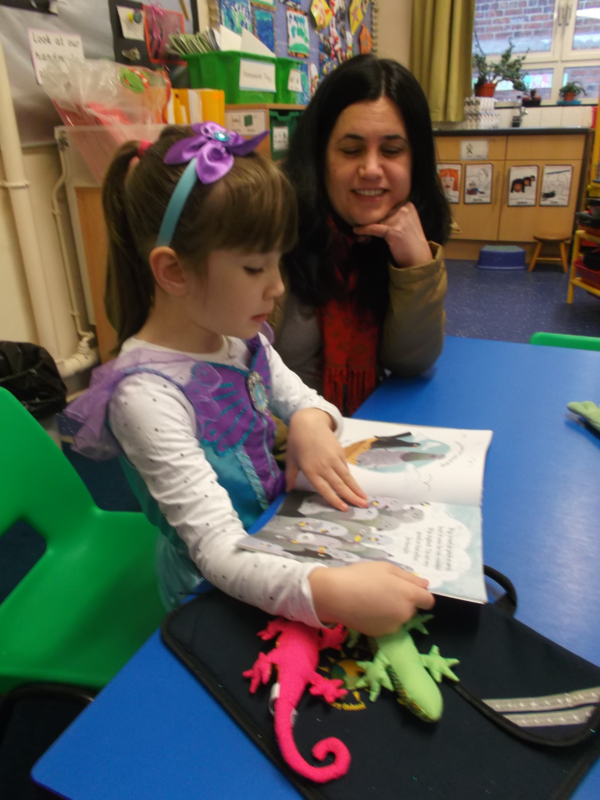 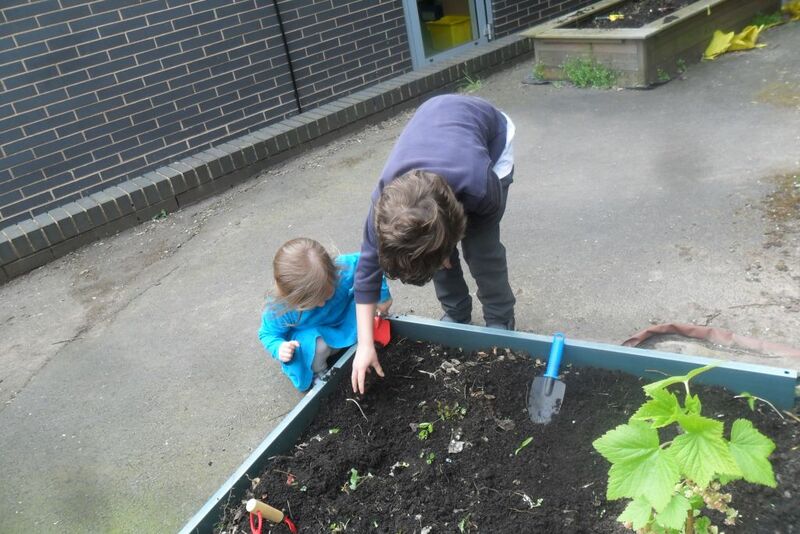 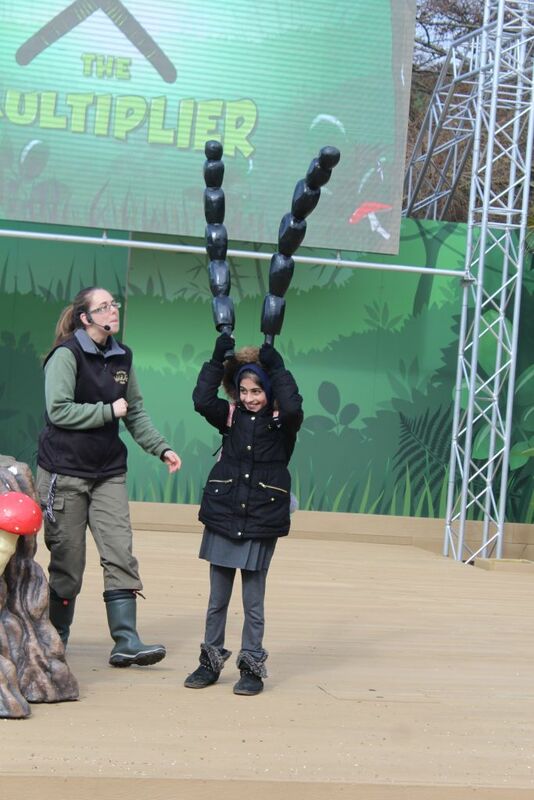 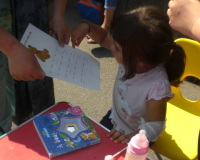 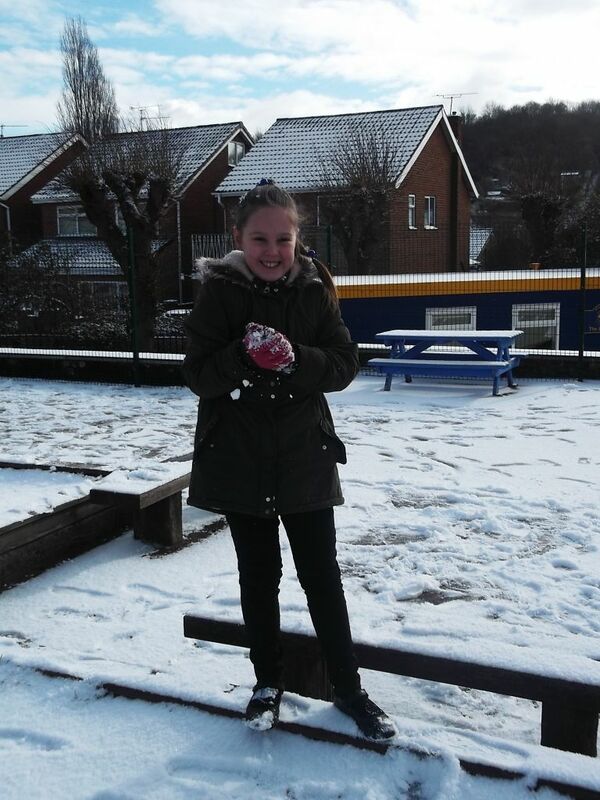 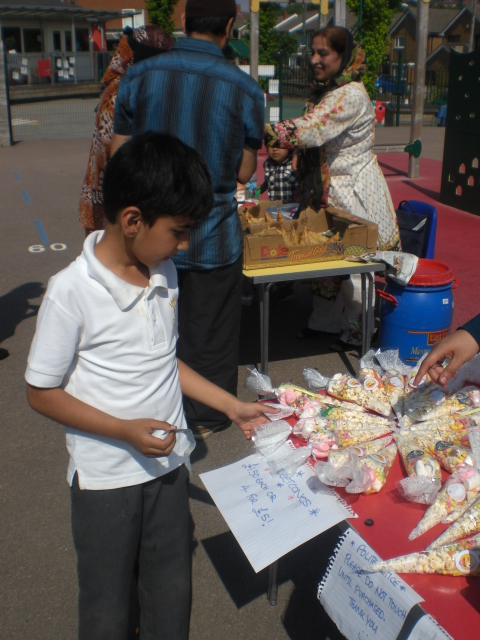 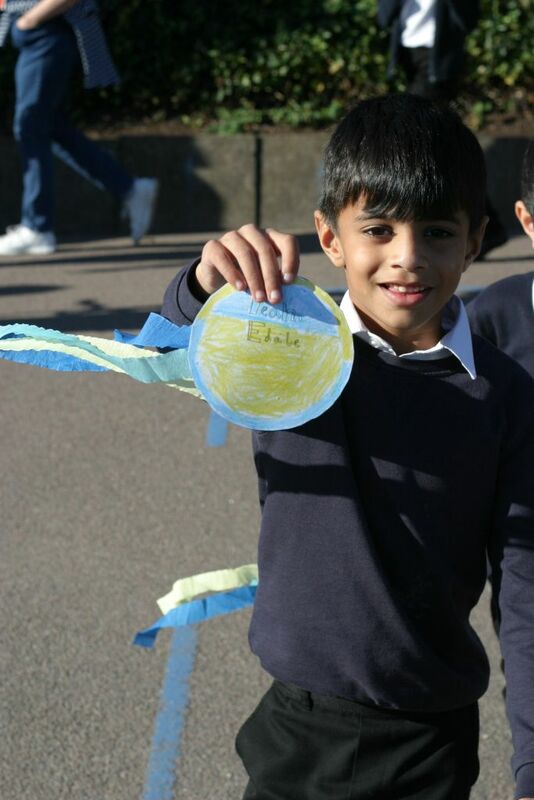 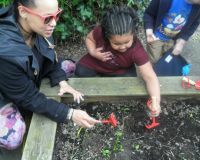 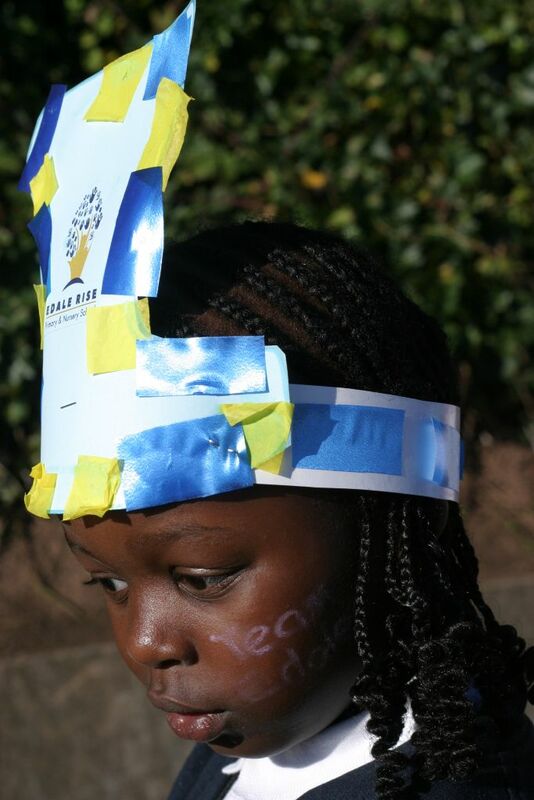 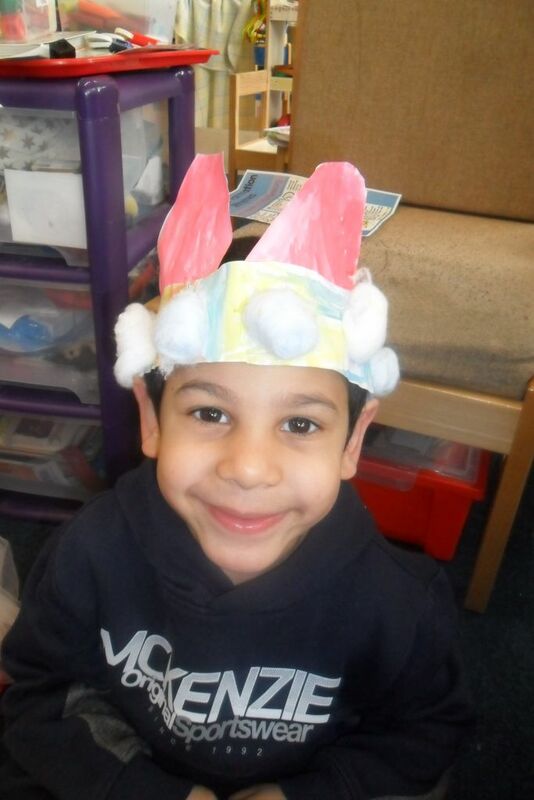 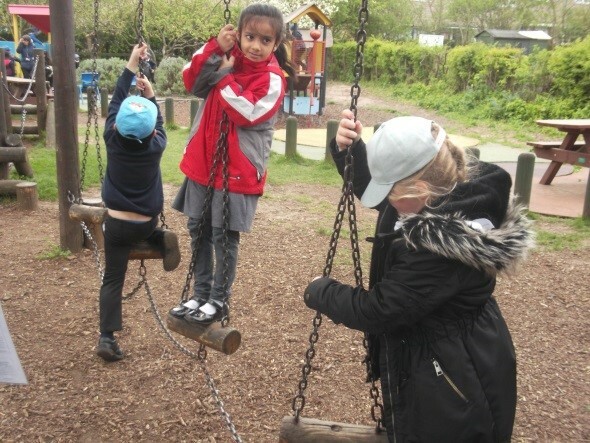 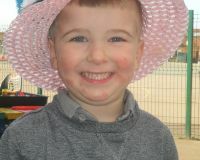 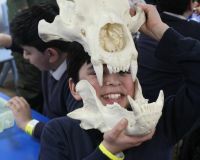 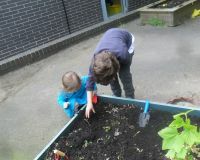 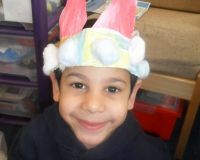 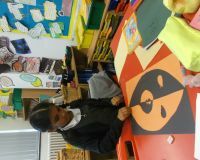 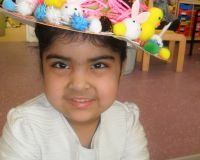 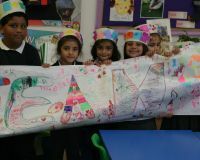 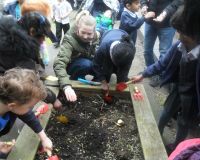 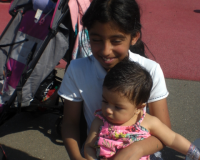 All the children take part in different activities and work with children from different classes. 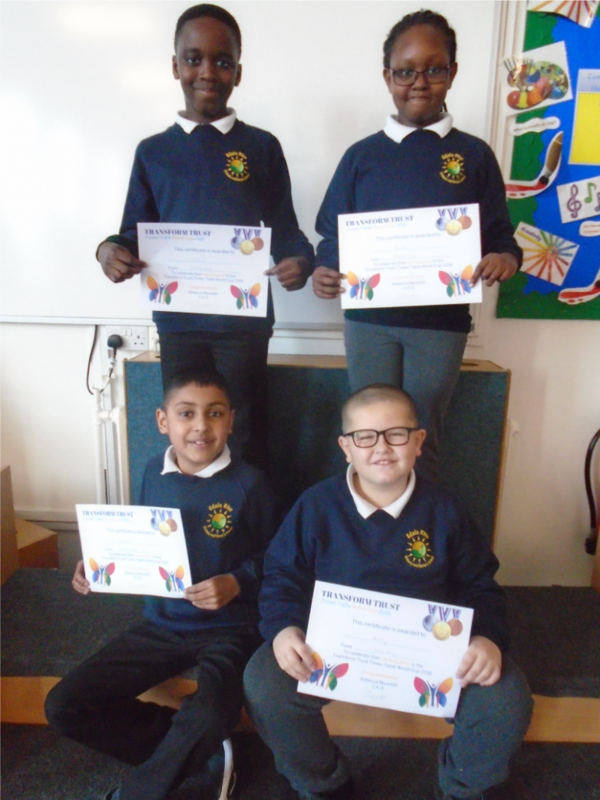 These are children who have had 100% attendance all year and were awarded a gold badge. 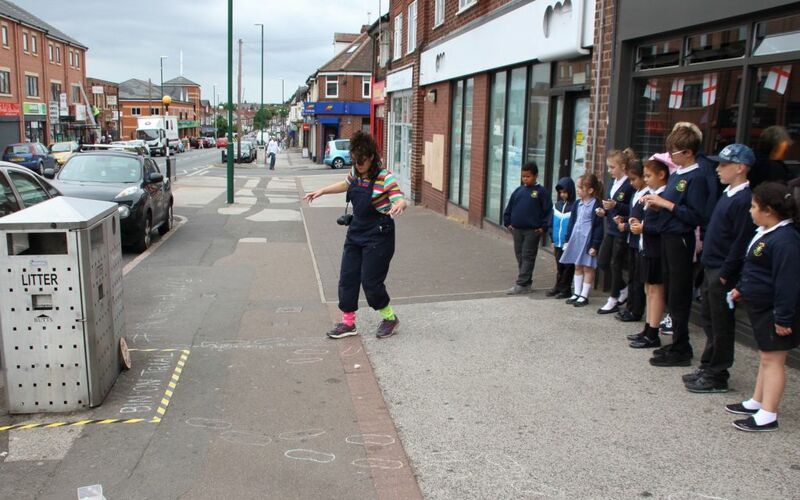 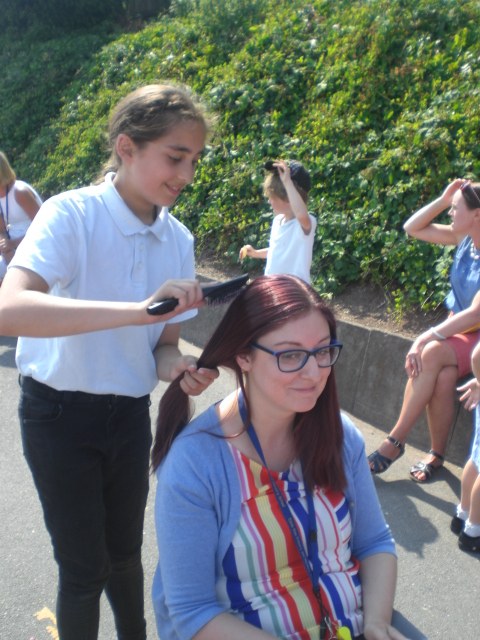 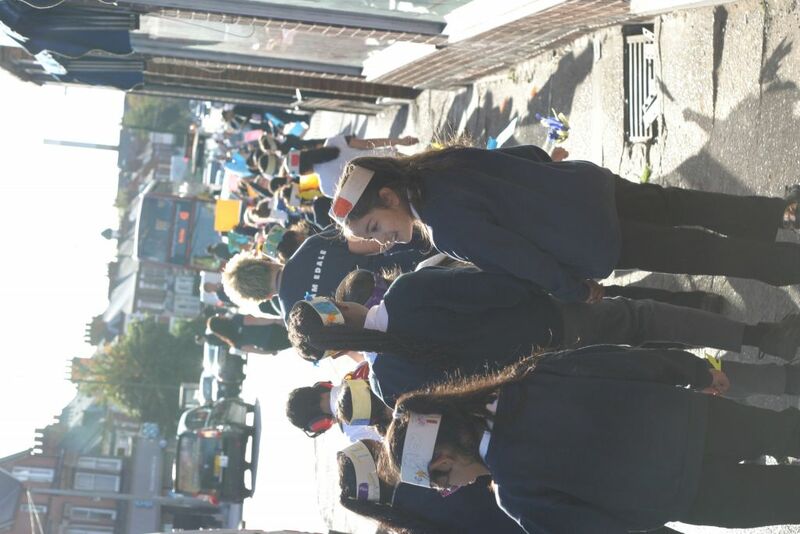 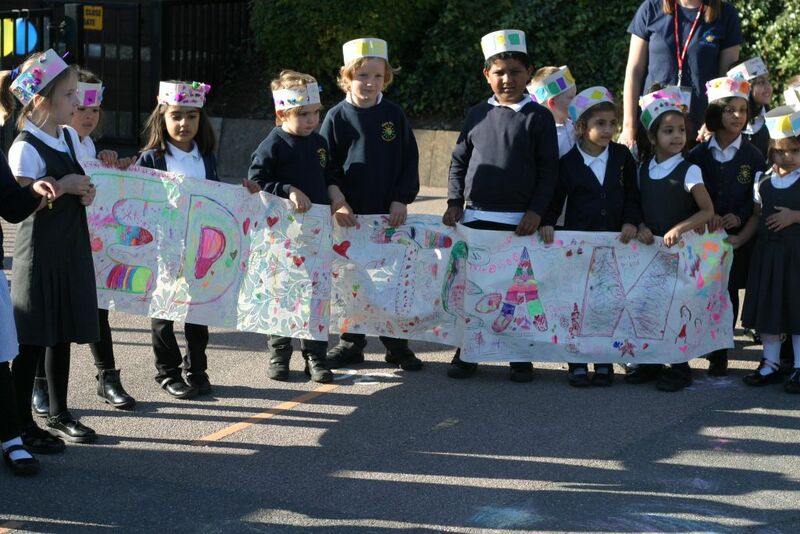 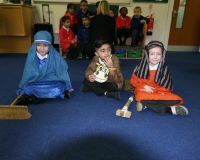 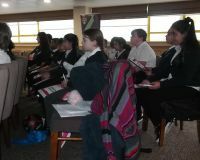 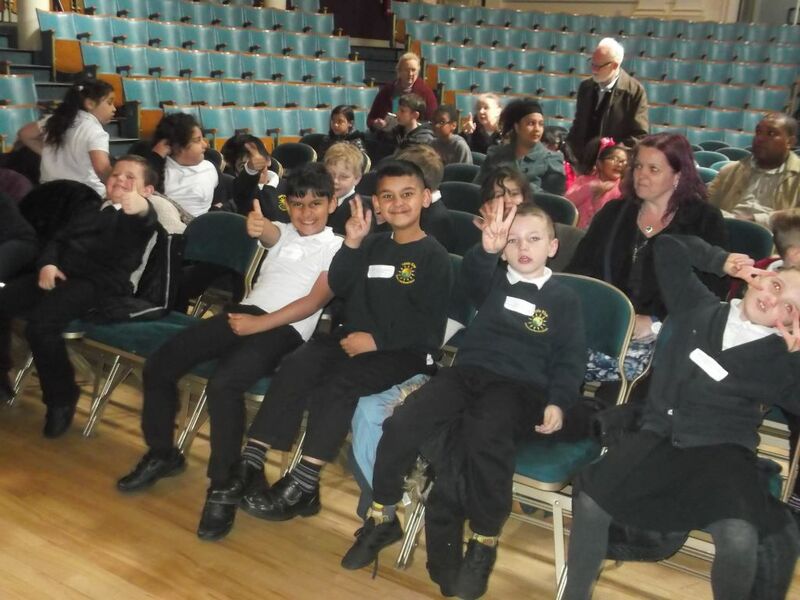 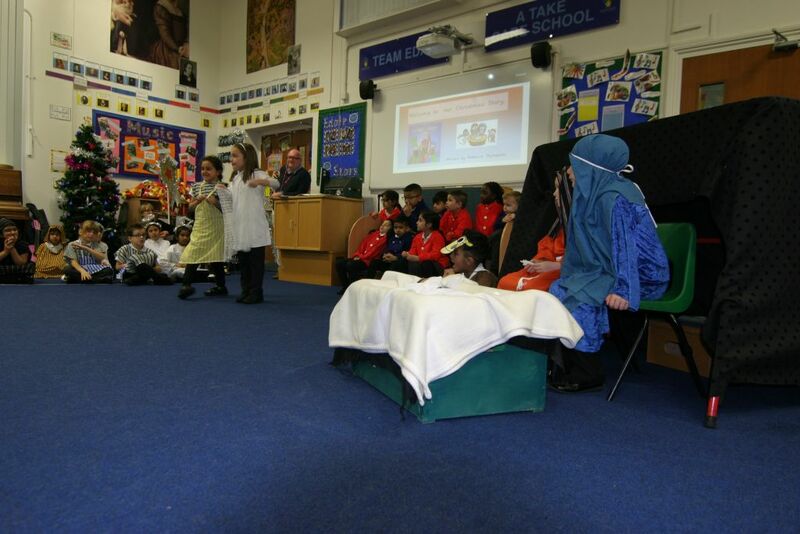 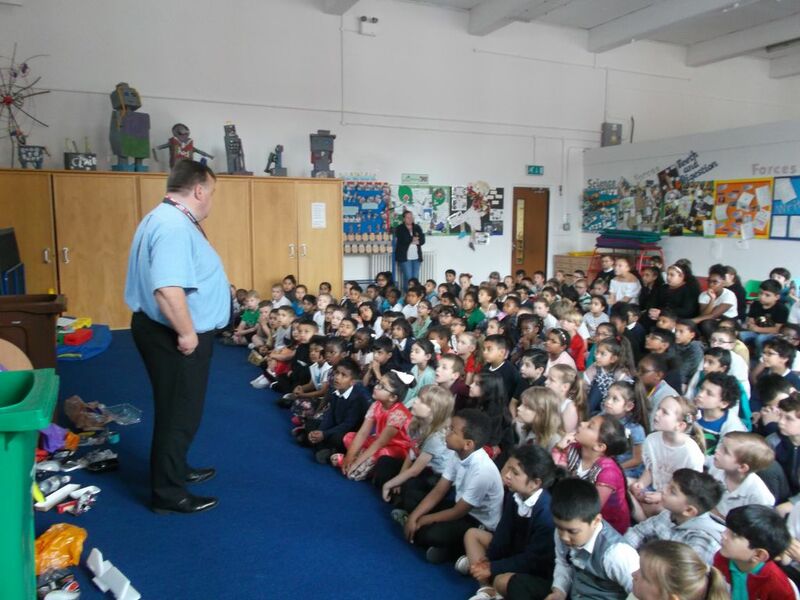 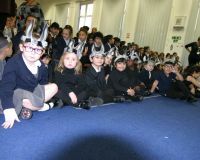 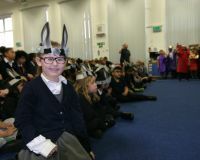 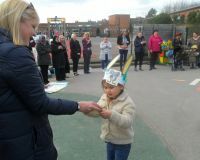 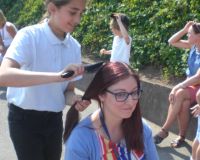 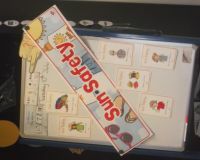 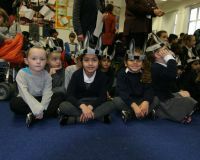 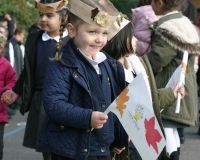 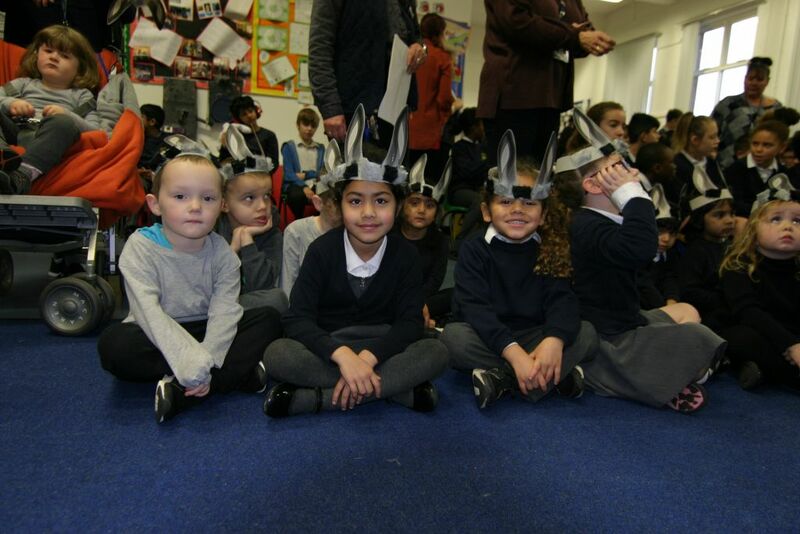 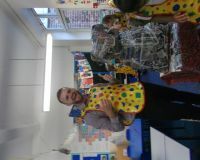 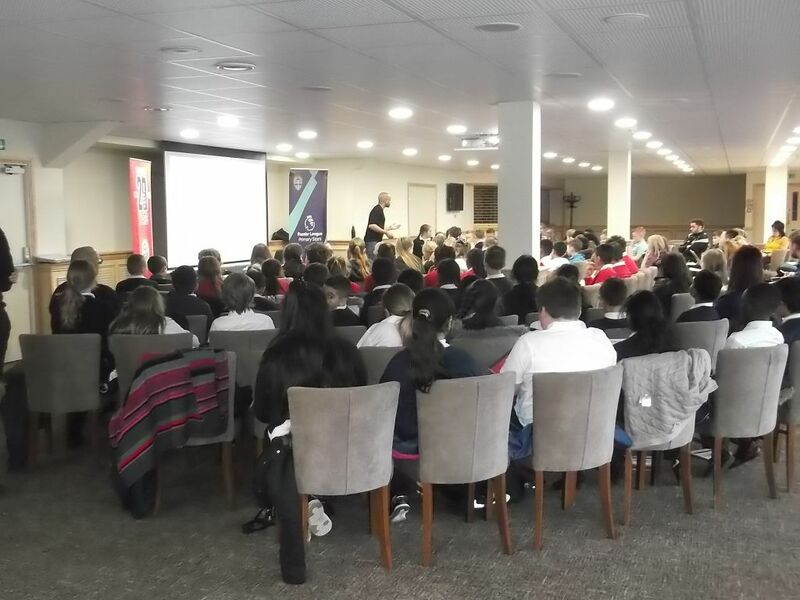 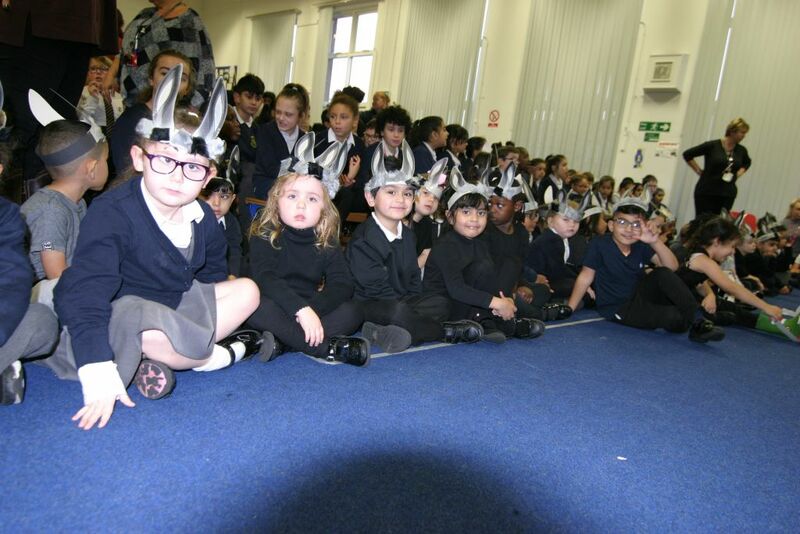 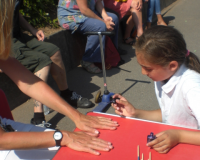 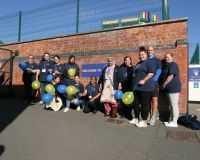 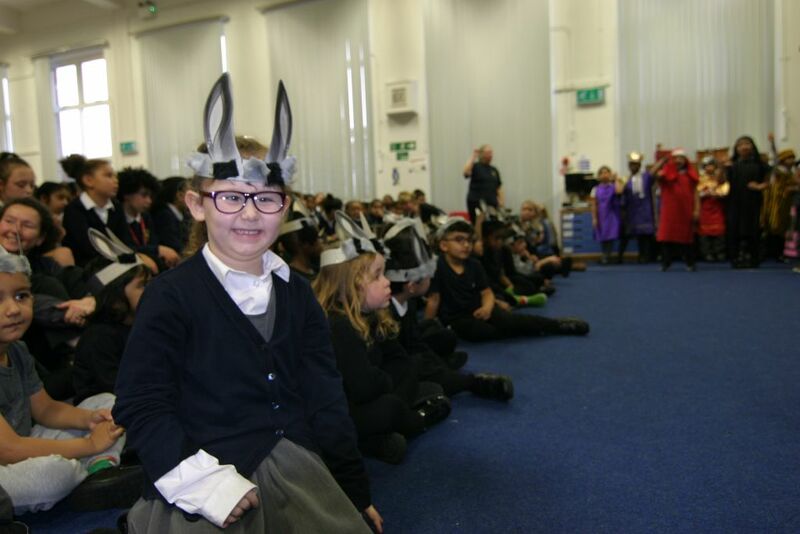 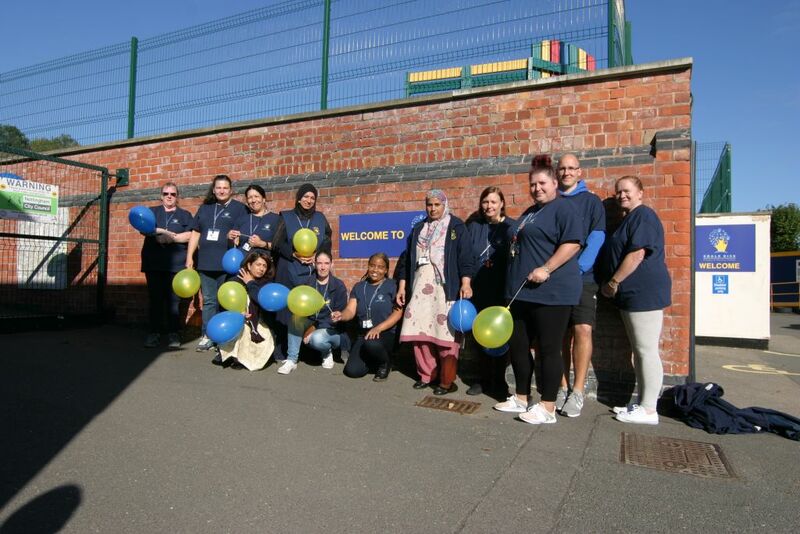 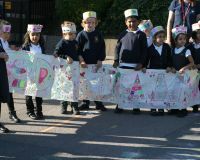 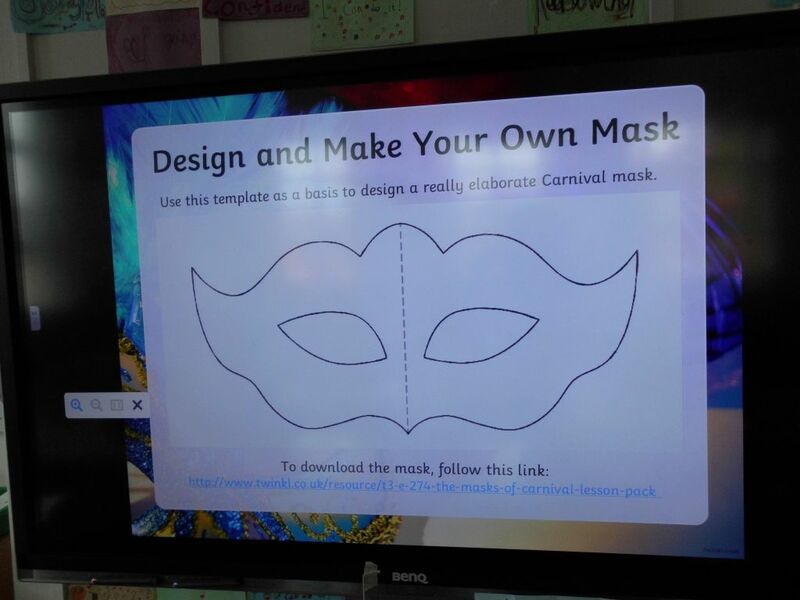 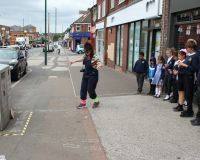 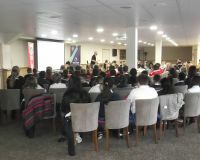 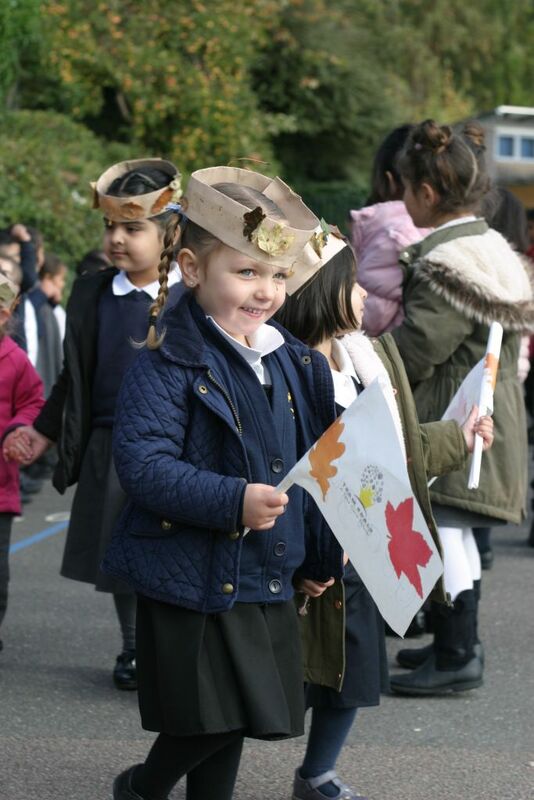 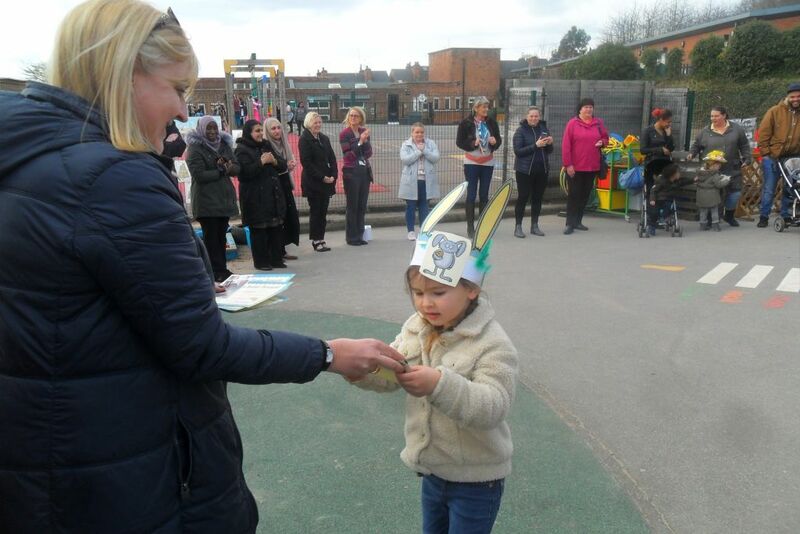 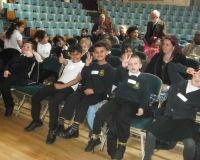 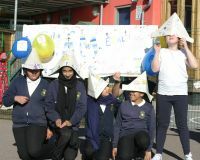 The whole school took part in a special day based on learning about keeping safe. 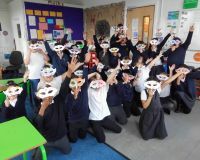 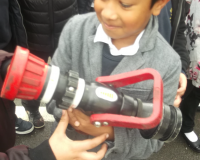 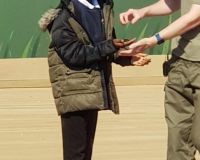 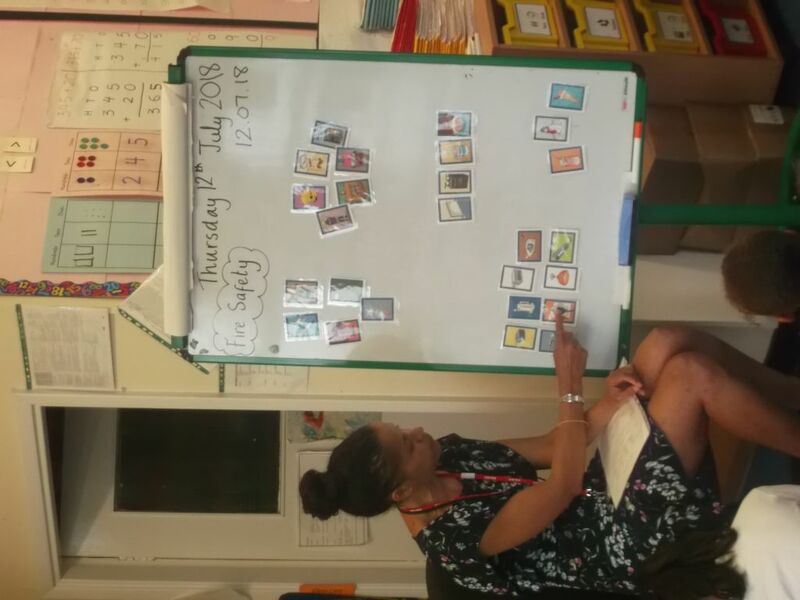 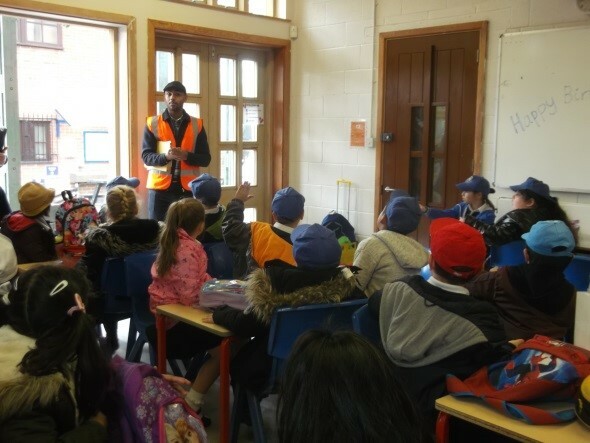 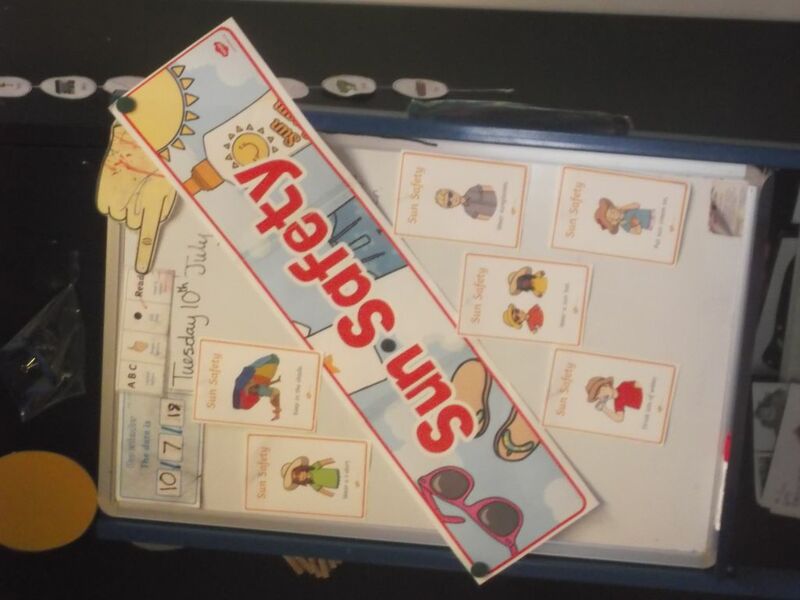 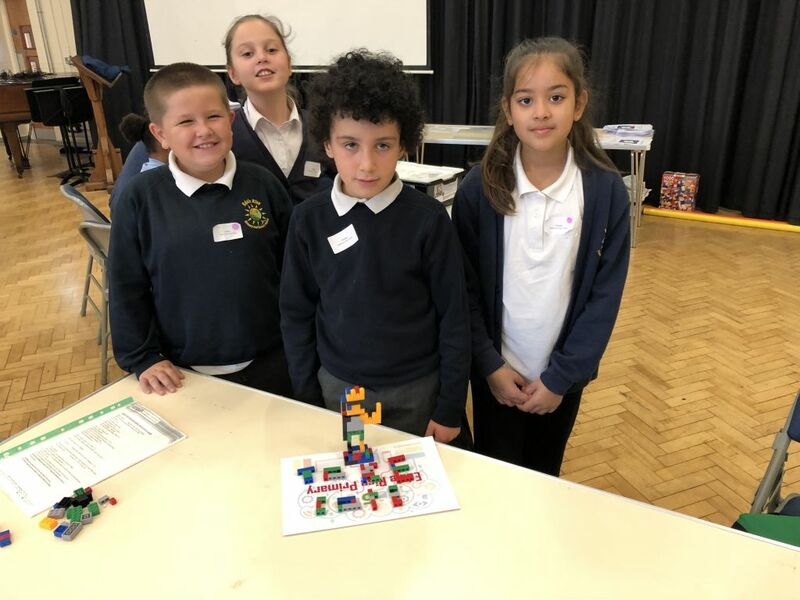 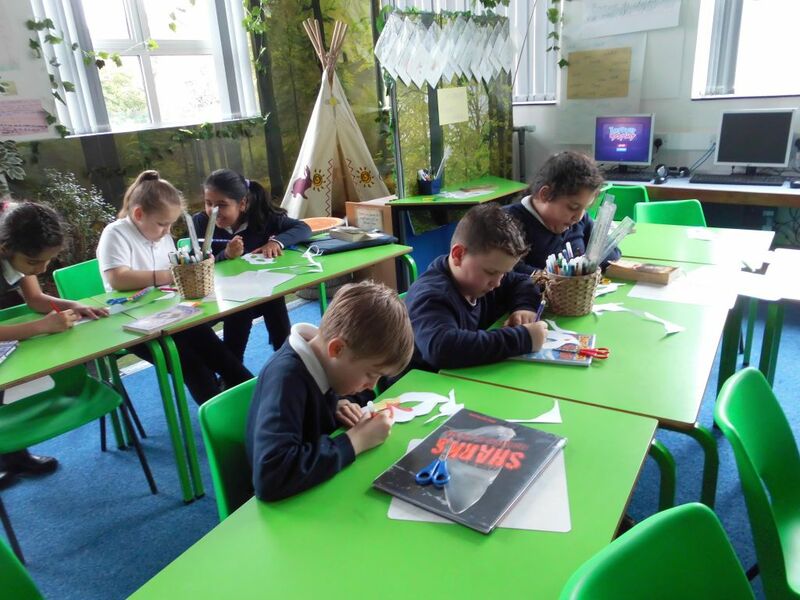 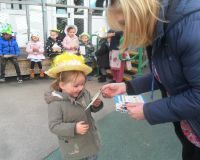 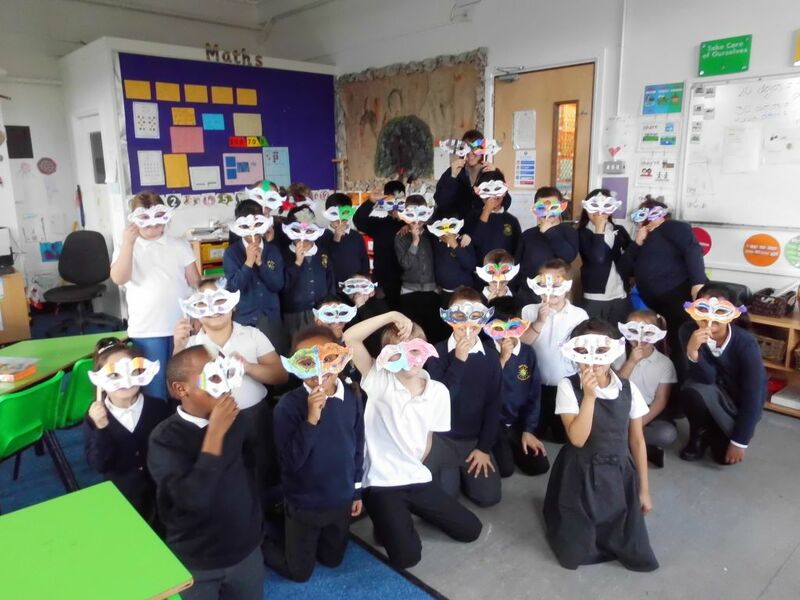 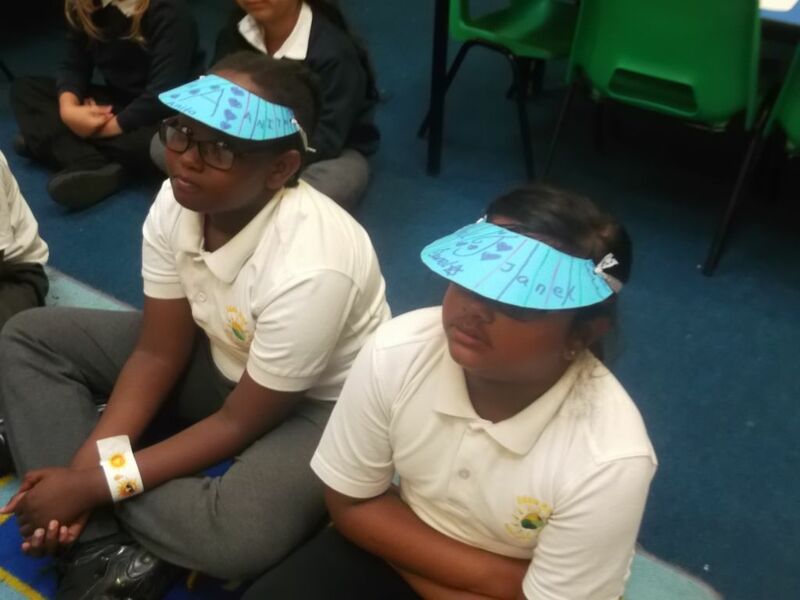 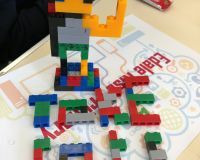 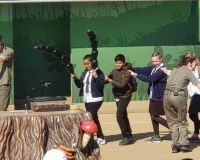 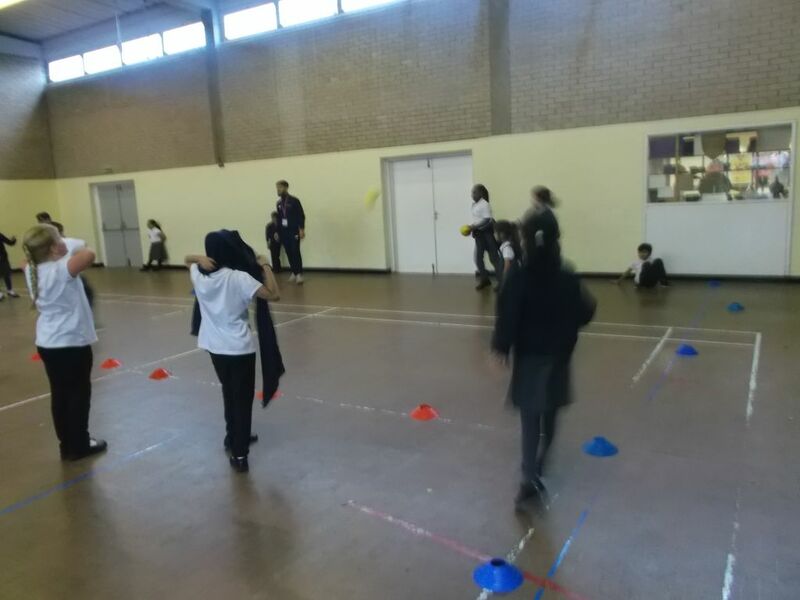 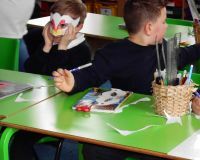 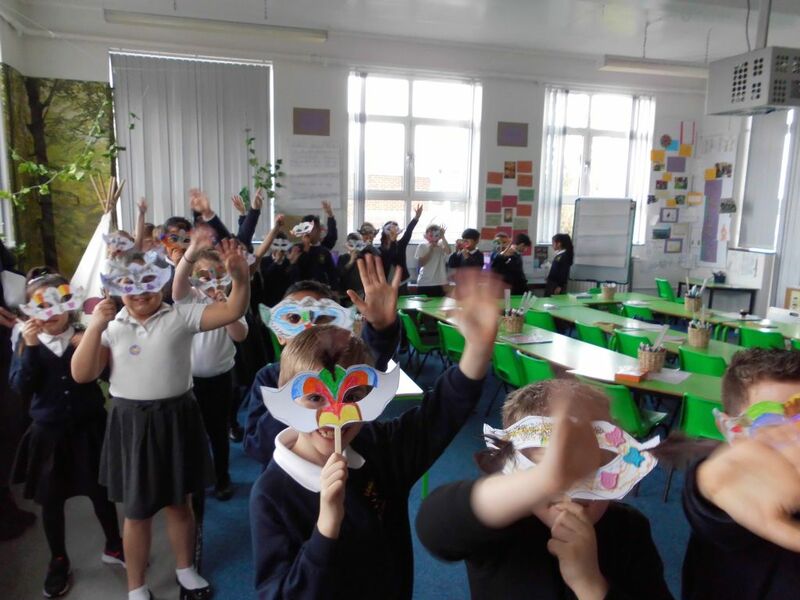 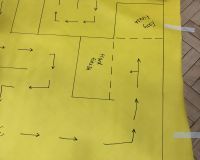 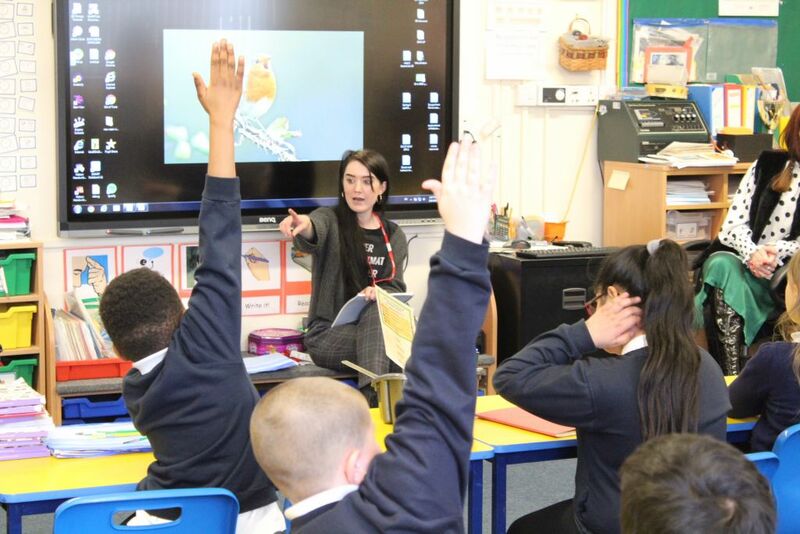 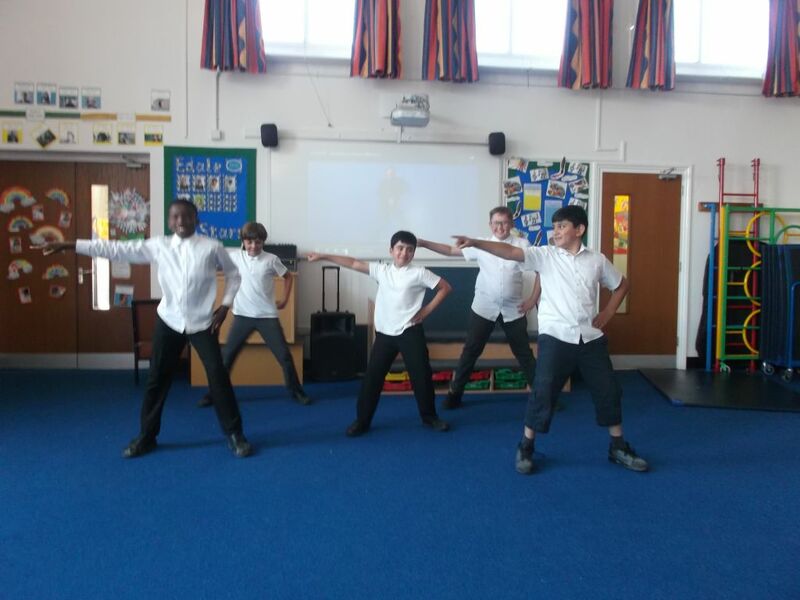 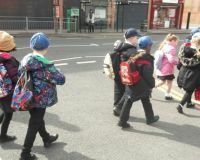 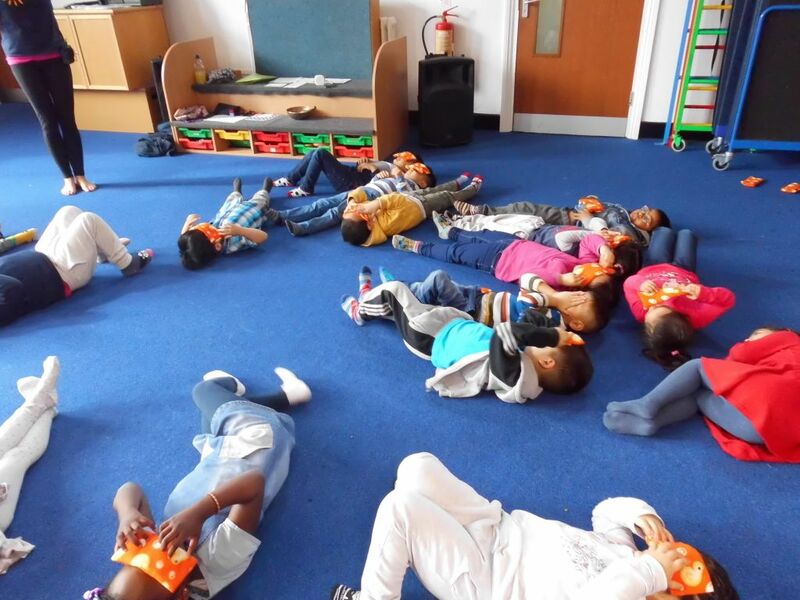 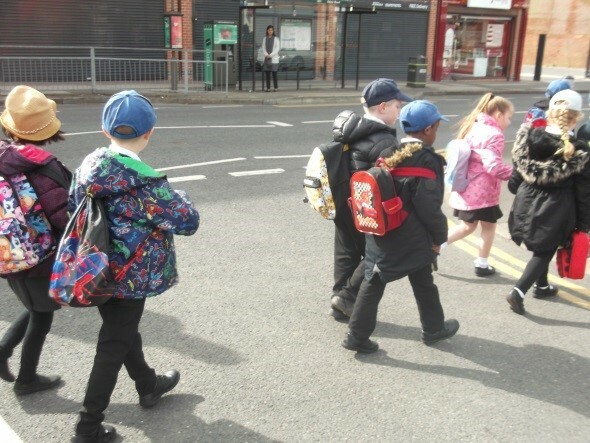 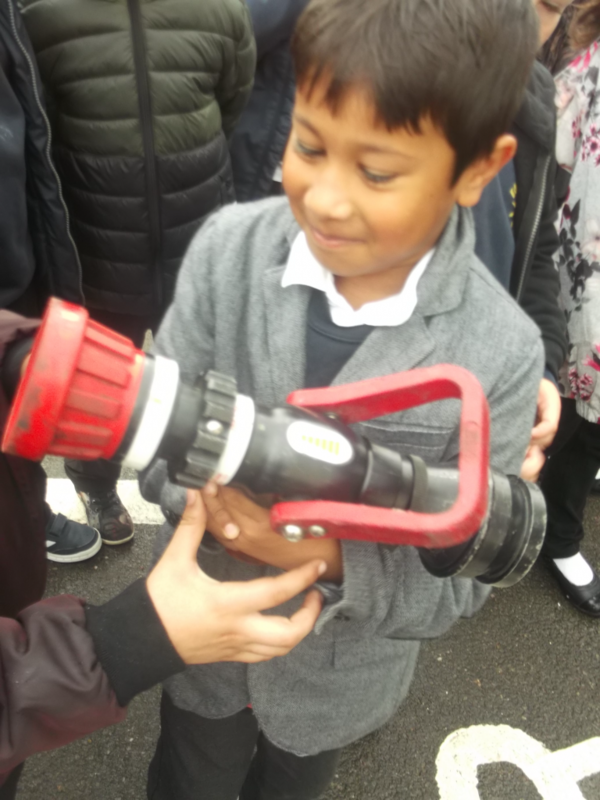 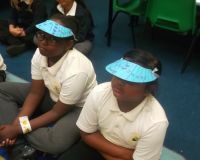 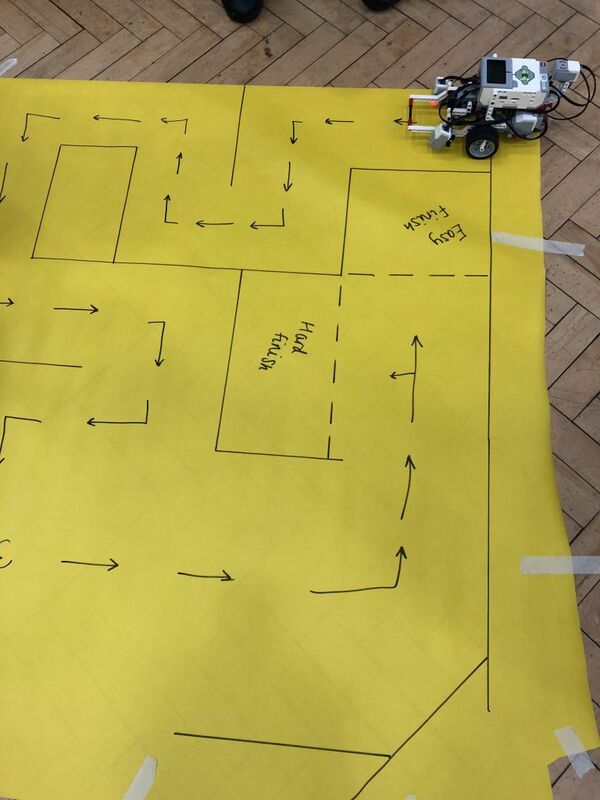 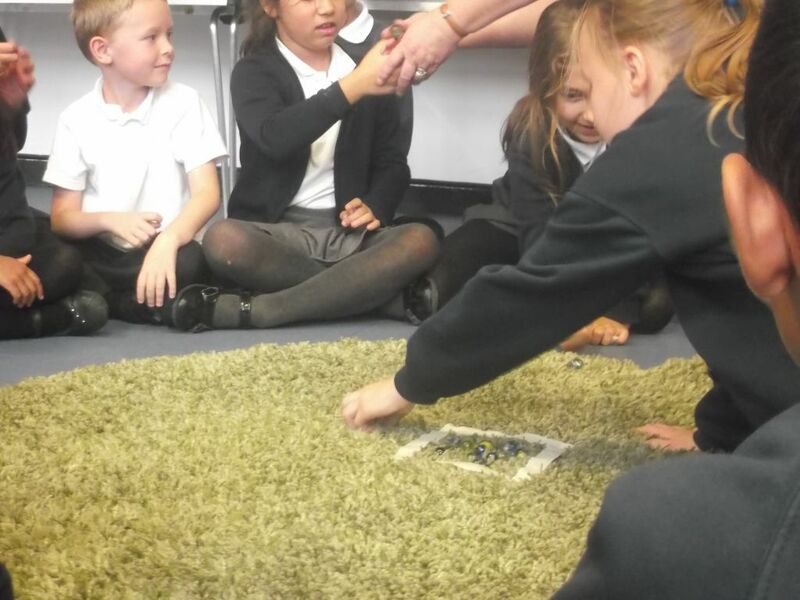 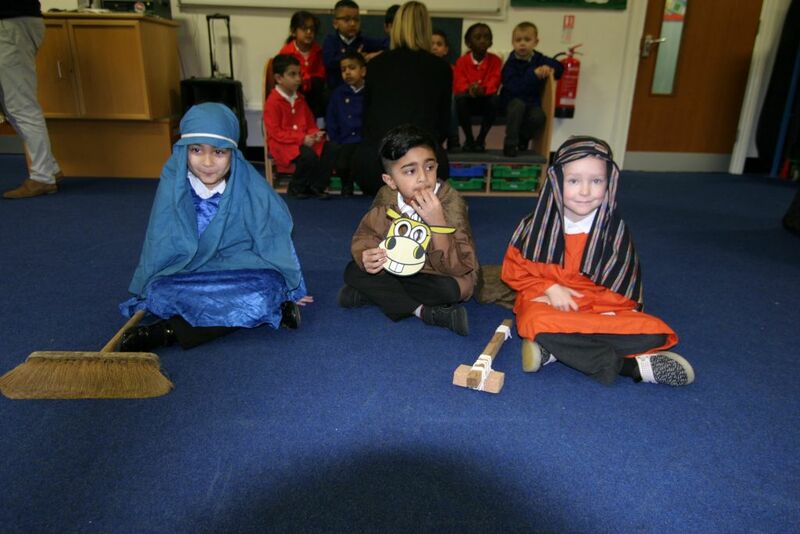 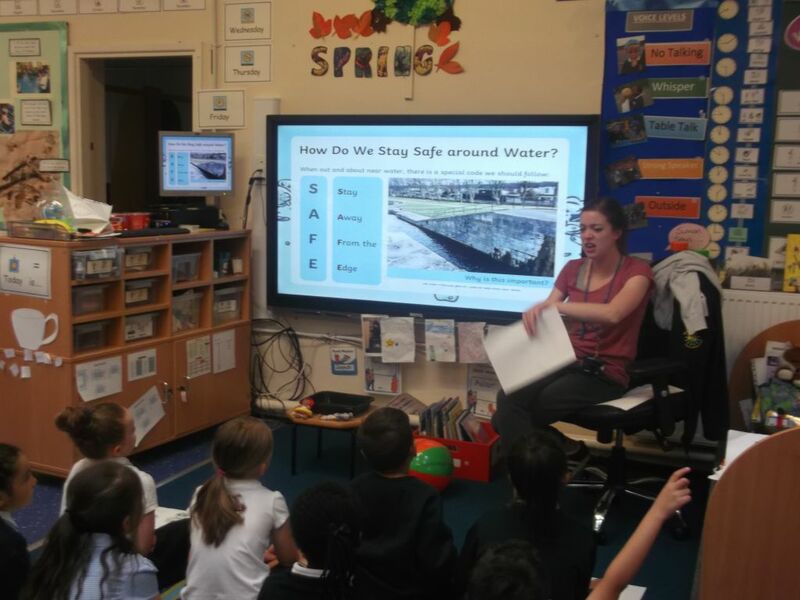 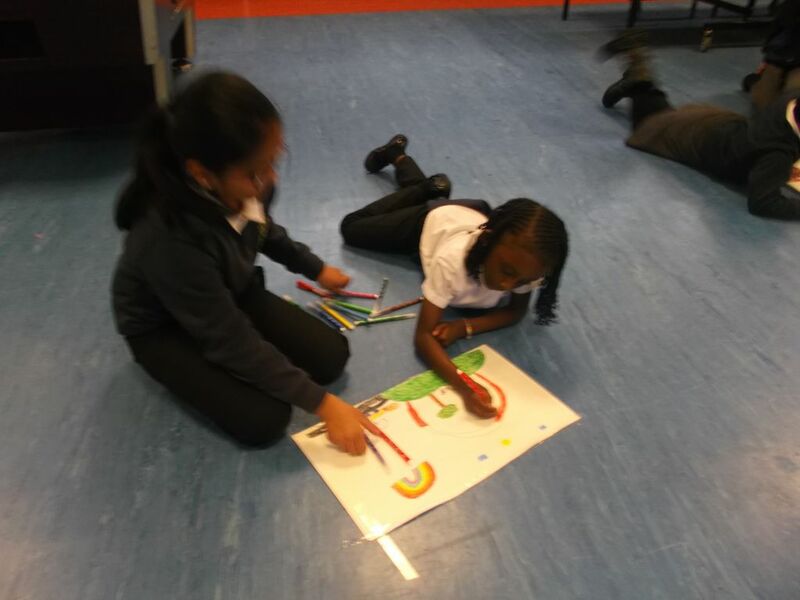 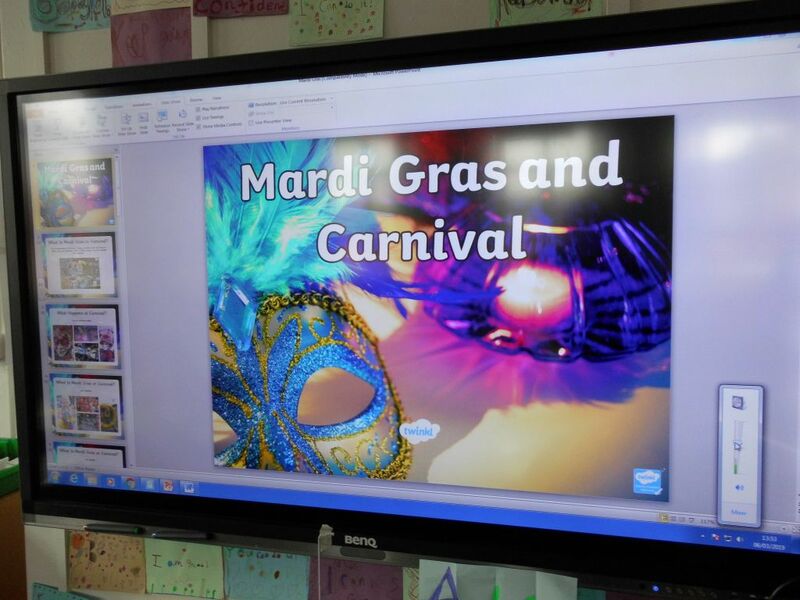 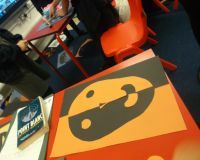 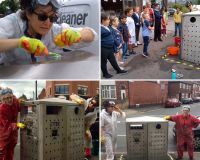 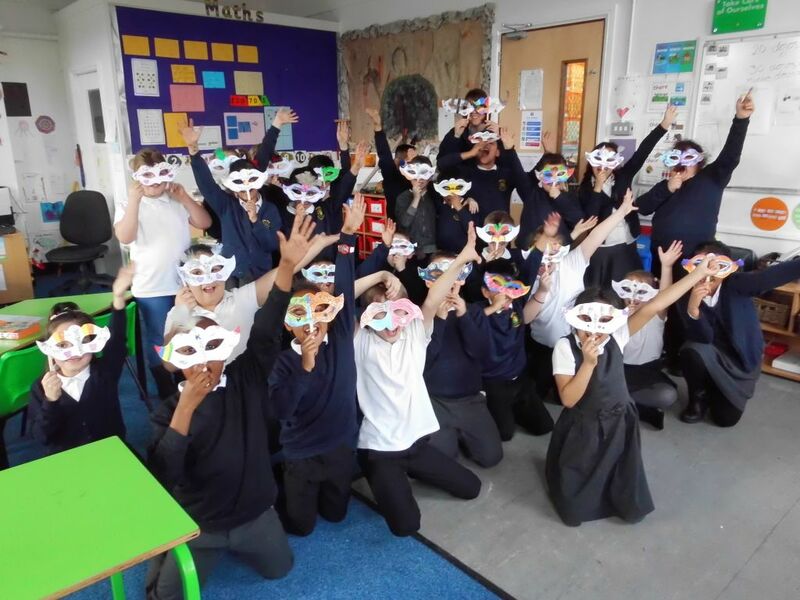 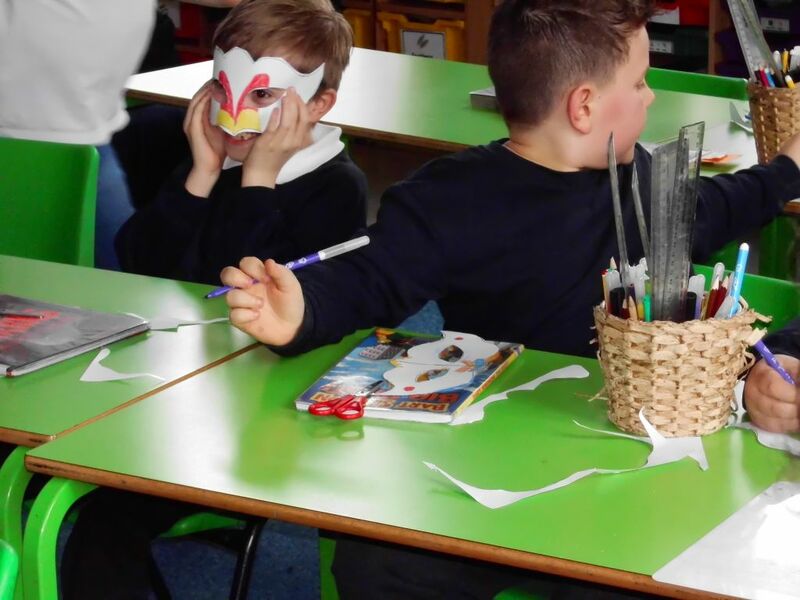 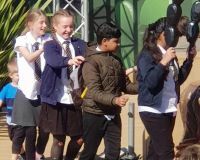 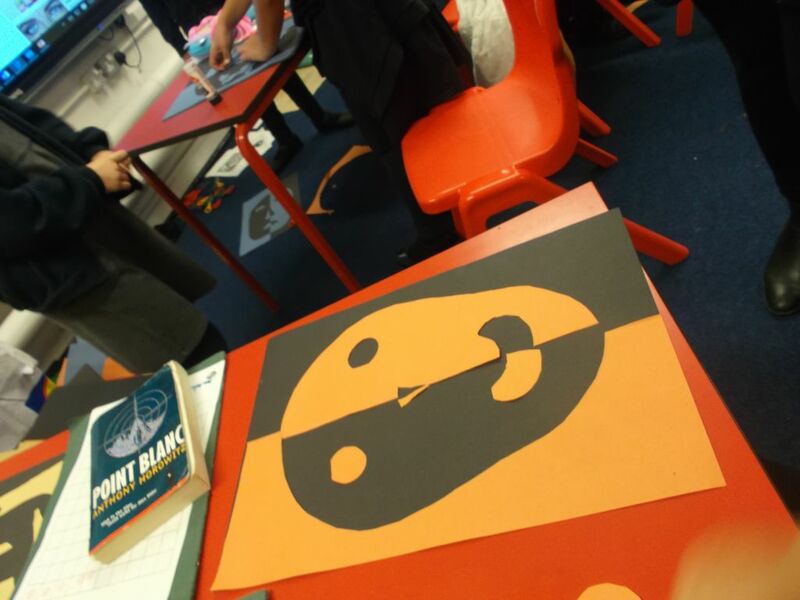 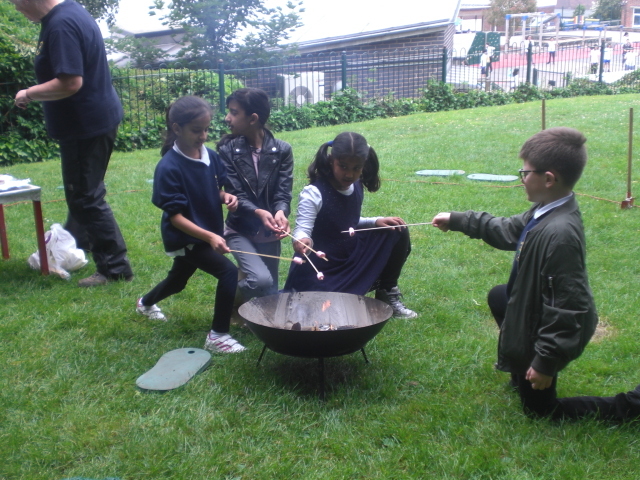 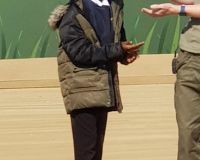 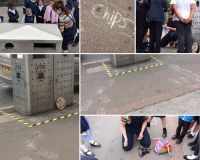 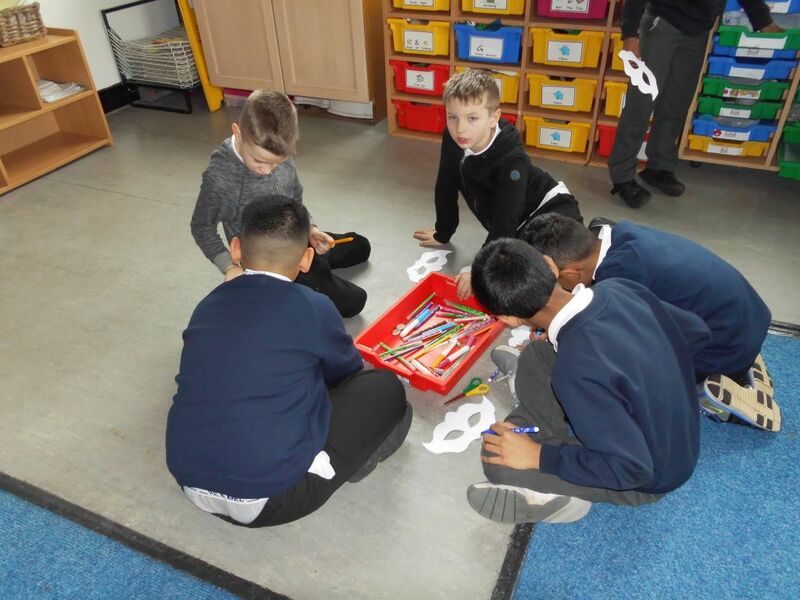 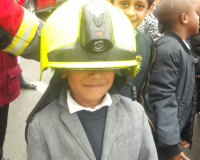 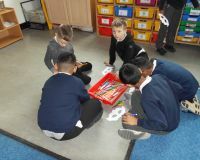 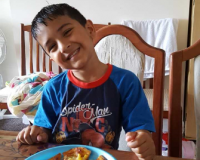 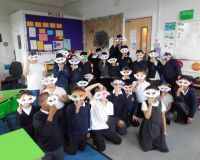 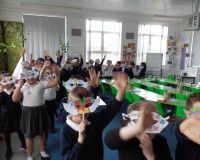 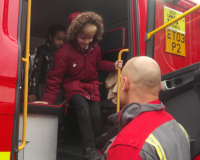 Children rotated around classrooms and took part in activities focussing on fire, water, electrical and road safety as well as stranger danger. 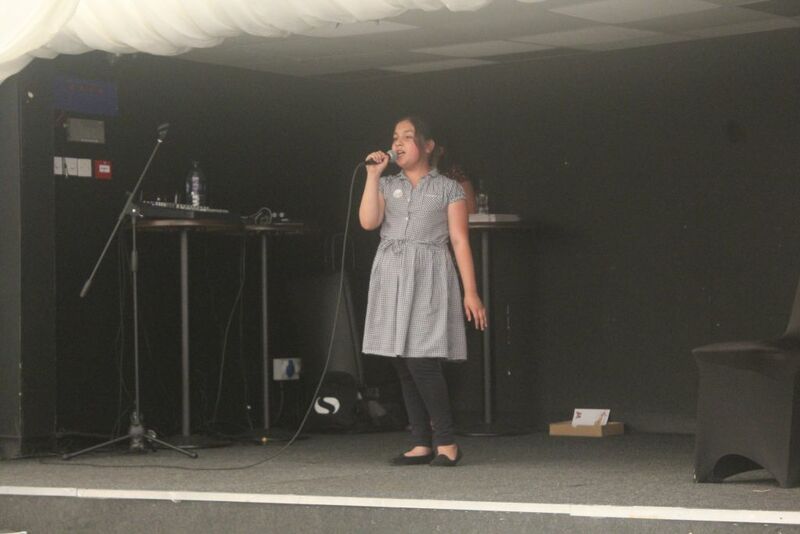 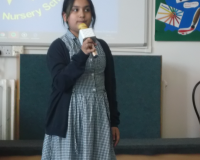 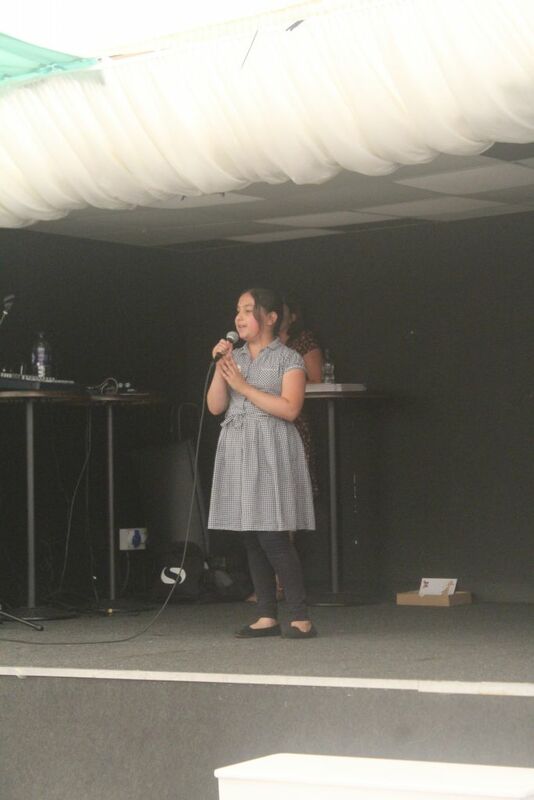 One of our pupils singing at the Transform Awards ceremony. 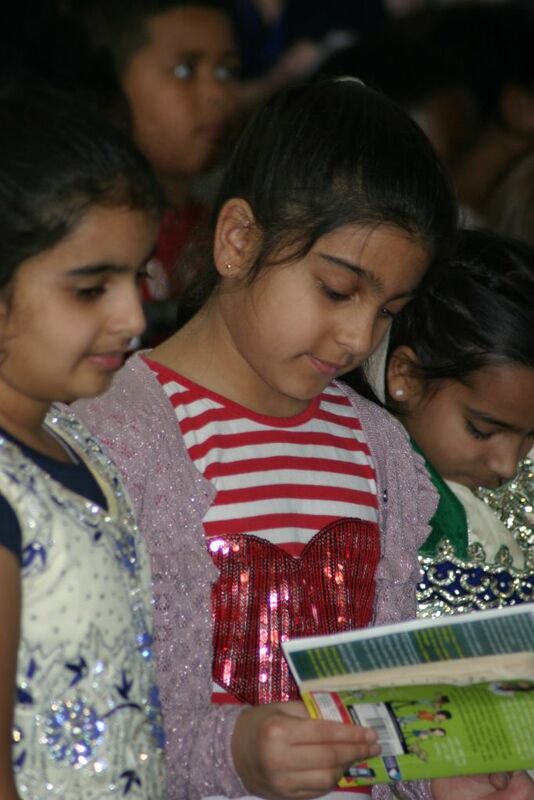 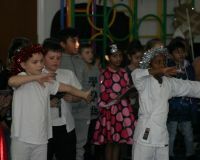 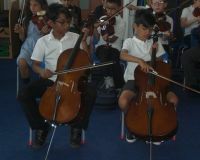 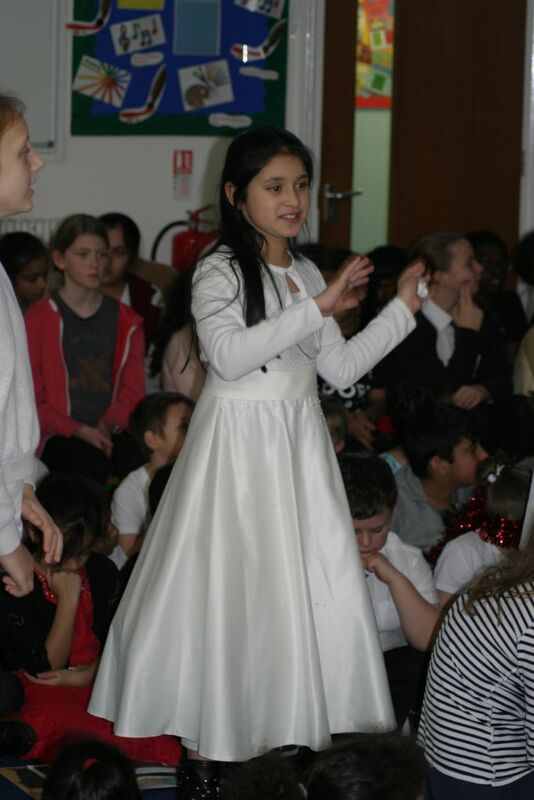 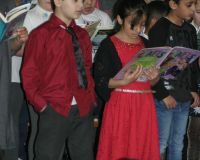 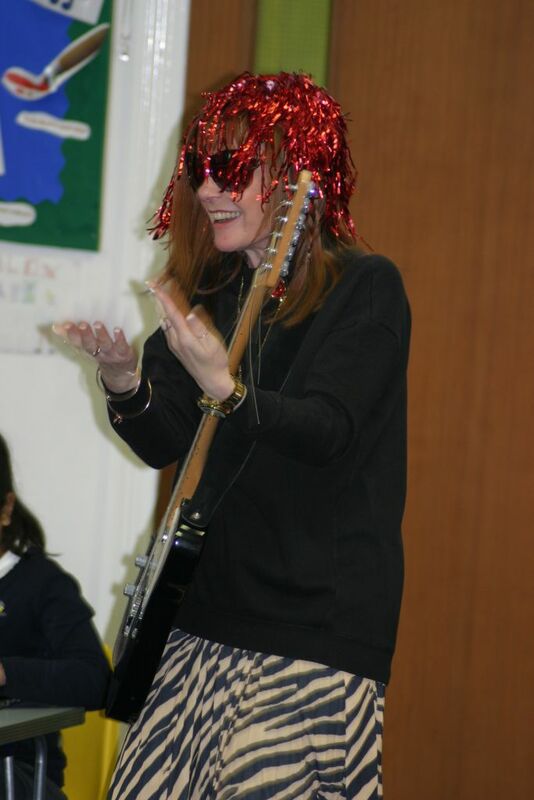 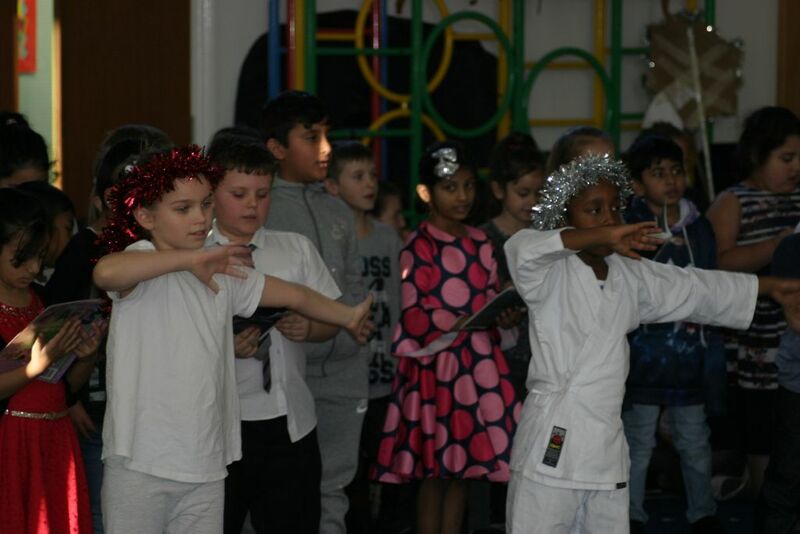 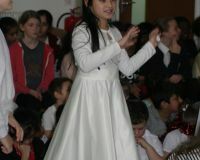 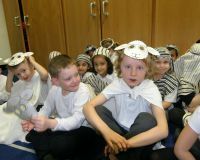 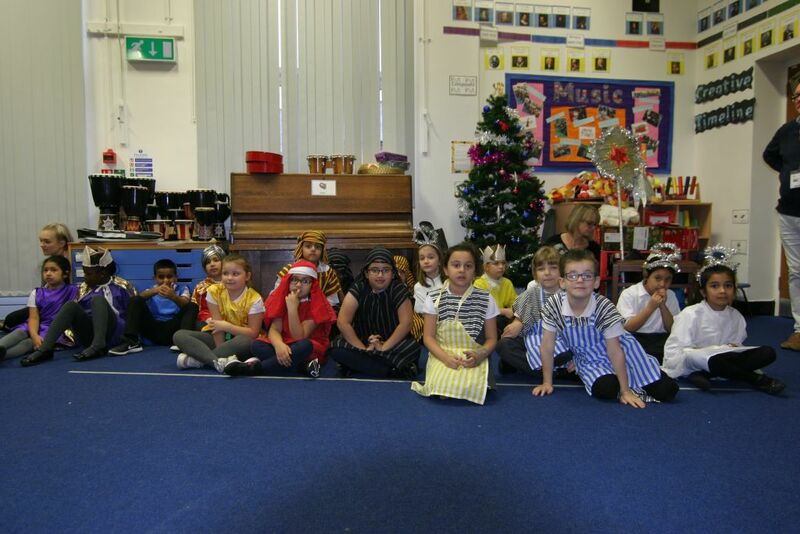 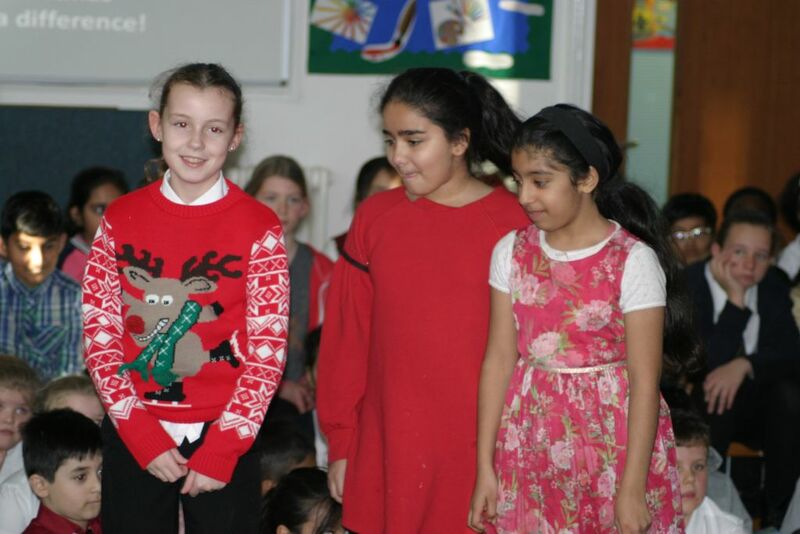 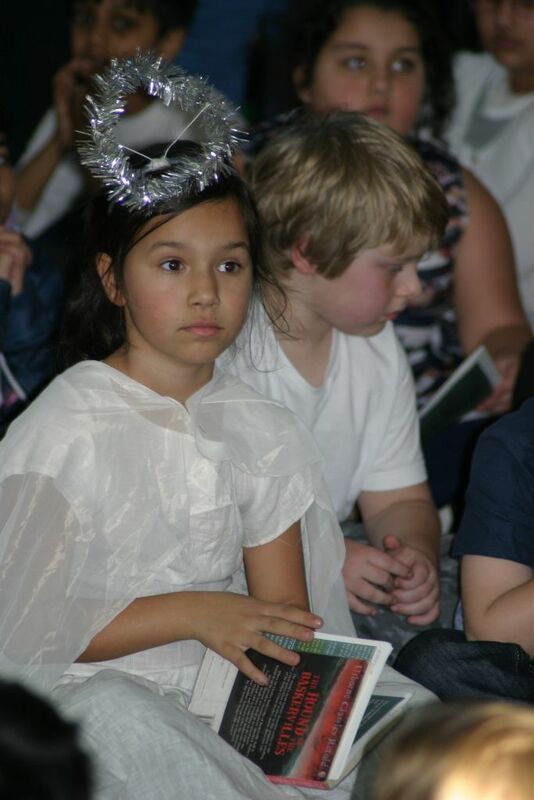 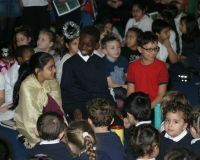 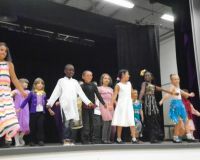 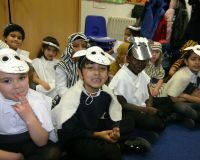 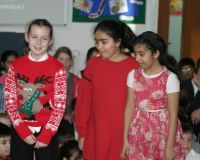 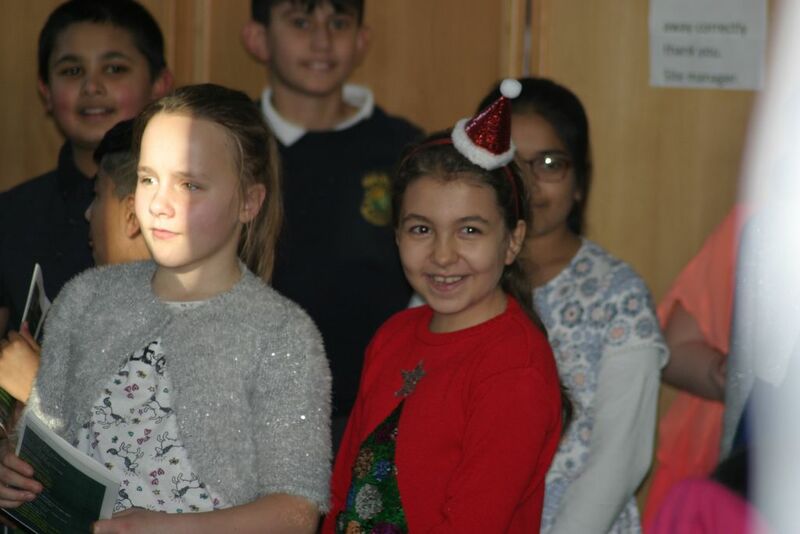 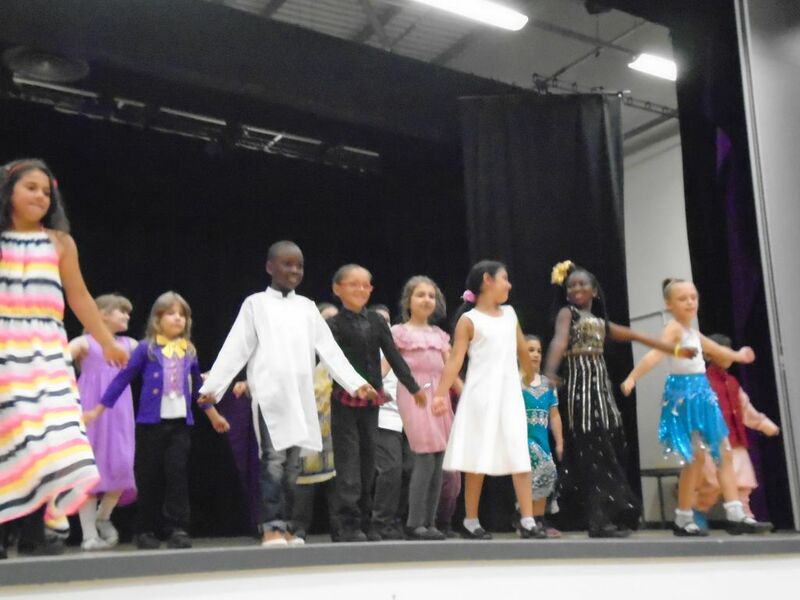 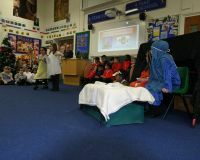 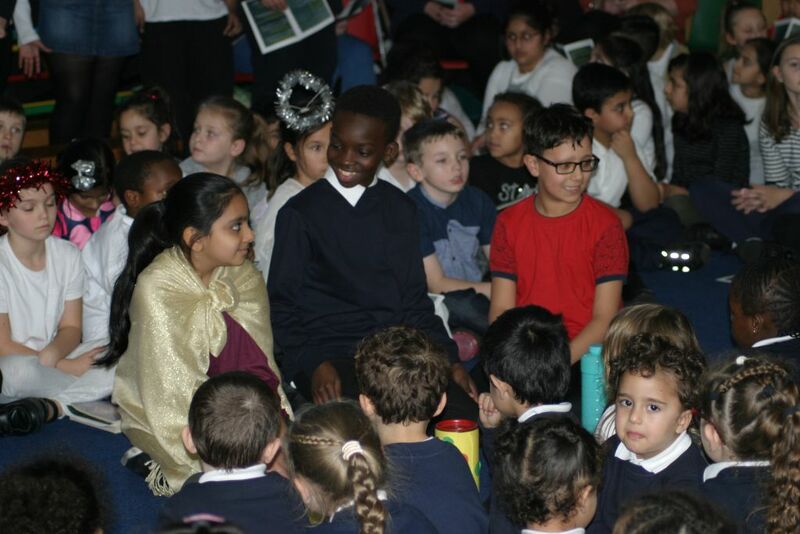 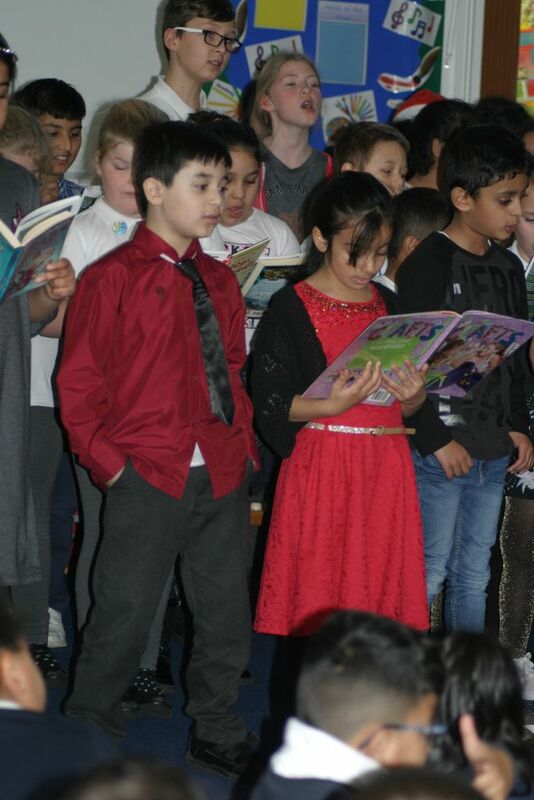 The year four children performed a concert to children and parents. 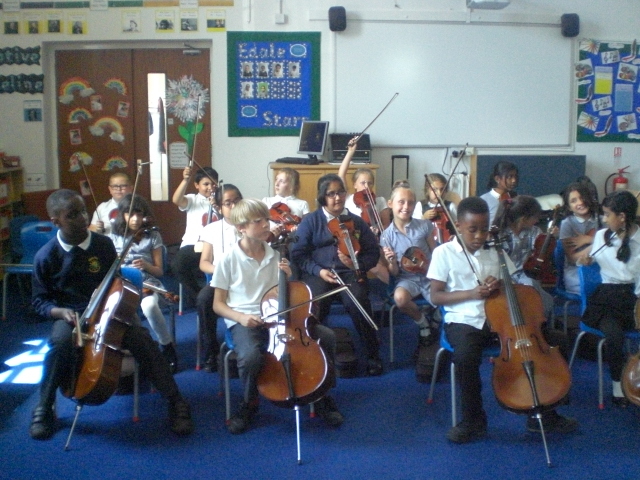 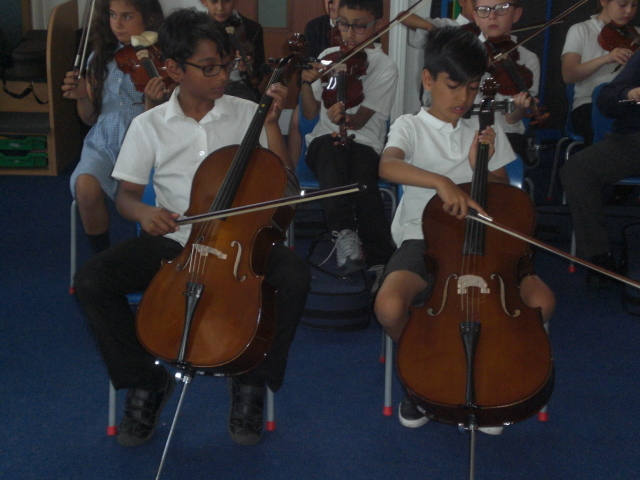 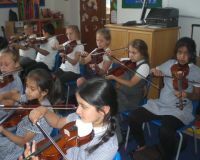 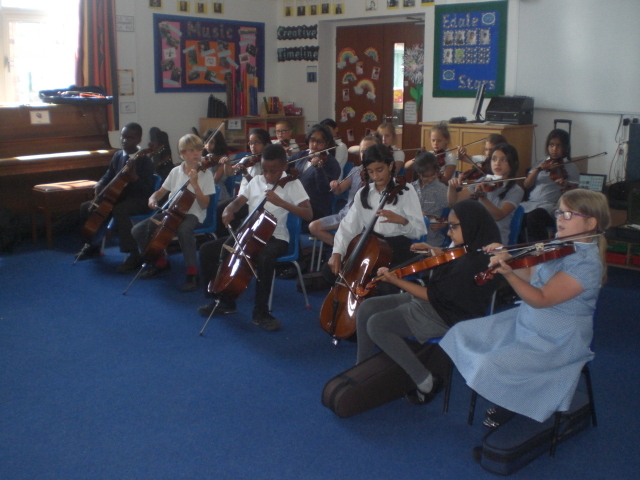 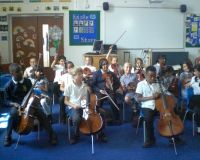 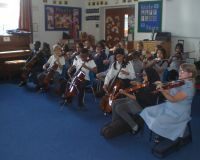 They have learnt how to play different string instruments. 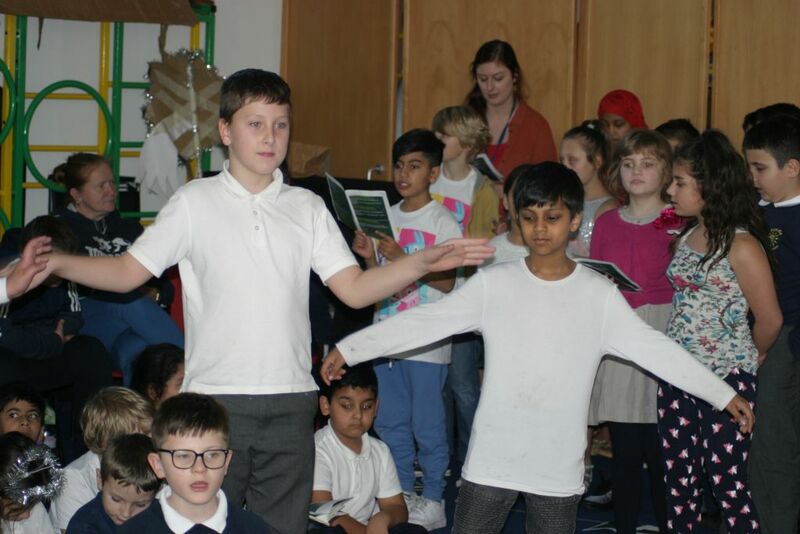 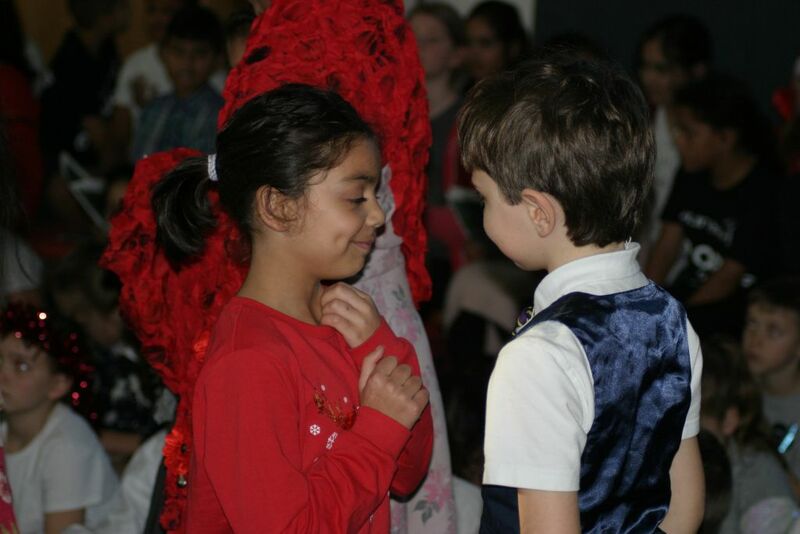 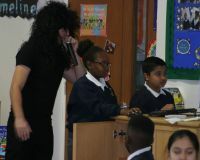 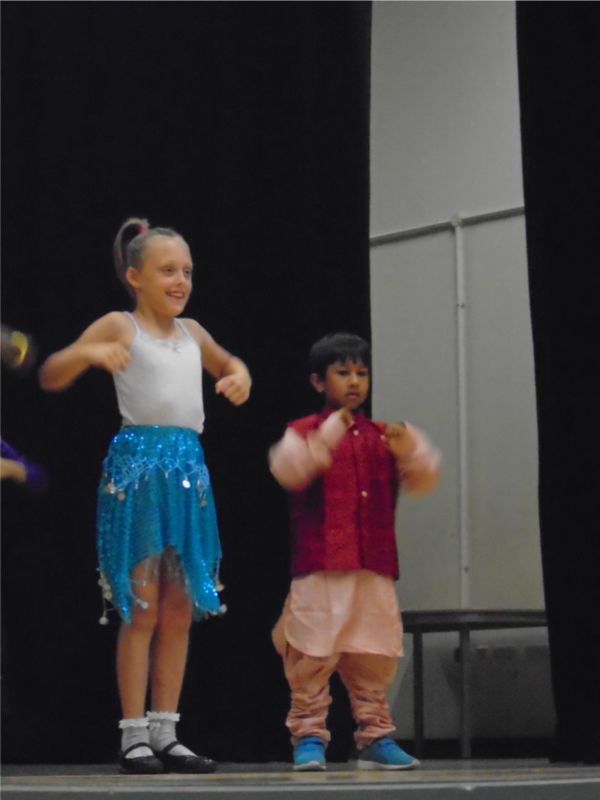 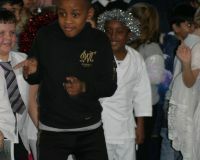 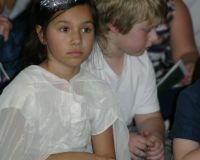 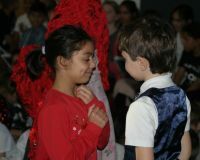 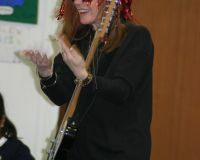 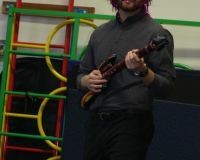 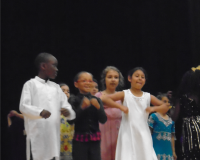 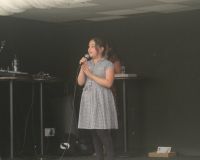 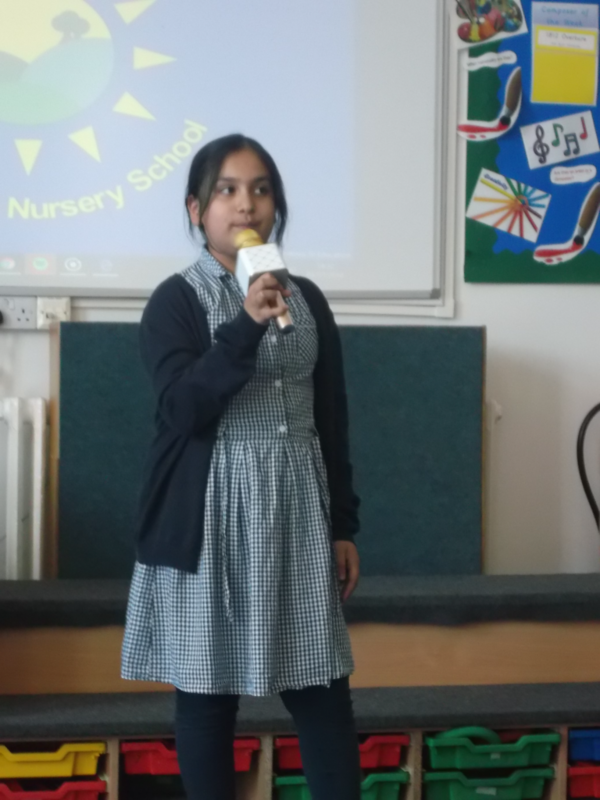 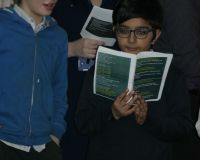 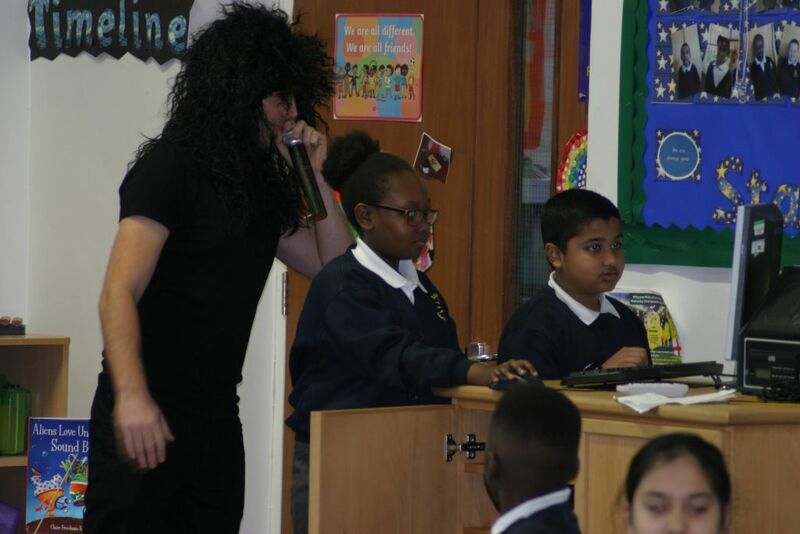 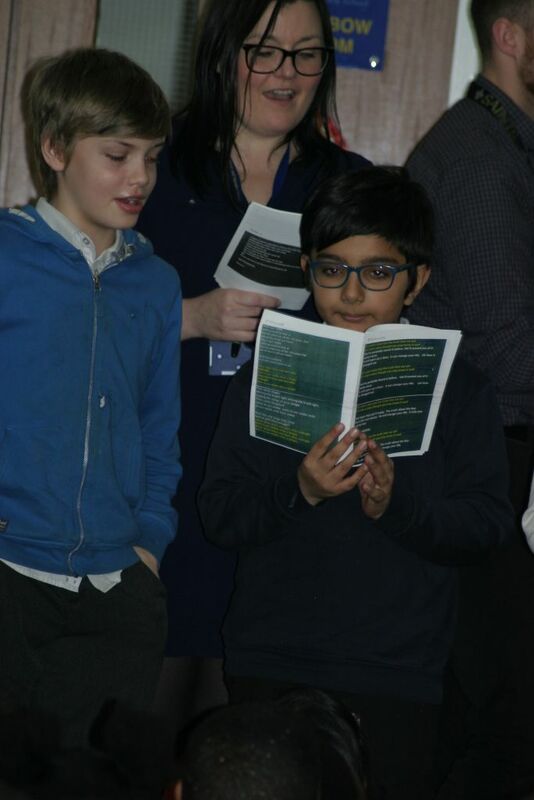 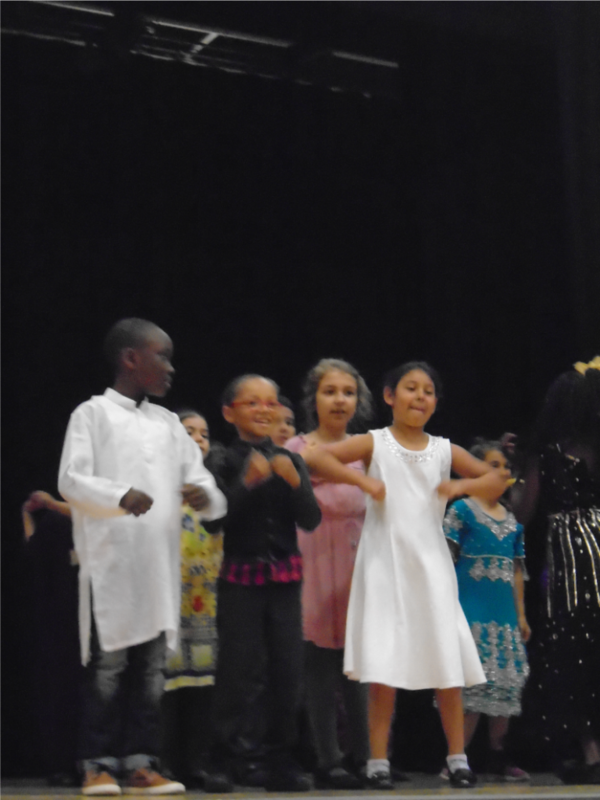 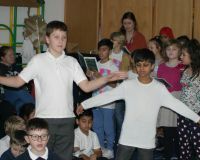 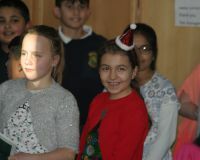 Two year five children also performed a duet. 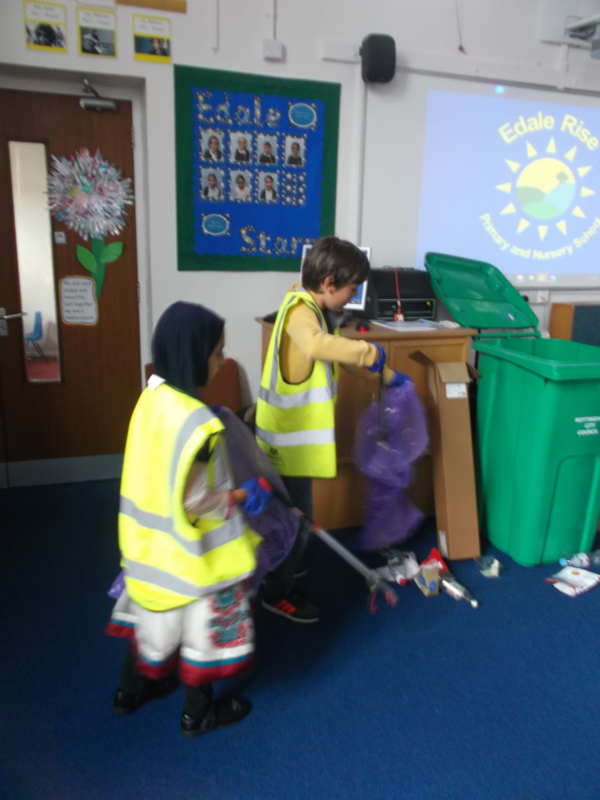 At Edale we are helping our community by adopting a recycling bin. 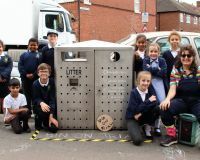 It is the only recycling bin in Sneinton and it is just outside our school. 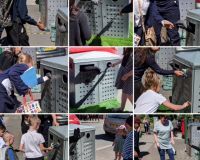 People are putting non-recyclable items in it and if this carries on the bin will be taken away. 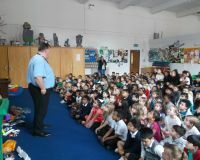 Councillor Mellon cam and spoke to the whole school about recycling then we met Penny and Angie afterwards. 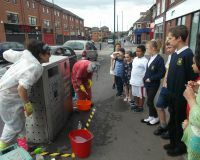 Penny and Angie live in Sneinton and they think recycling is really important. 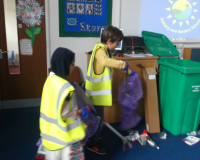 They have cleaned the bin and will be helping us to make sure the right things are put in it. 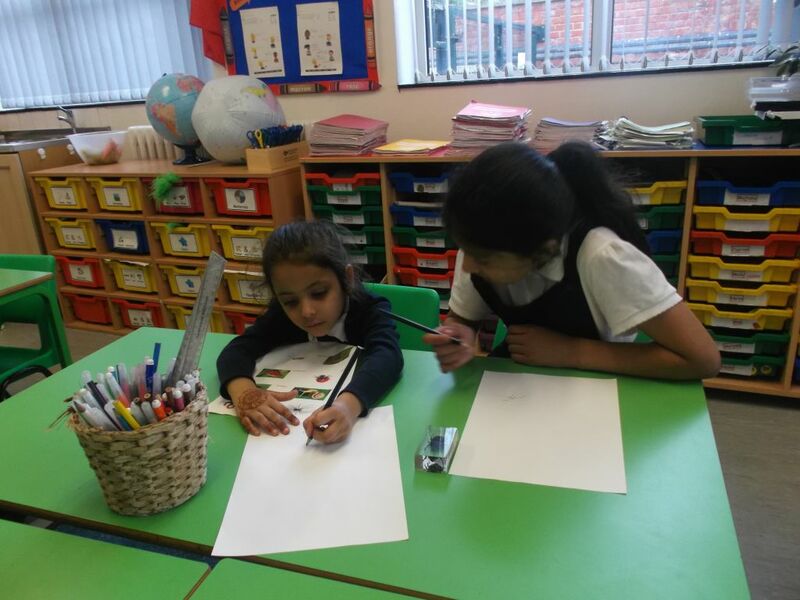 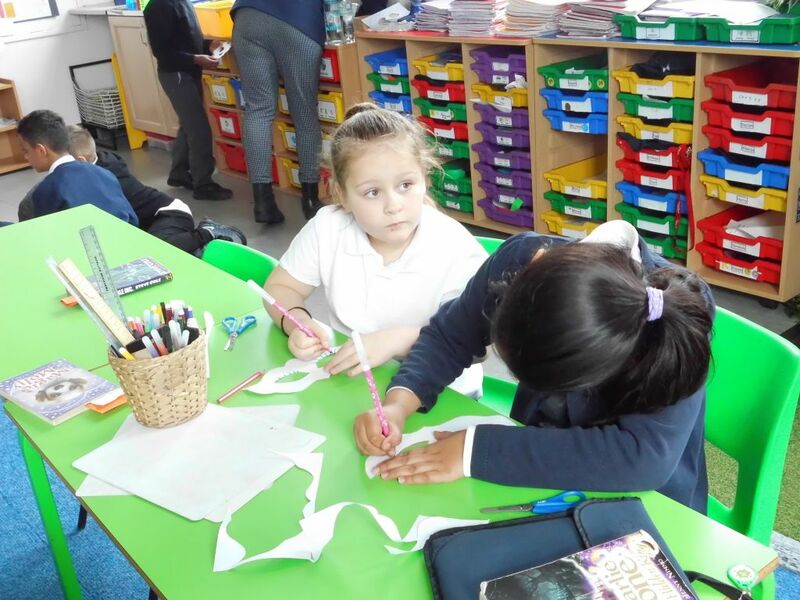 All of the children in school are going to speak to their grown-ups at home about it and we are designing posters about which items can go in the bin. 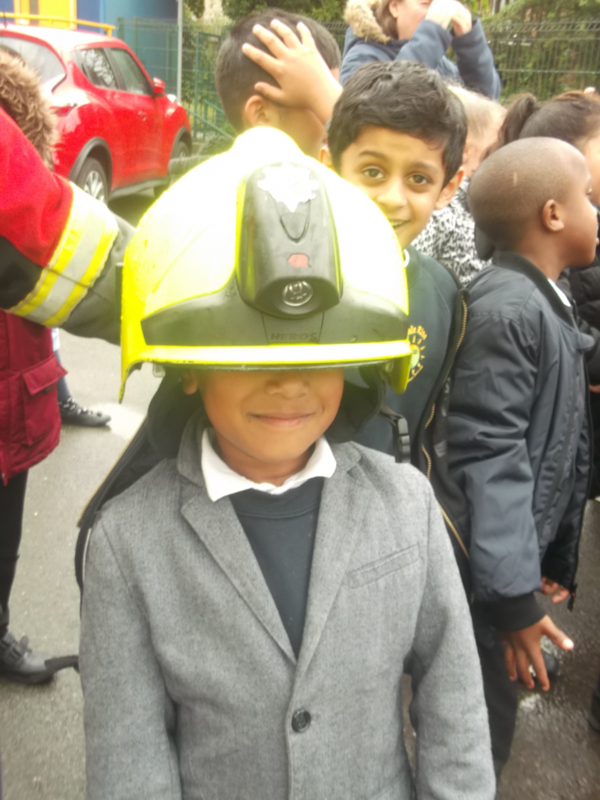 Year 2 and the Fire Crew! 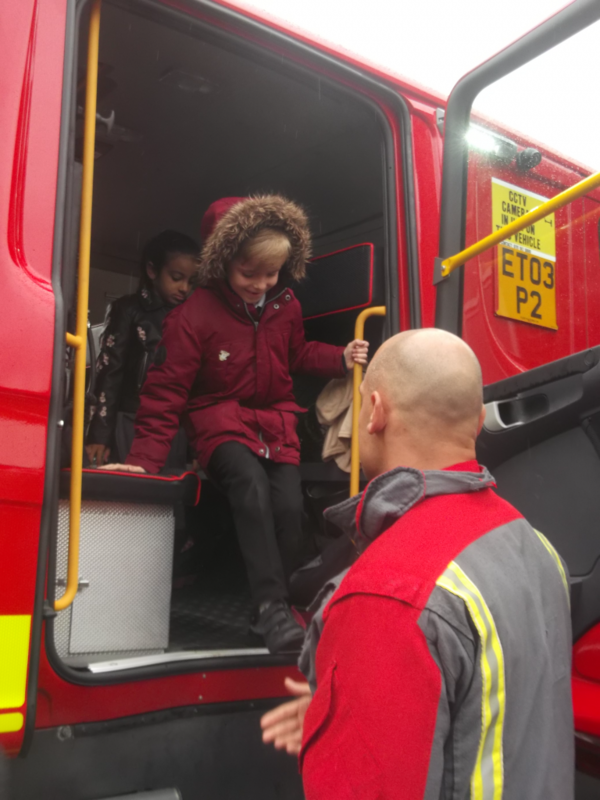 Our Year Two children working with the Fire crew to learn about their role. 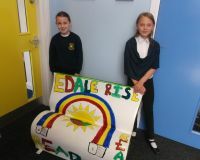 Photos of our special school bench. 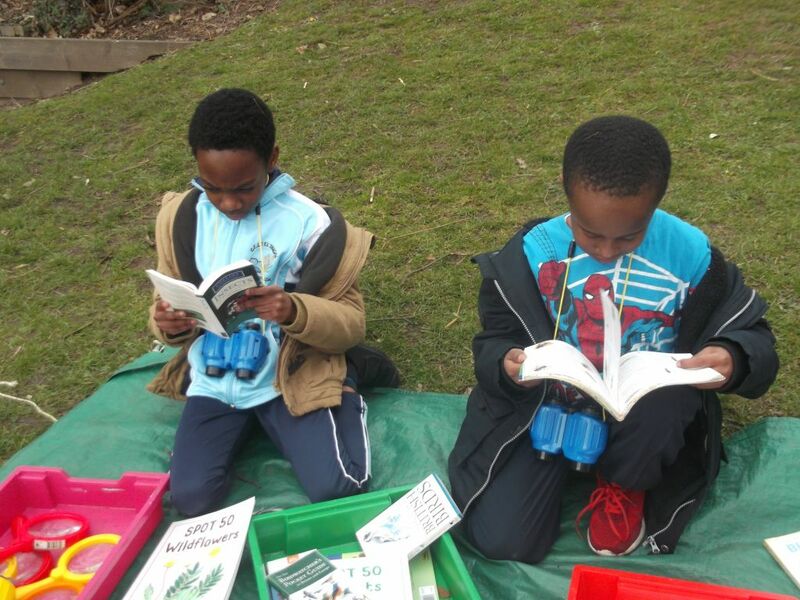 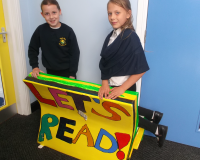 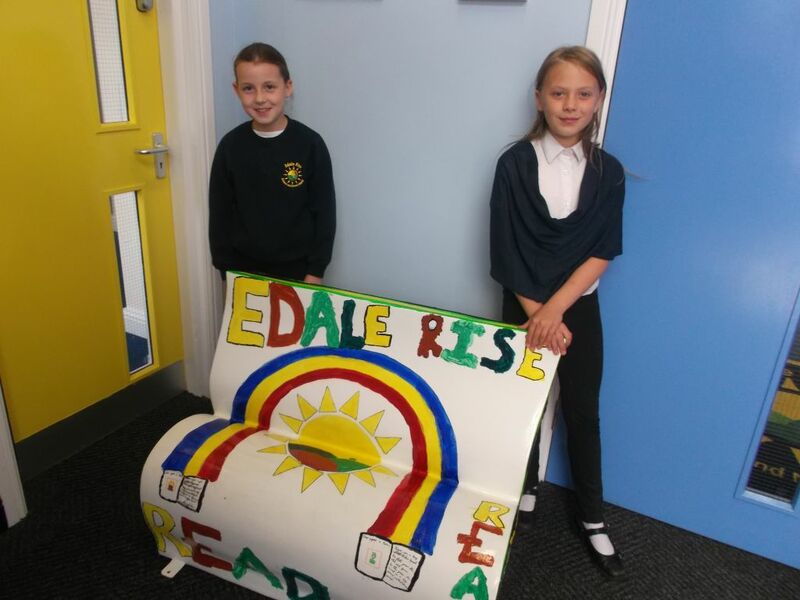 As part of a Local Authority project children in school designed a reading bench. 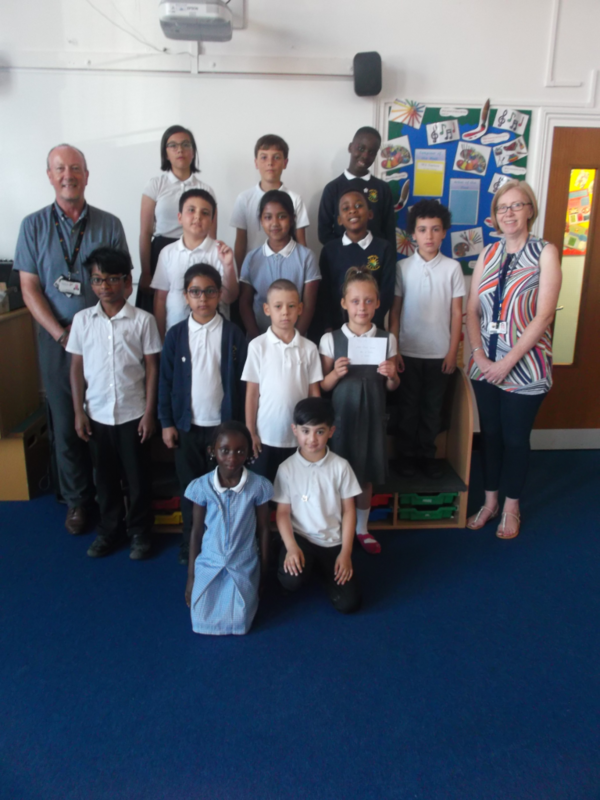 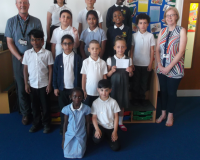 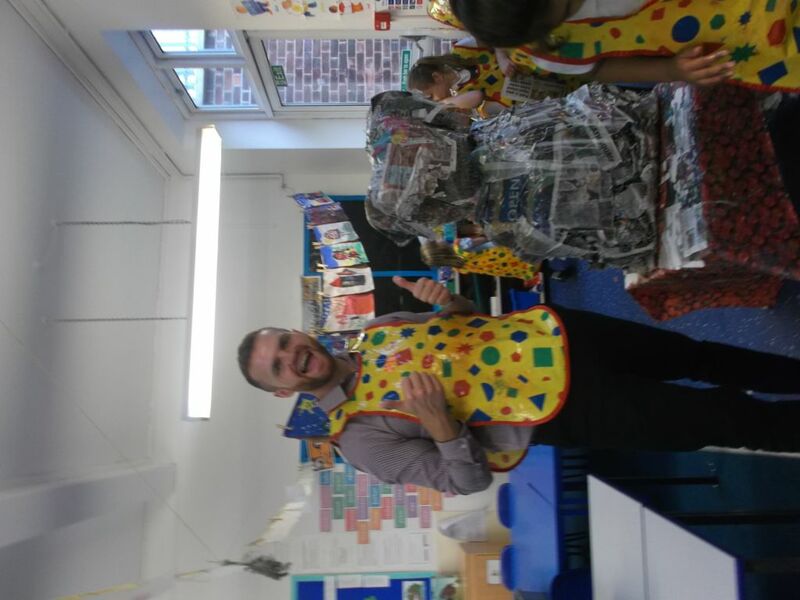 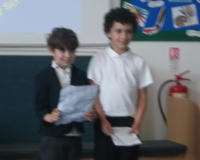 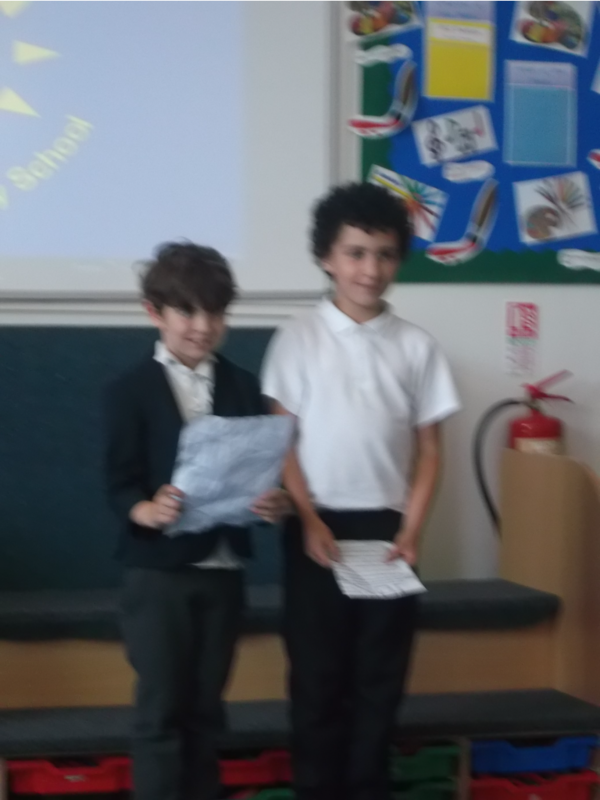 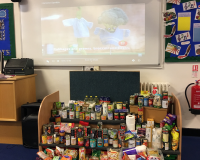 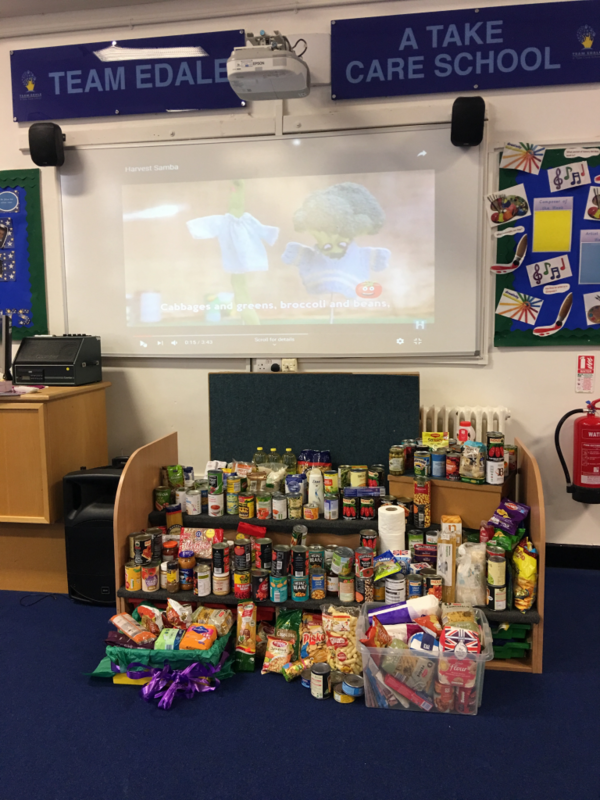 The school council chose the two winners. 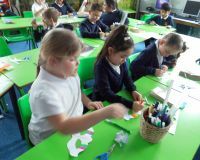 Then each class helped to paint part of the bench. 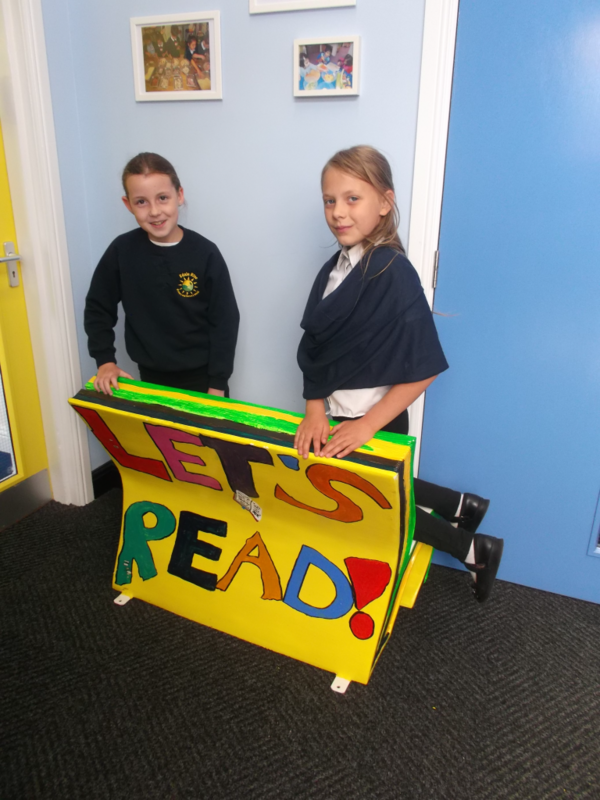 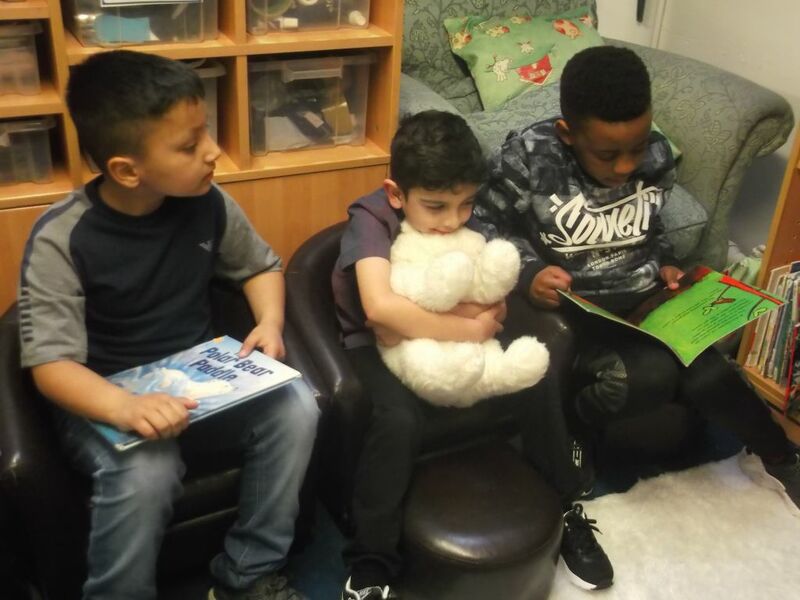 The bench will be displayed in Sneinton Library over the summer. 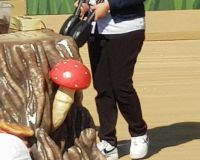 The photos show the two designers. 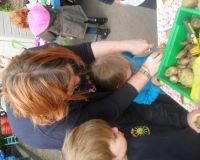 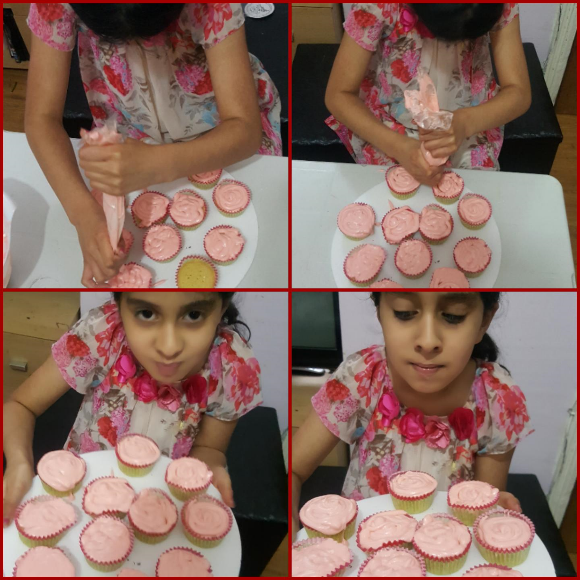 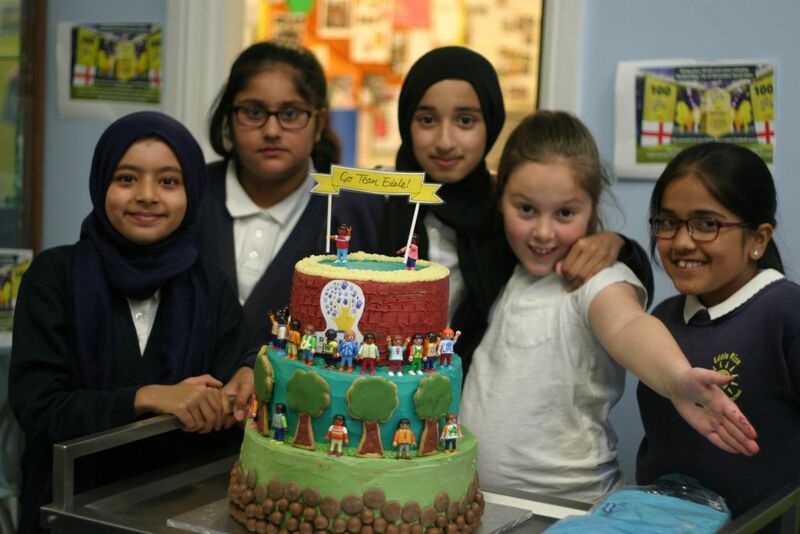 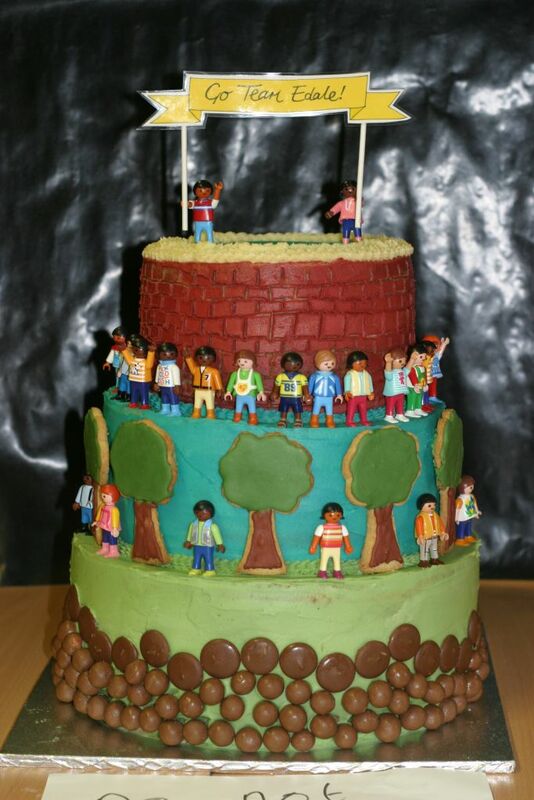 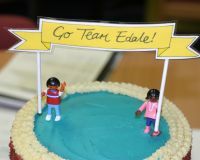 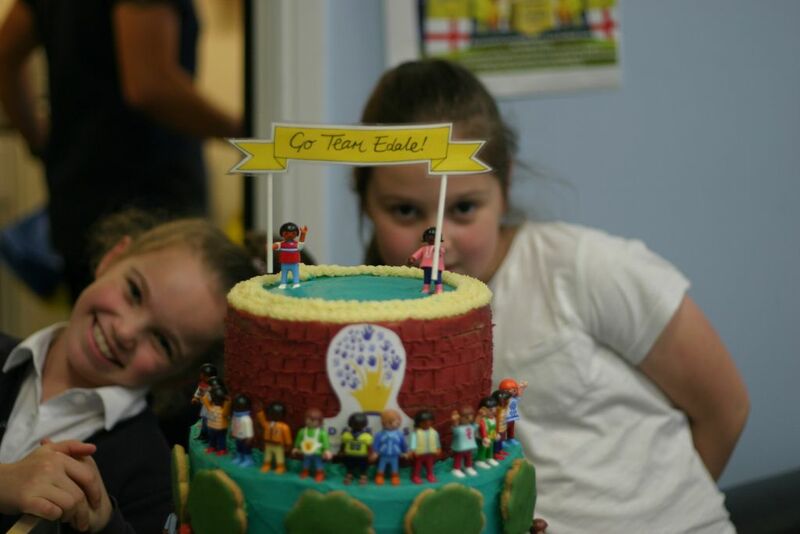 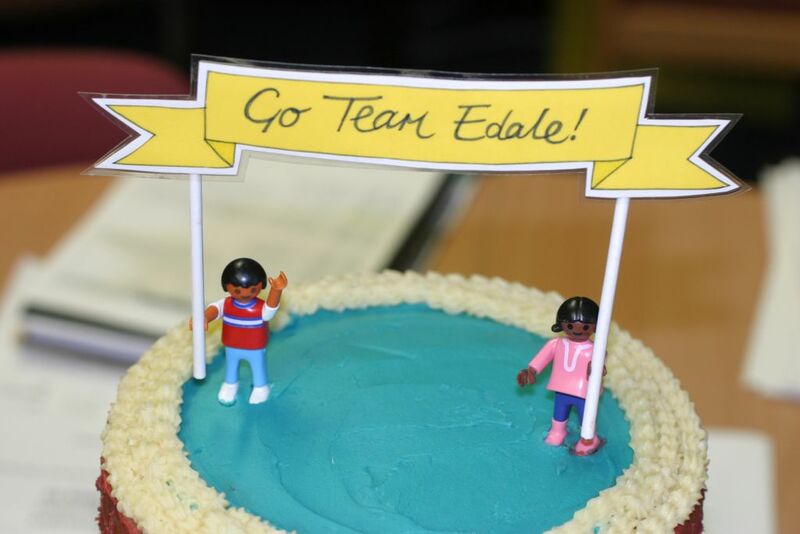 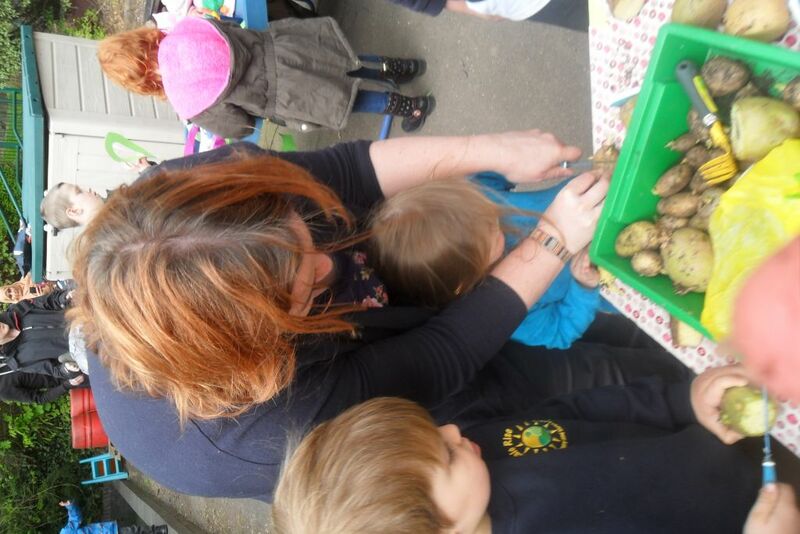 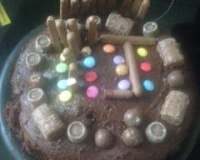 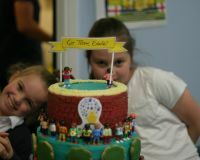 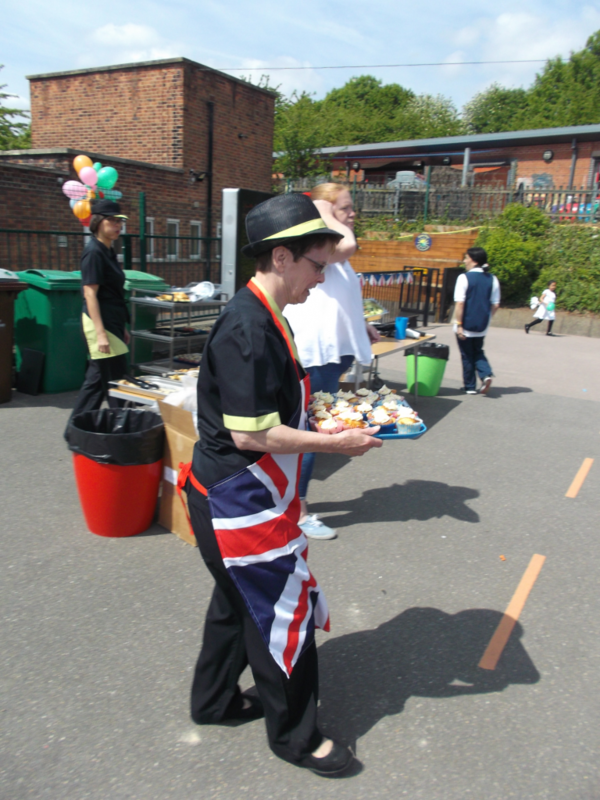 In school we had a baking competition for children to bake something over half term with their grown ups at home. 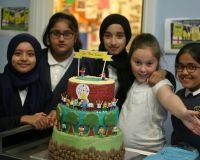 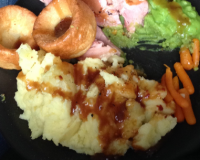 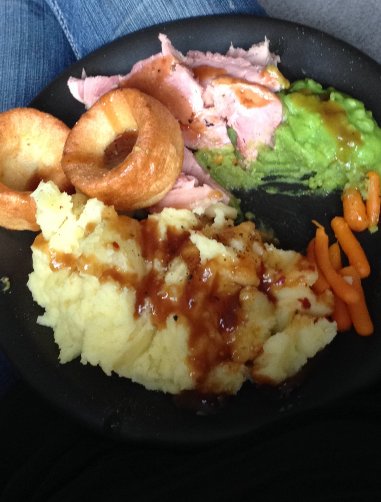 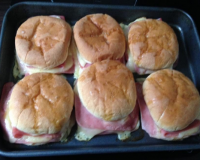 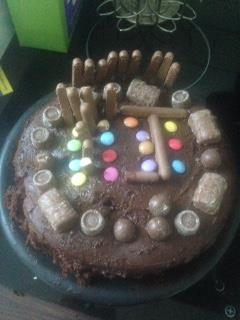 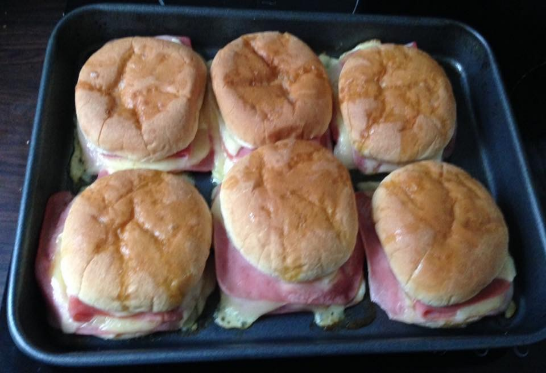 Here are some examples of the delicious food pupils made. 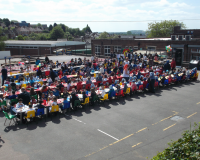 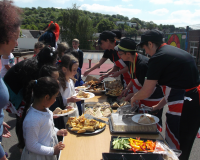 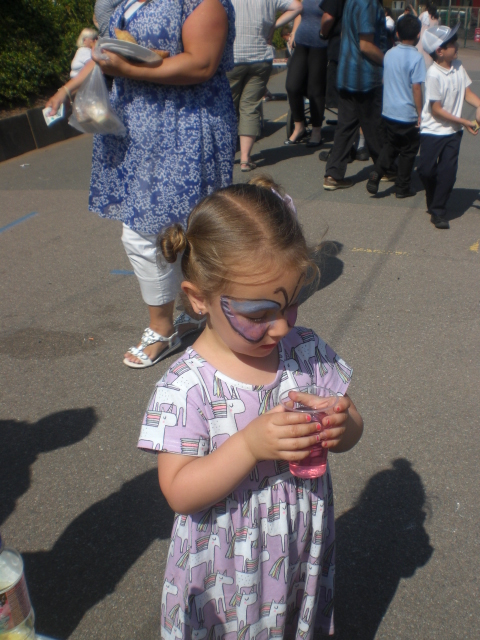 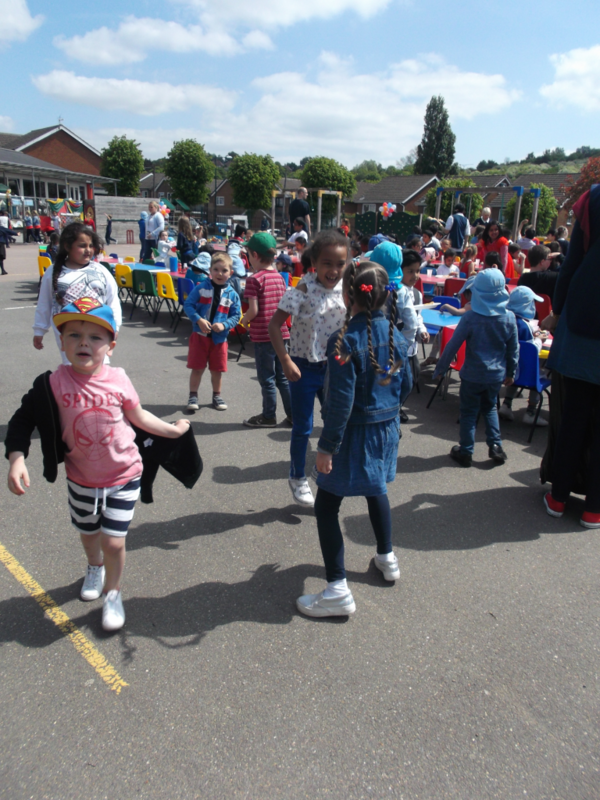 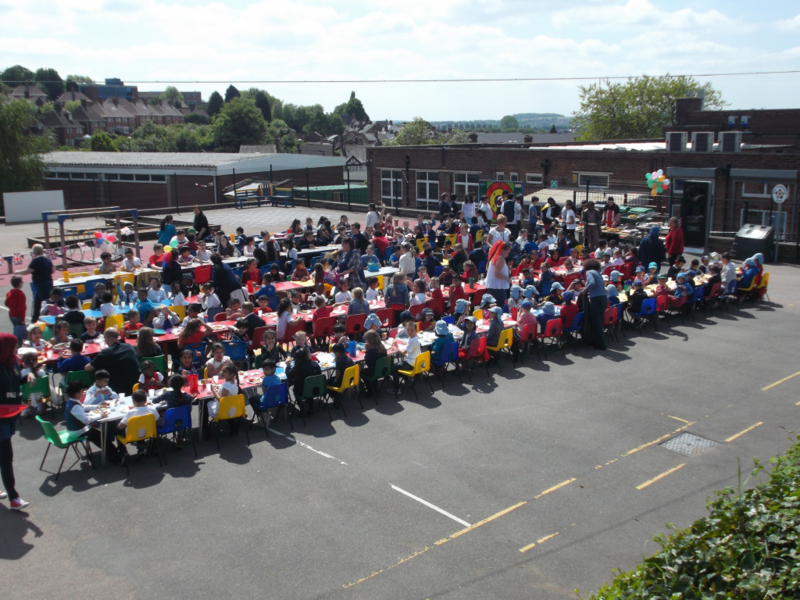 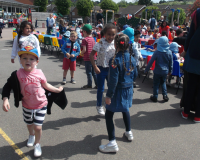 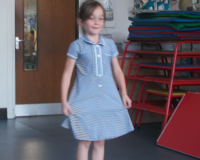 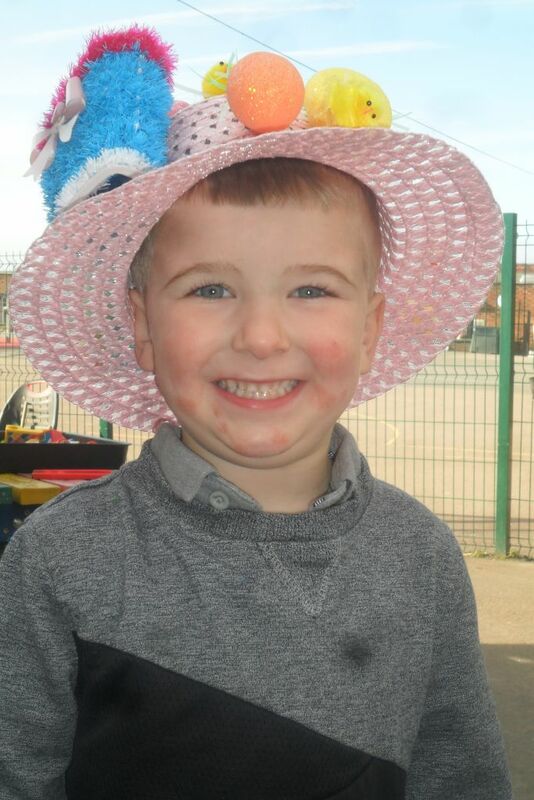 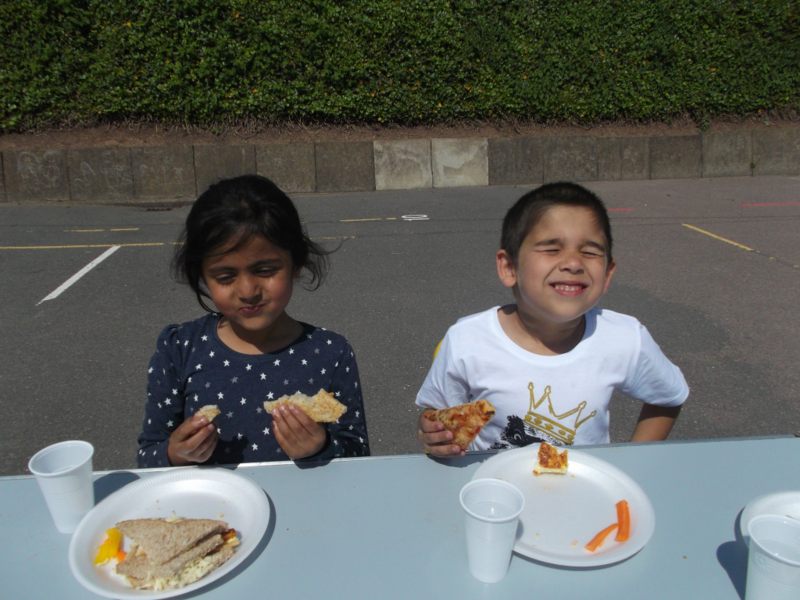 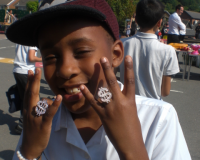 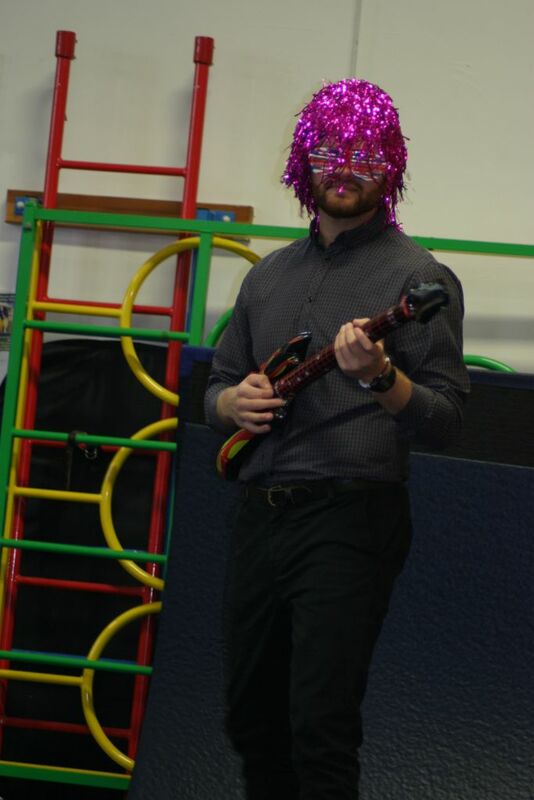 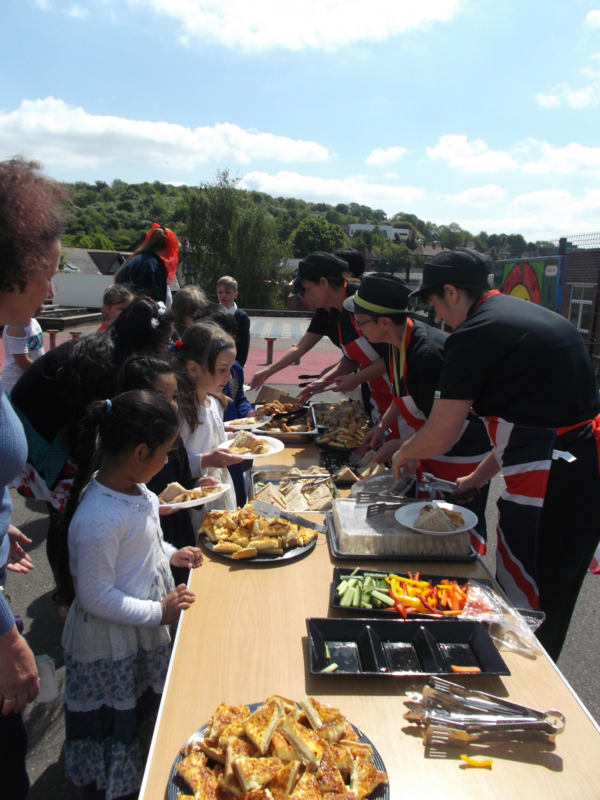 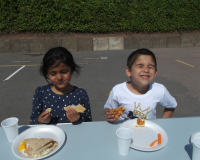 To celebrate the royal wedding, we had a whole school picnic with music and dancing. 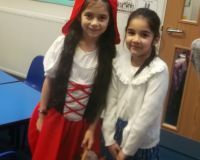 We also dressed in red, white and blue. 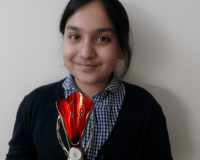 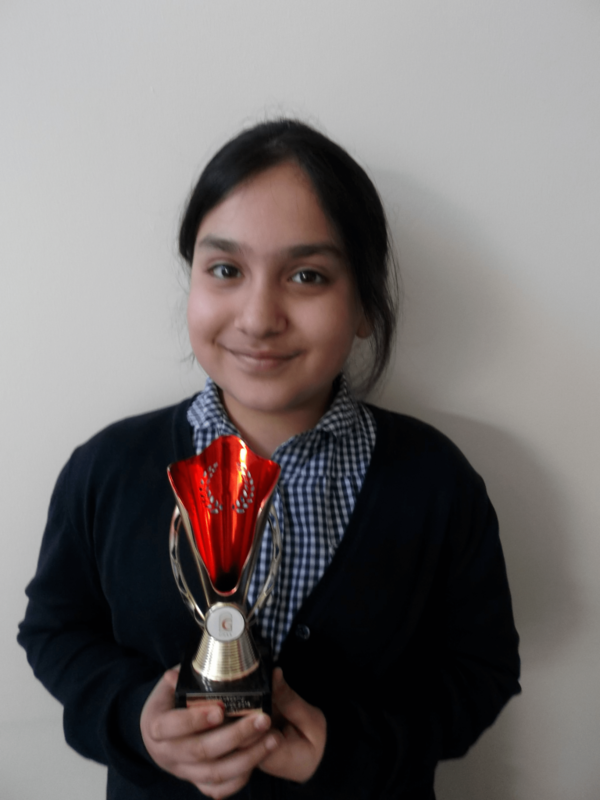 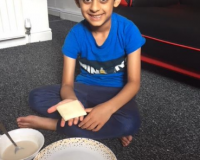 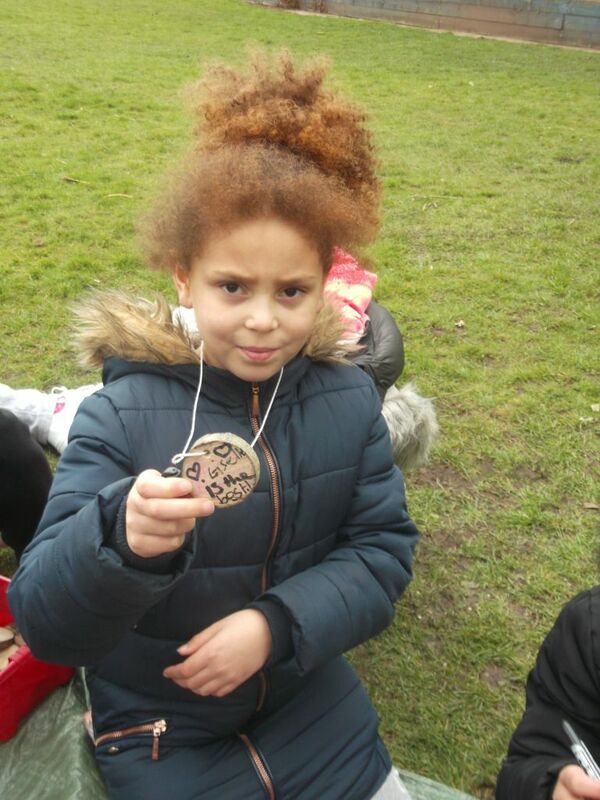 one of our students was awarded a trophy this weekend for reaching the finals in the Young Muslim Awards. 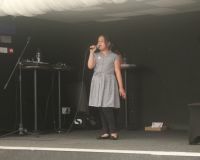 She also sang a song in three languages and has been approached to be in a music video! 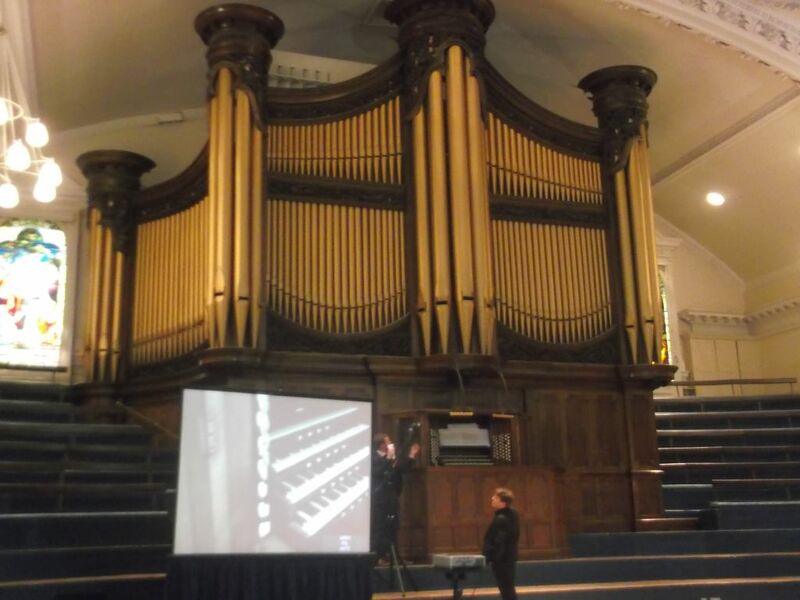 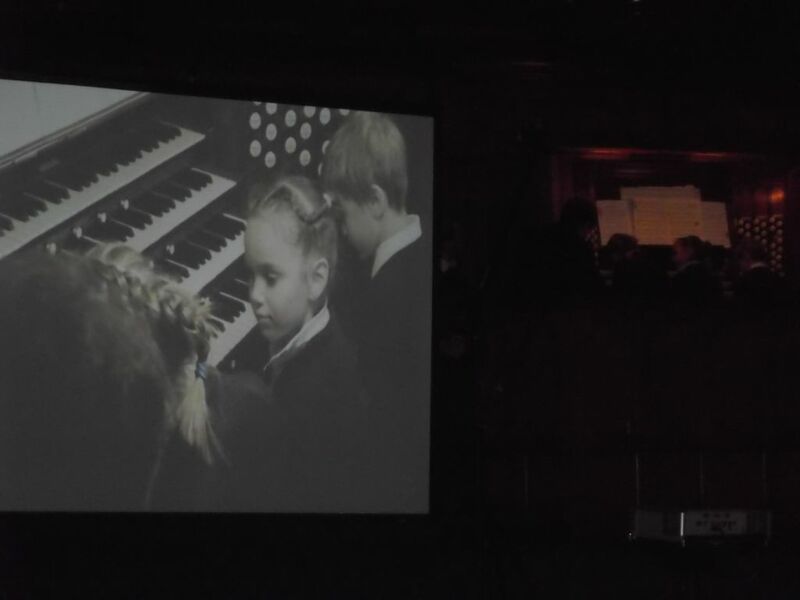 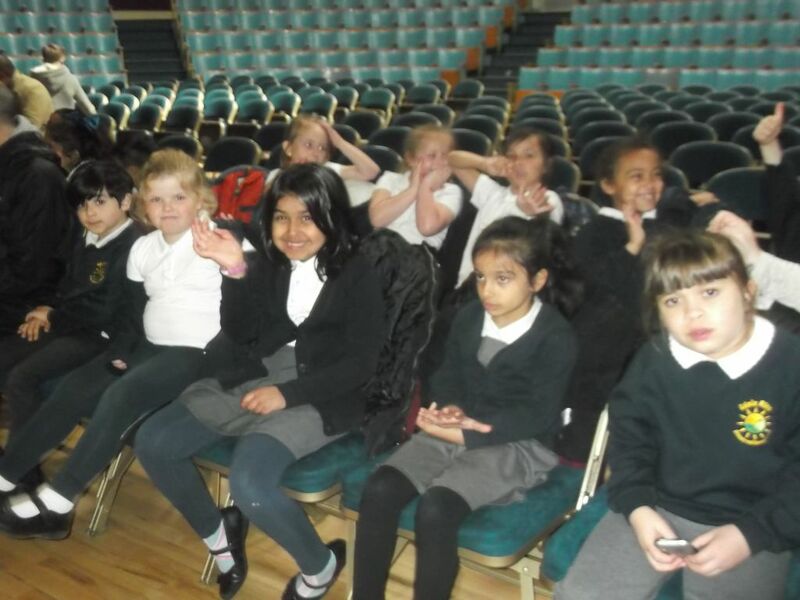 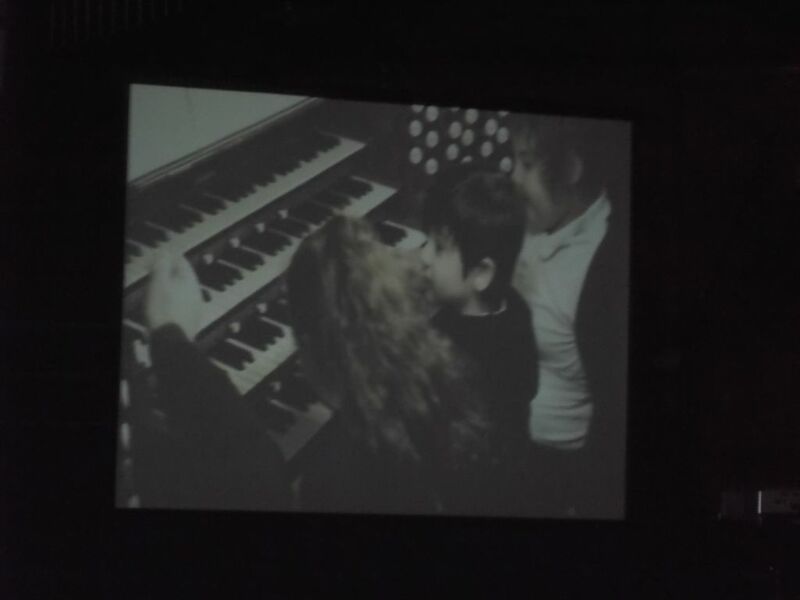 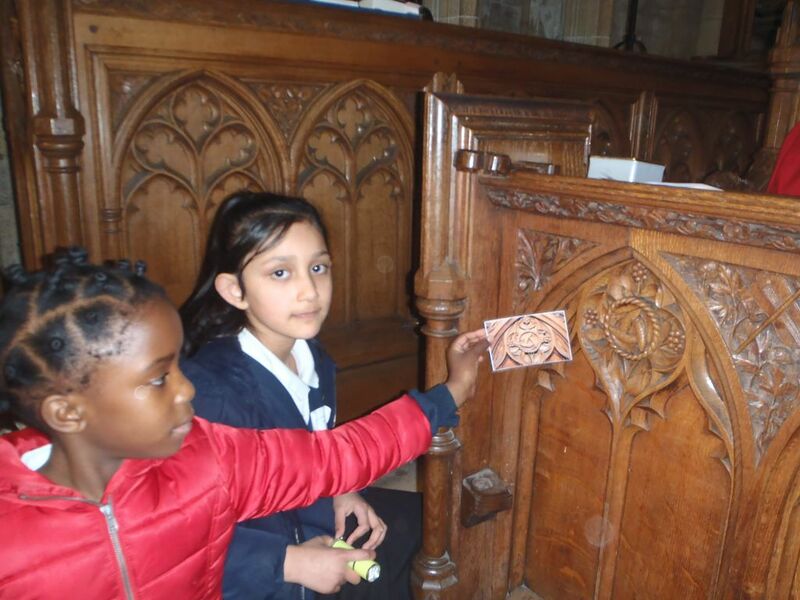 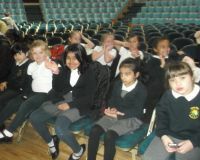 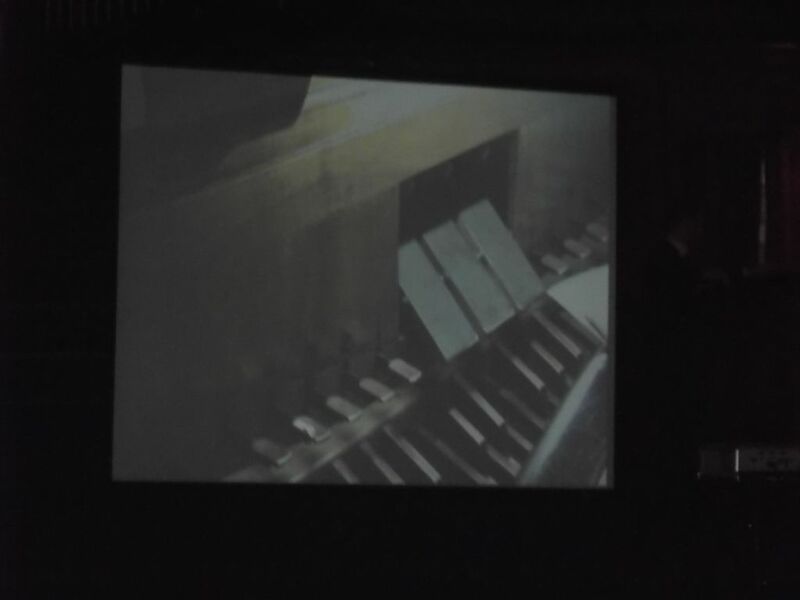 Our visit to the Albert Hall where we were introduced to the Binns Organ and how it works. 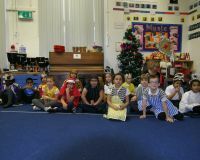 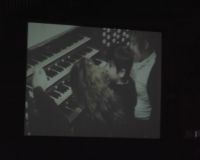 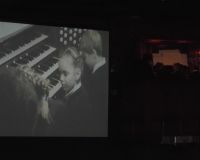 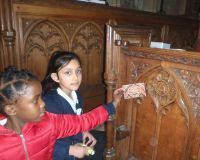 We listened to some music from across the ages and then a few of our year 2’s had a go on the organ itself. 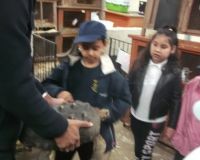 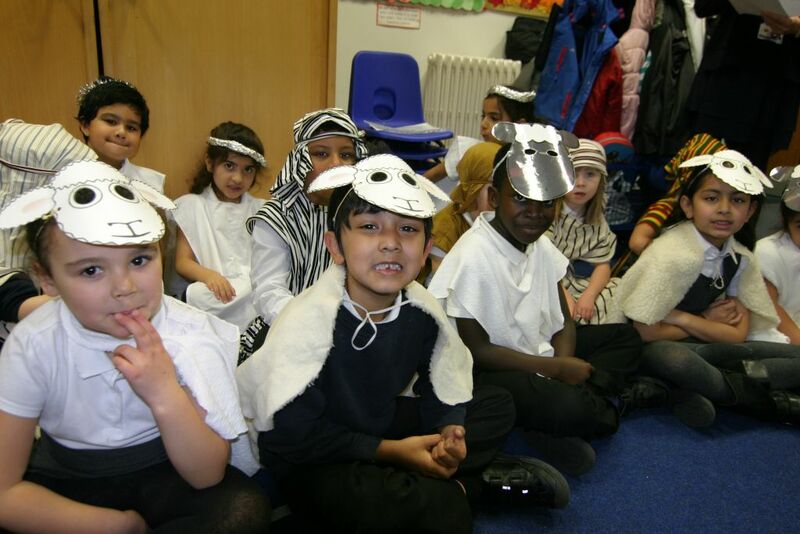 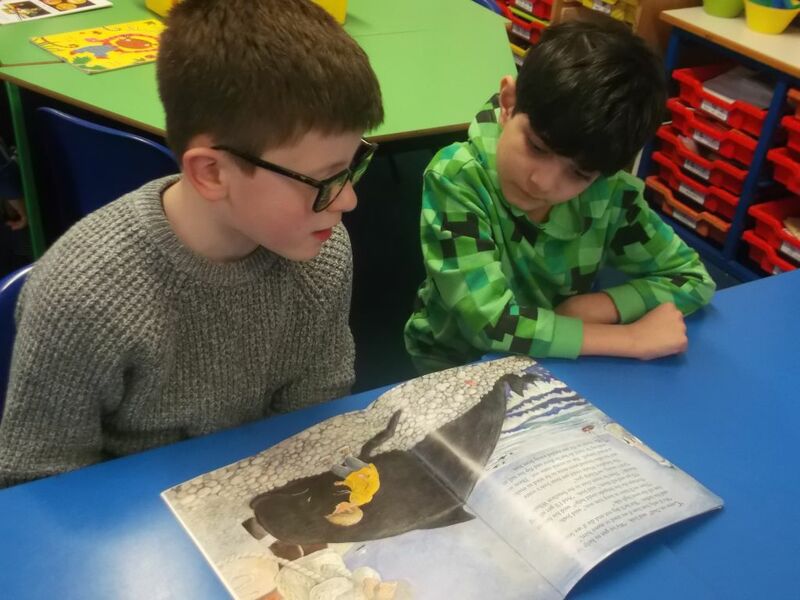 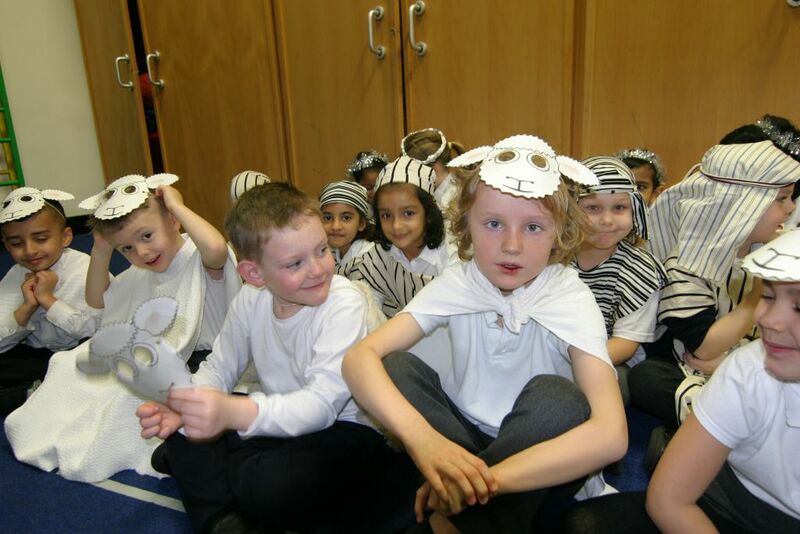 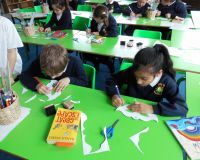 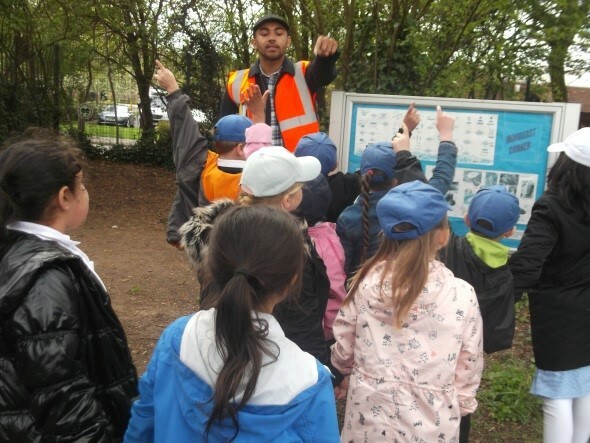 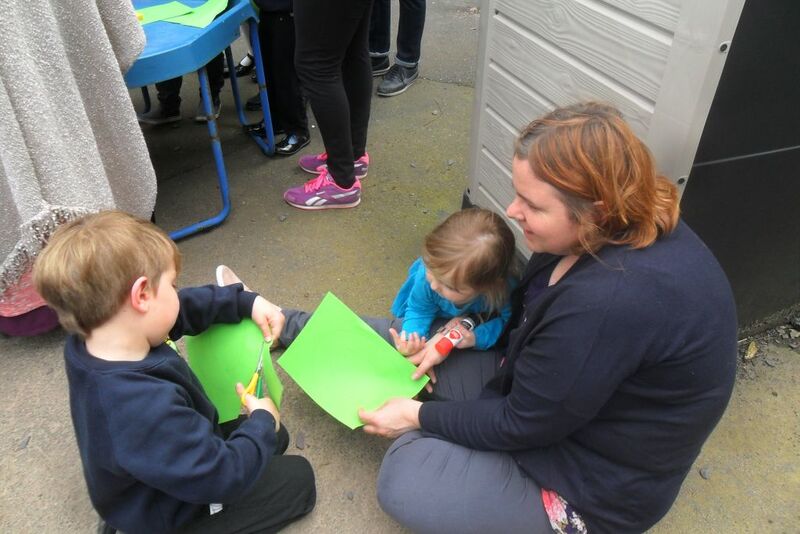 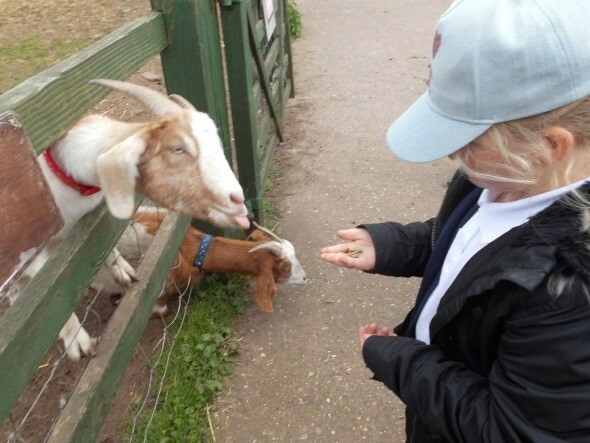 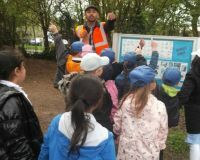 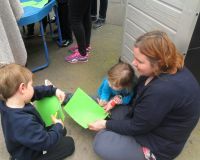 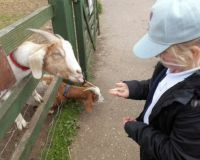 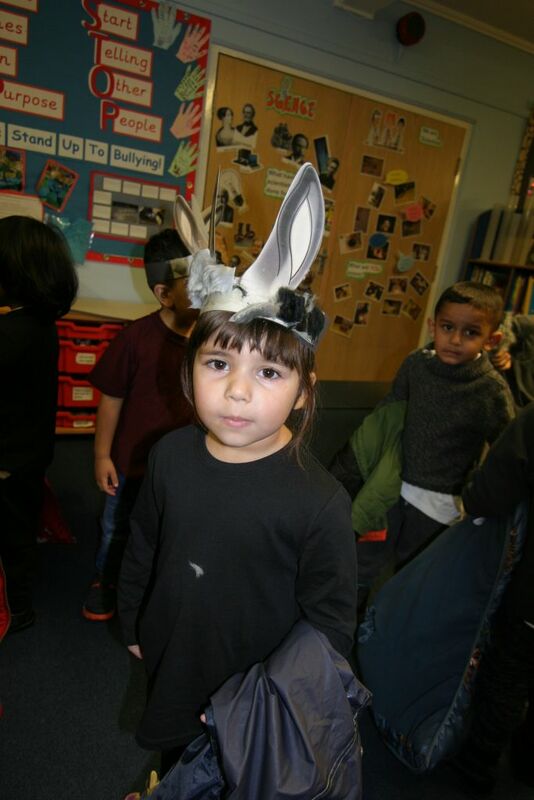 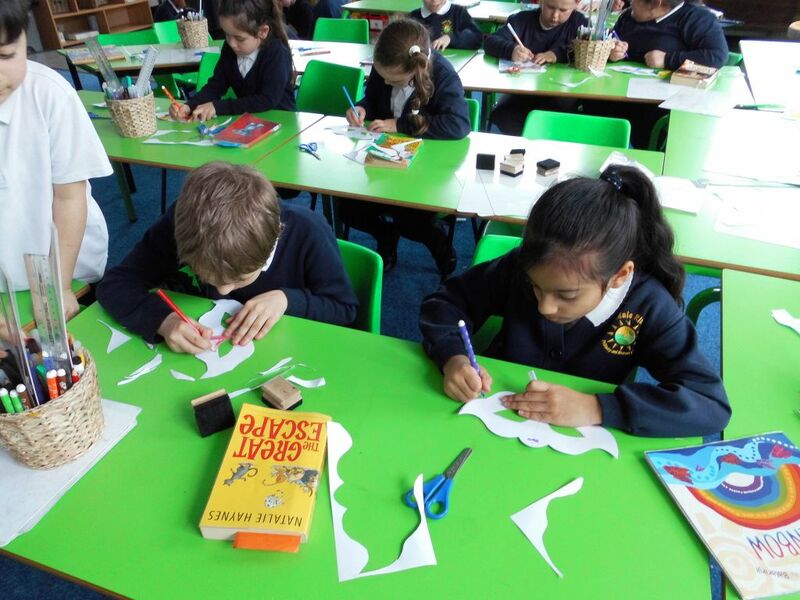 Year two went on a trip to the farm to learn about animals as part of their topic work. 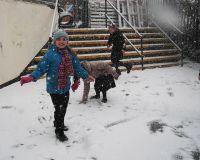 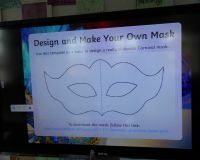 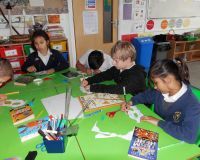 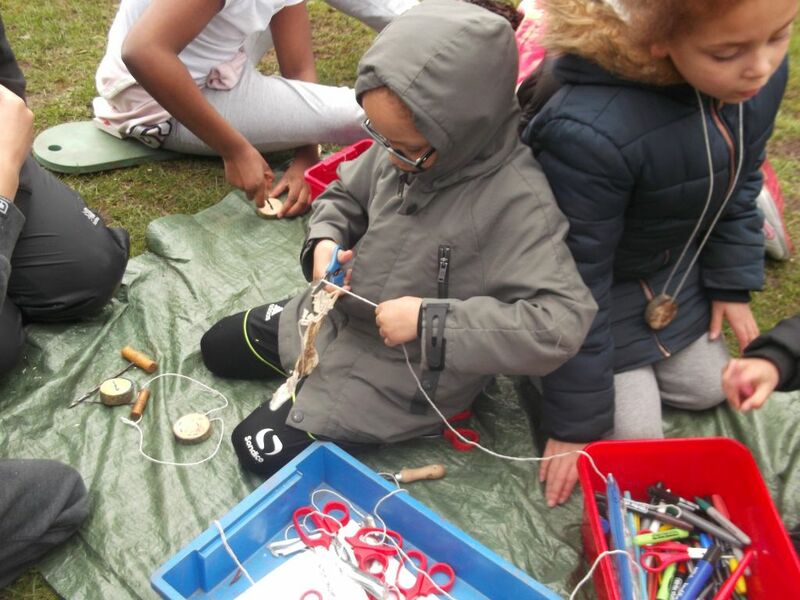 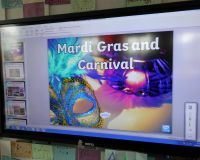 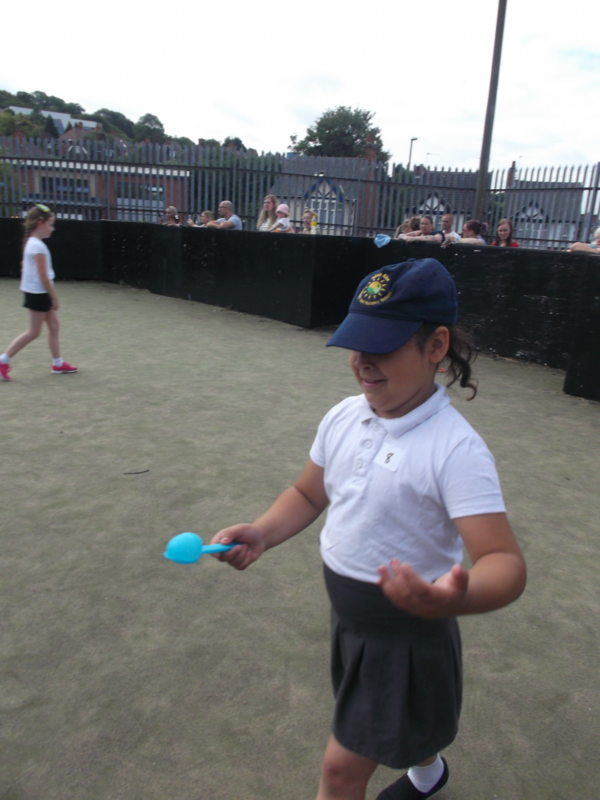 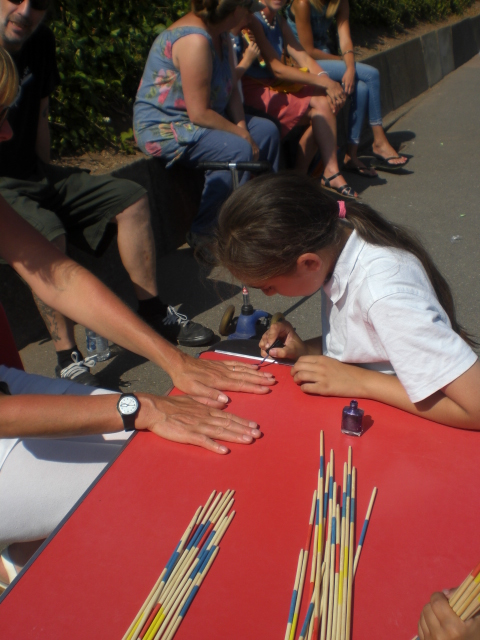 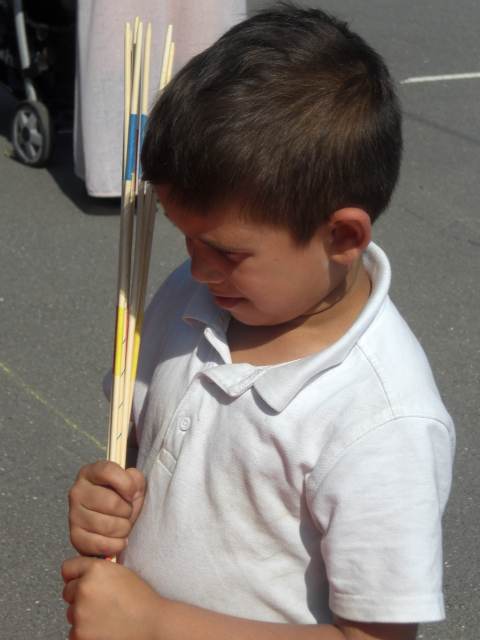 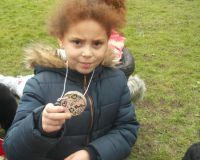 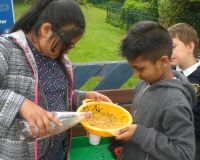 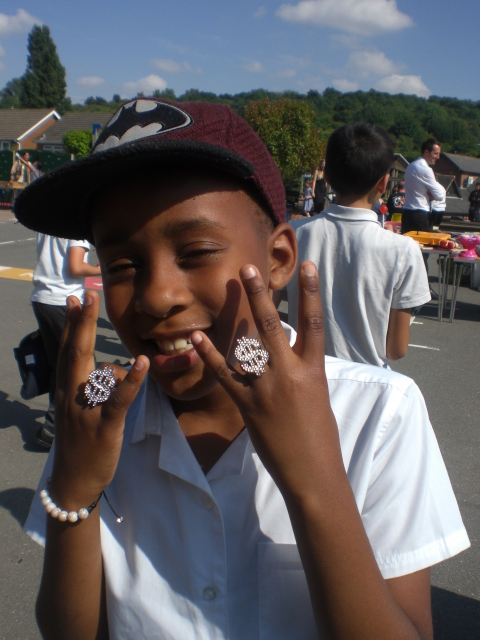 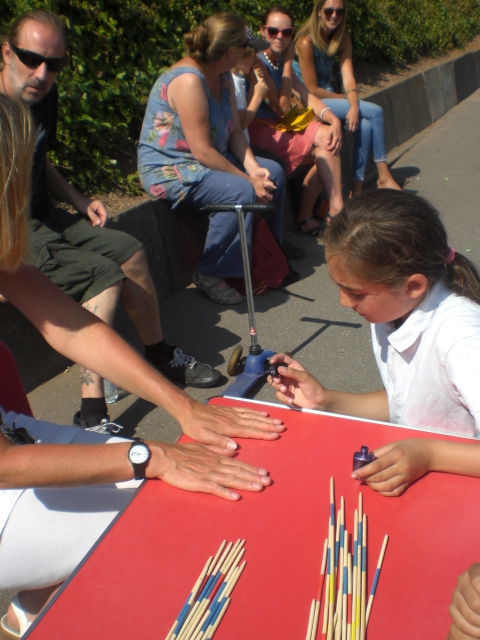 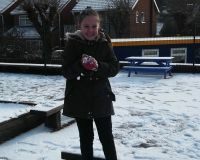 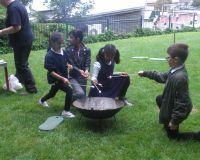 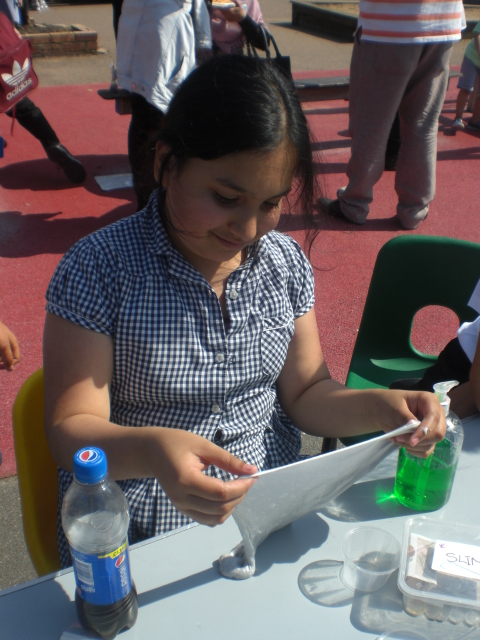 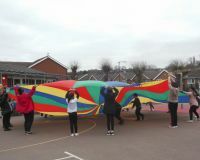 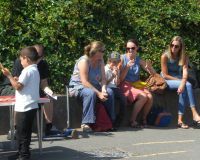 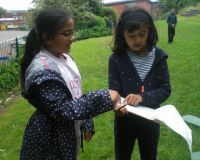 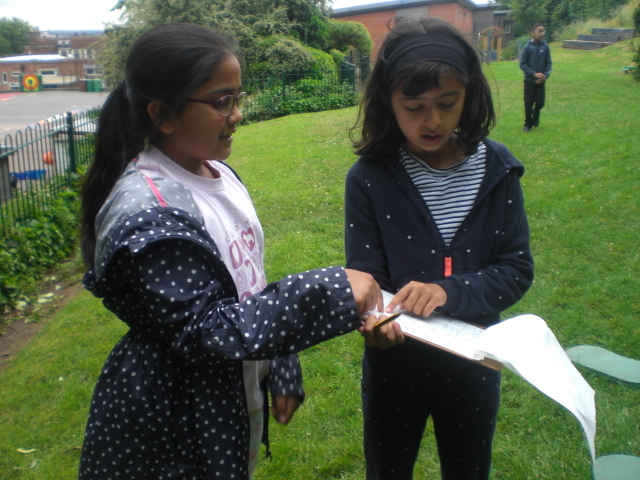 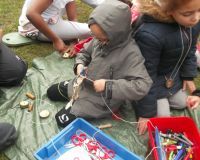 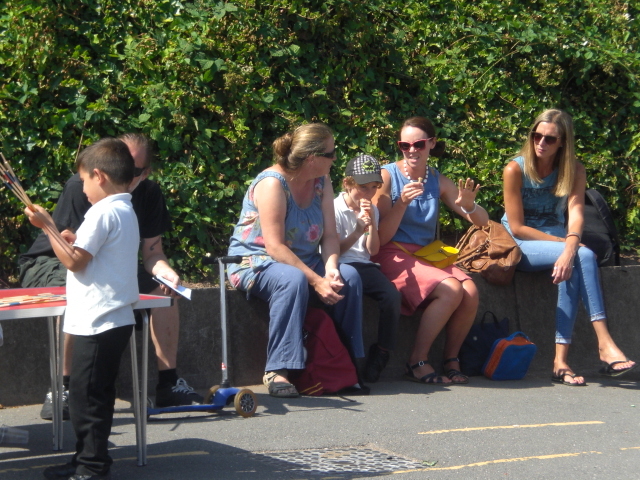 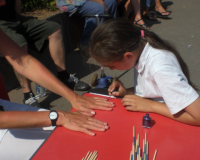 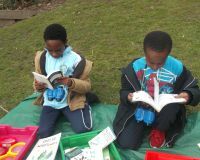 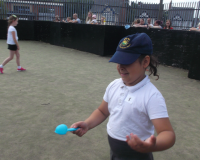 Children from KS1 and KS2 spend the afternoon accessing lots of different activities such as rounders, baking and art. 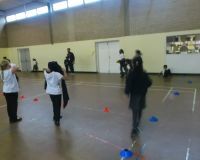 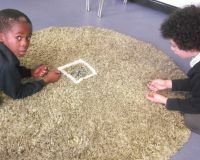 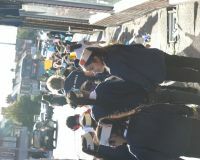 They complete the activities in different groups and are not in class but outside or in the hall. 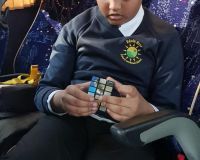 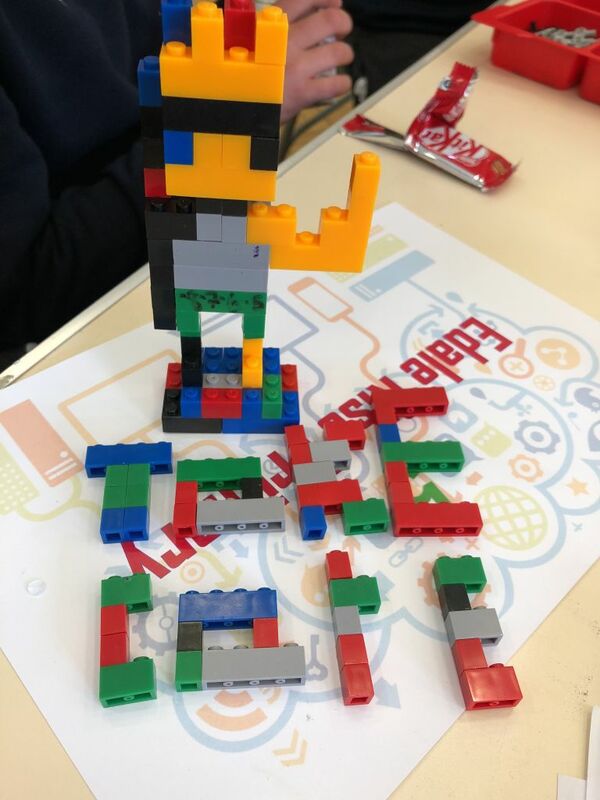 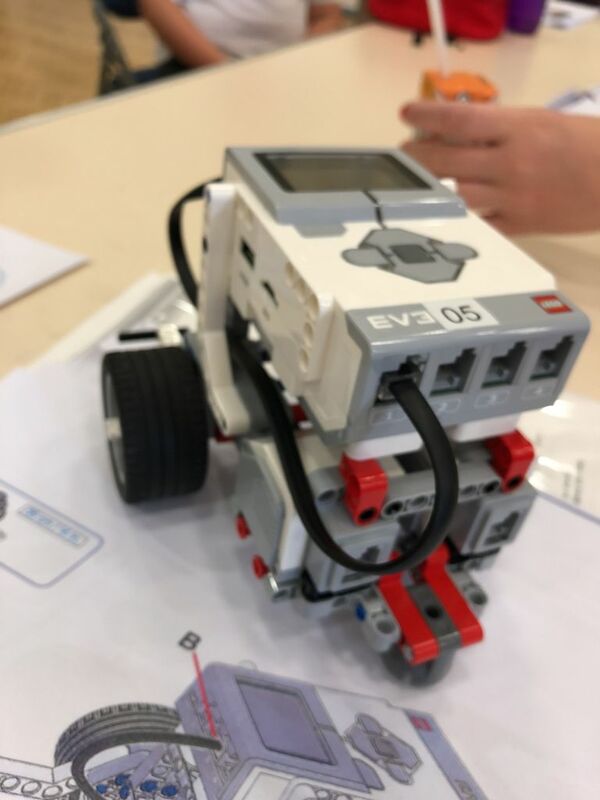 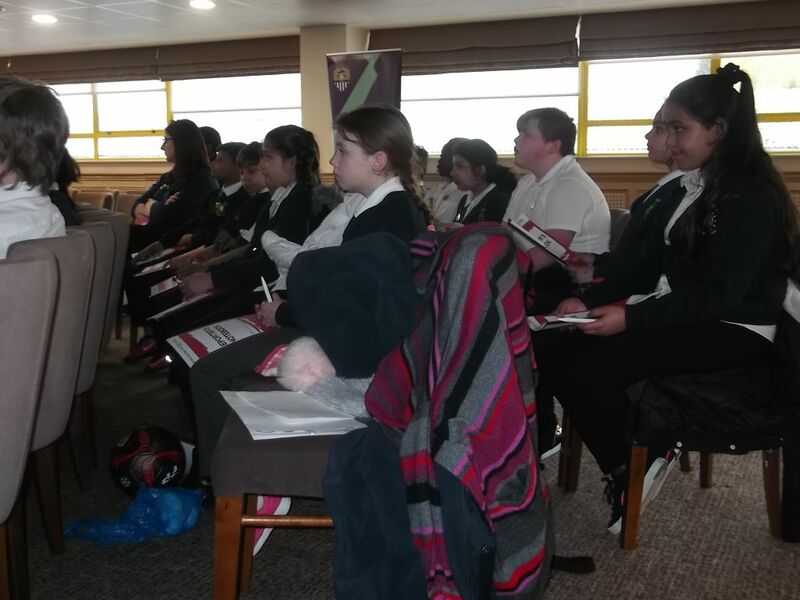 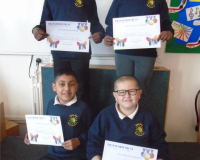 Four of our pupils took part in the Transform Trust times table competition. 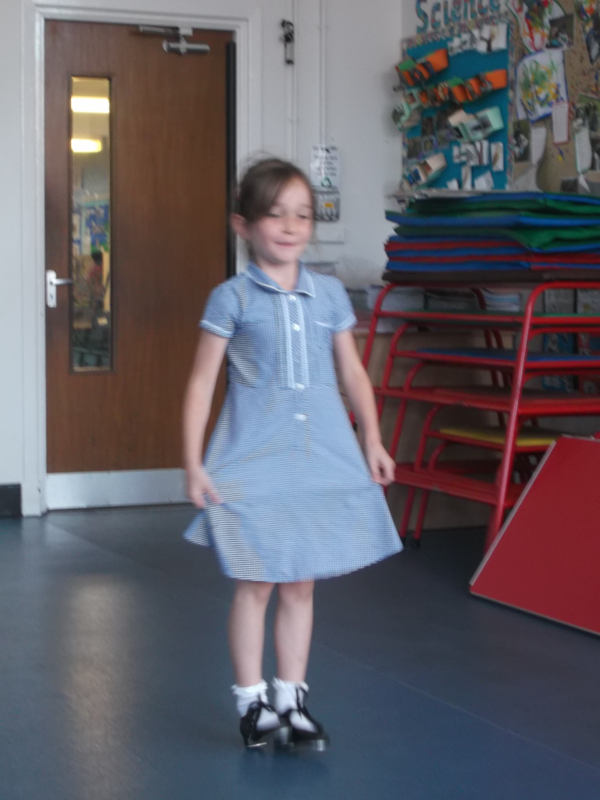 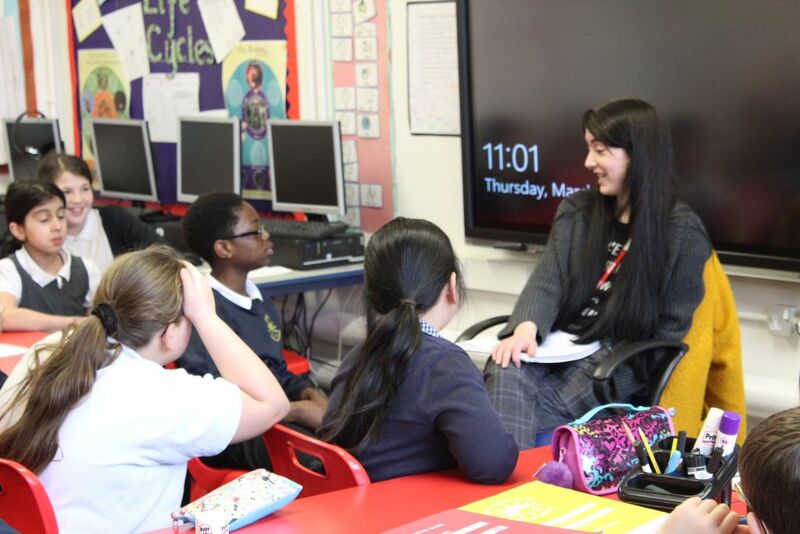 Leanora came to talk to each class about women’s rights and the importance of choice for all children and adults. 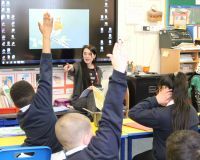 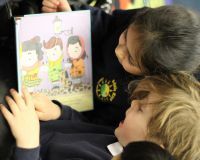 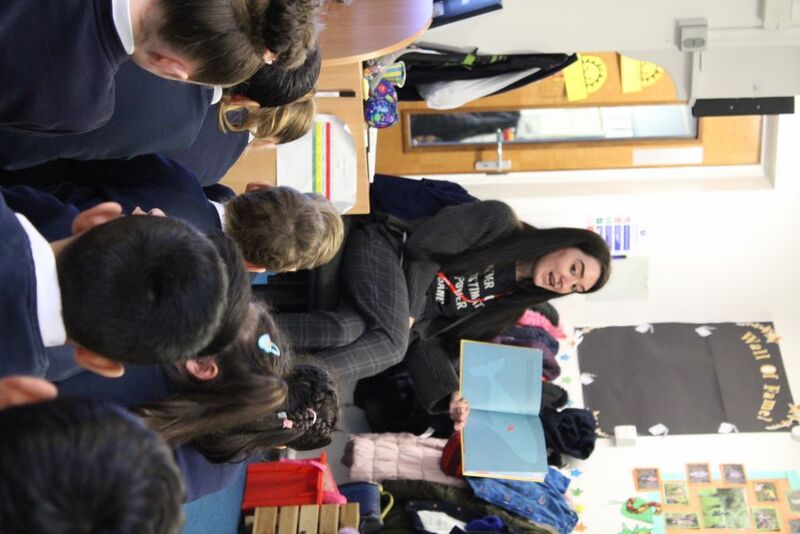 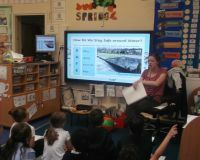 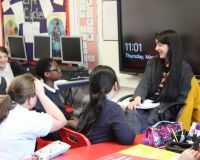 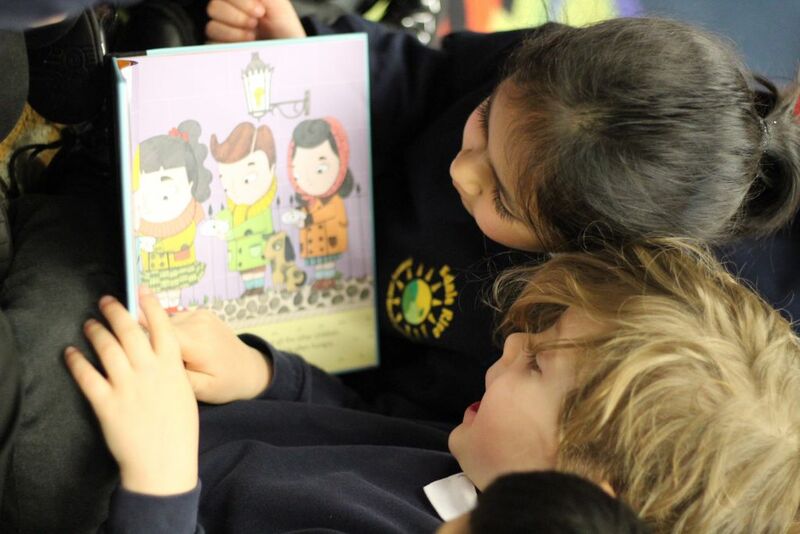 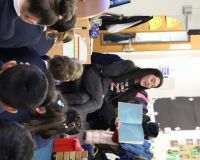 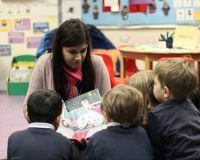 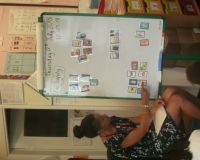 The children heard about some famous women in history and Leanora bought all classes a book about inspirational women. 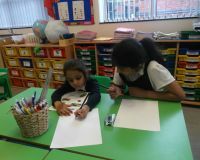 We then had a discussion about equal rights. 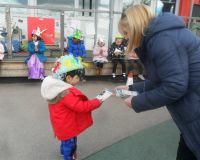 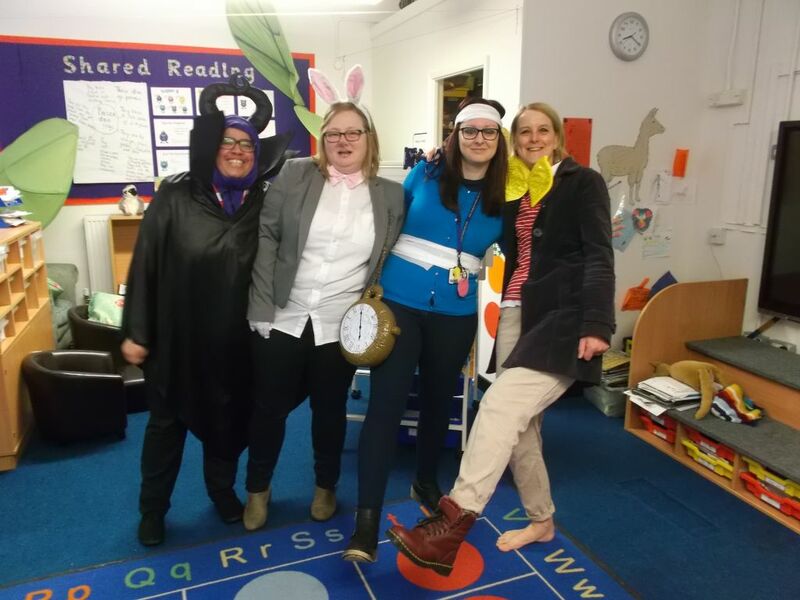 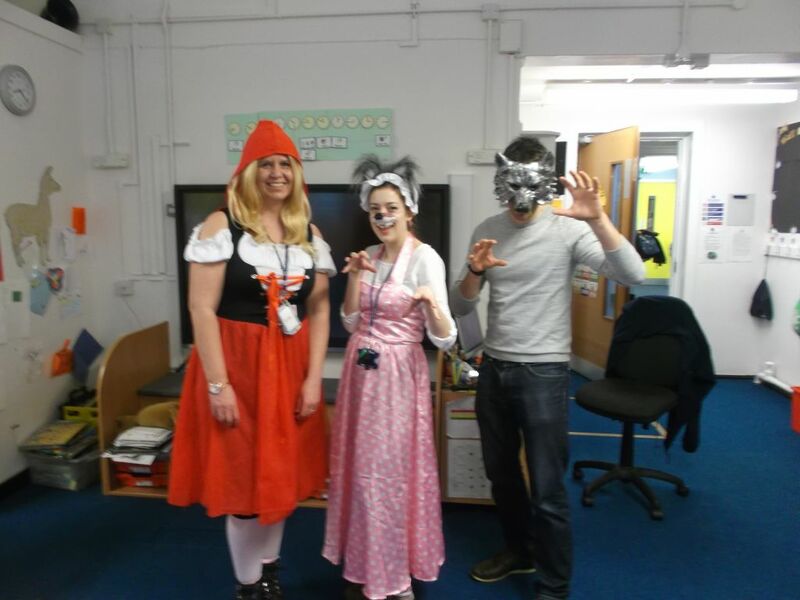 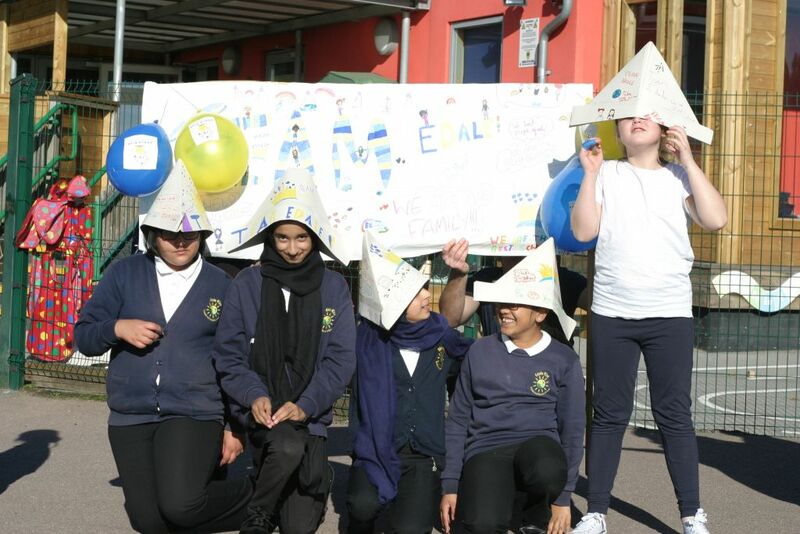 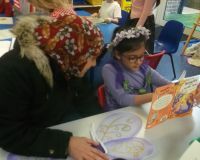 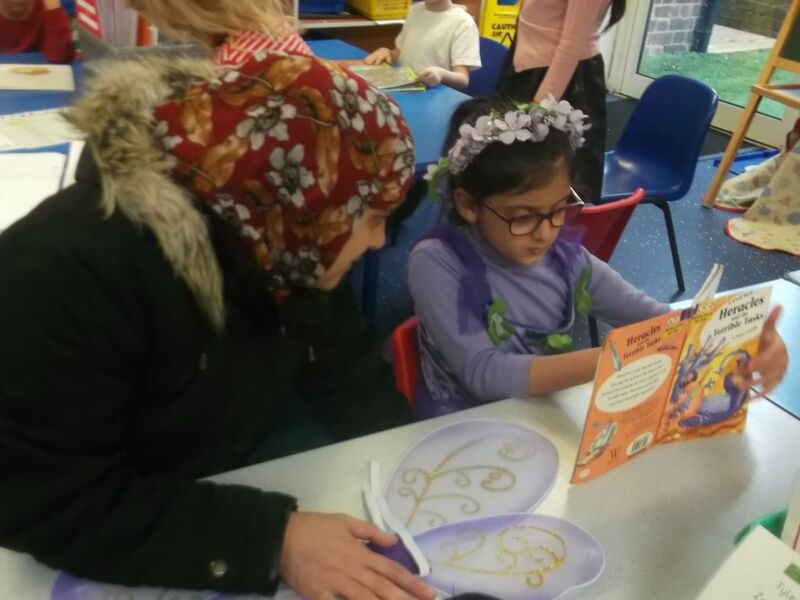 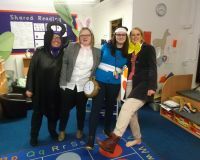 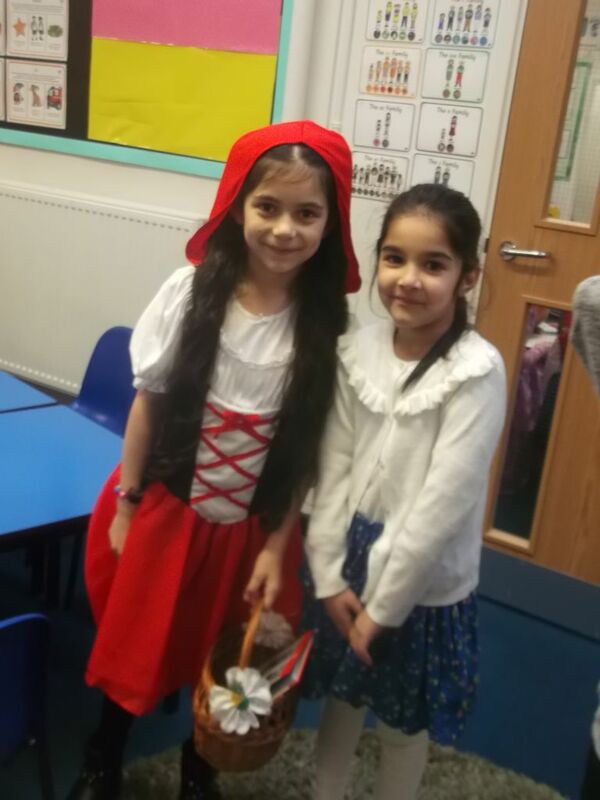 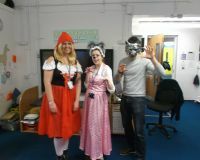 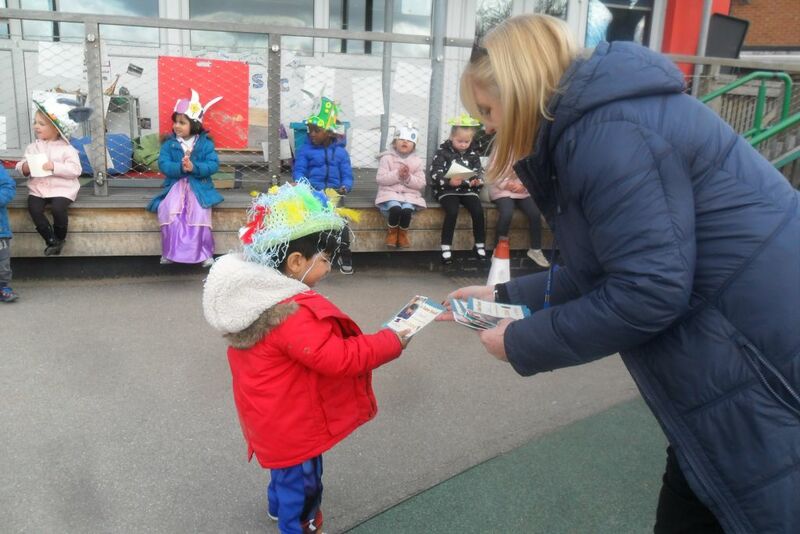 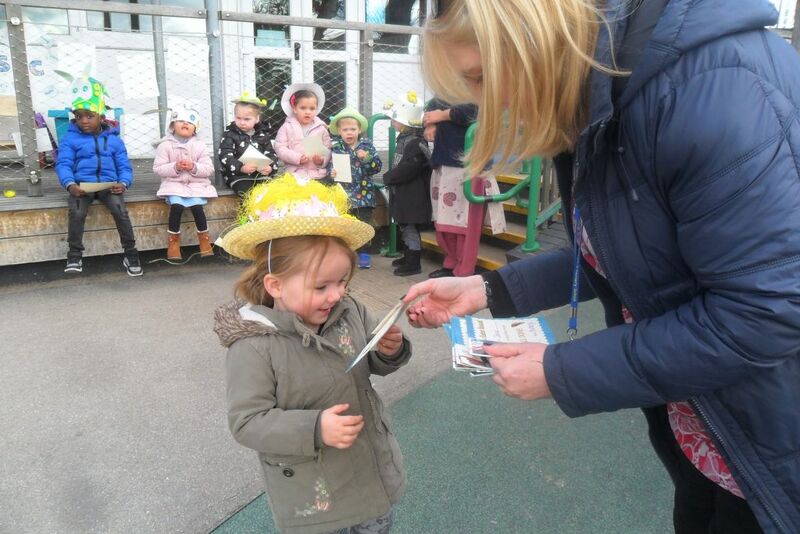 World book day at Edale Rise! 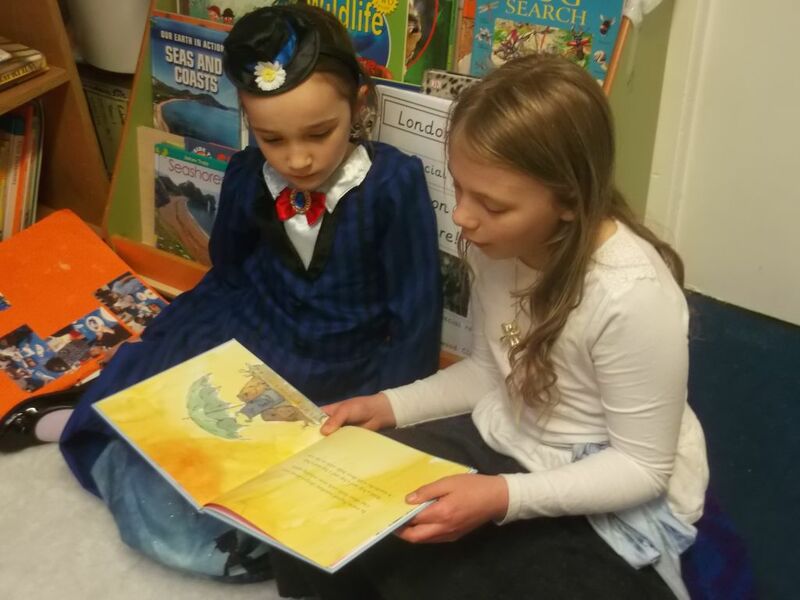 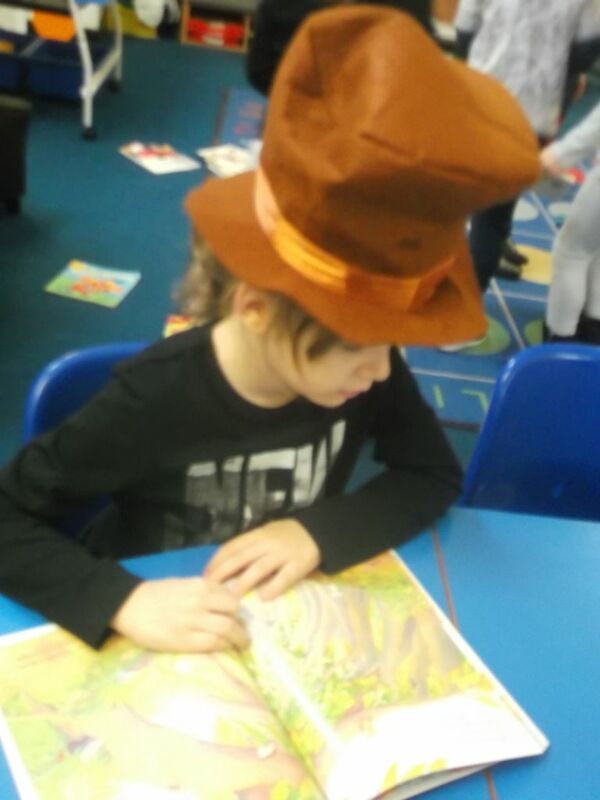 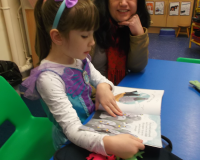 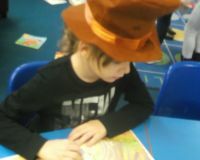 We all dressed up and did lots of reading activities during the day. 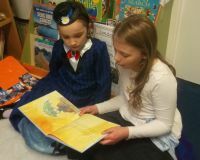 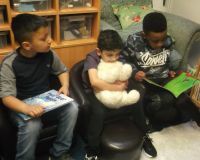 We had a whole school DEAR time where we all read together in the hall.